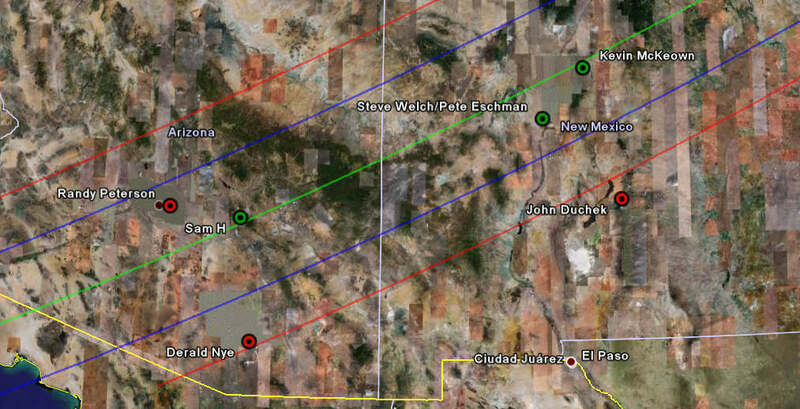 Reports without links are Incomplete - awaiting further observations. 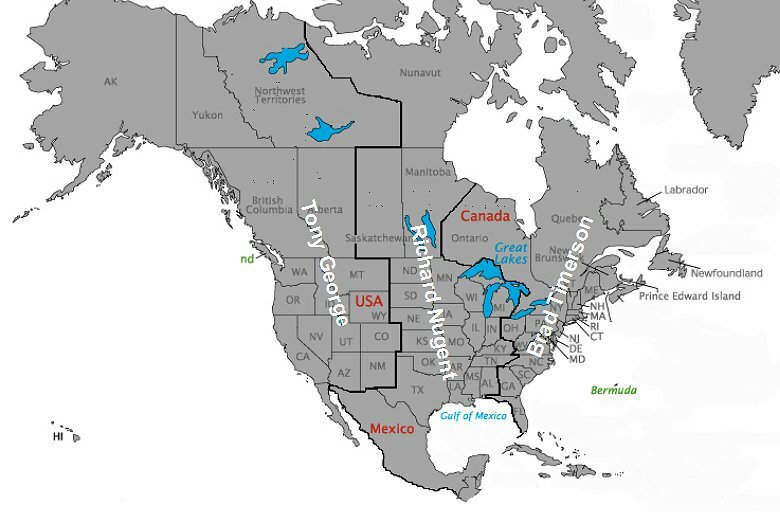 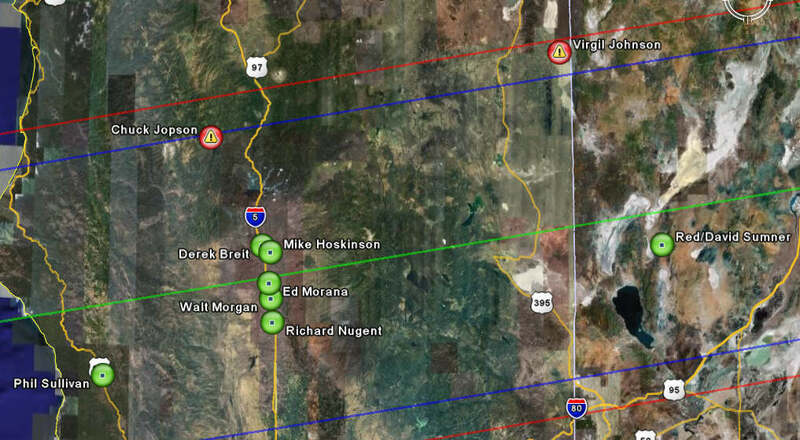 Unless otherwise noted, Profiles provided here are preliminary. 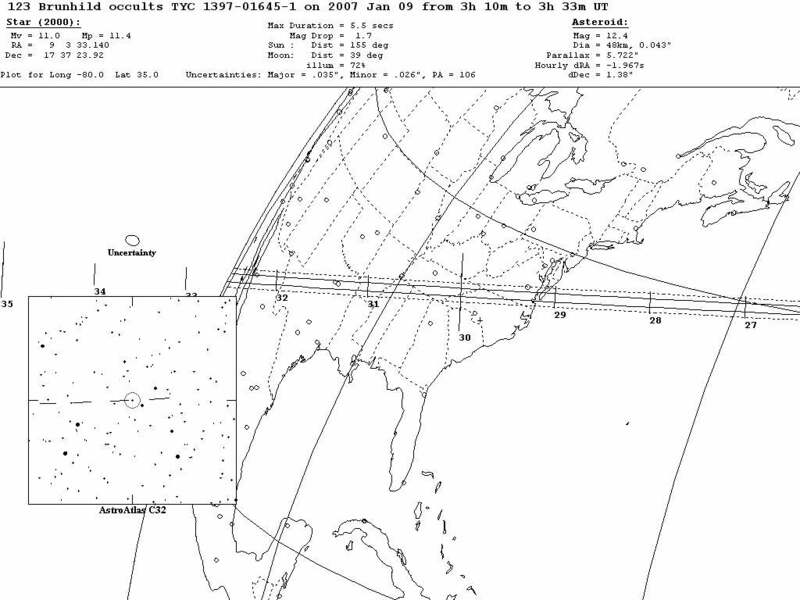 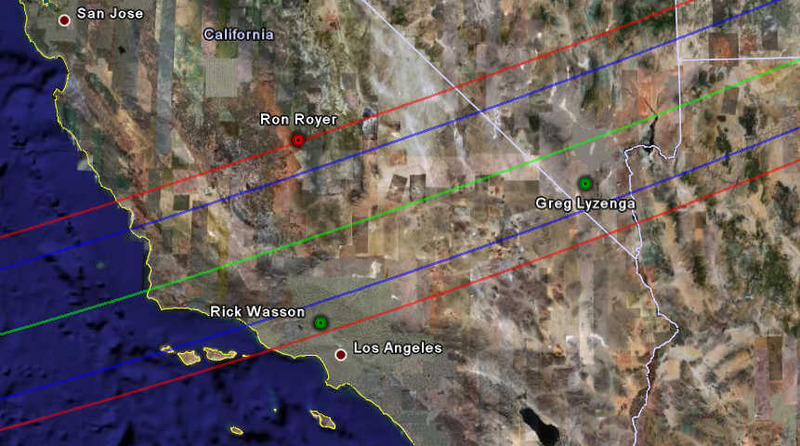 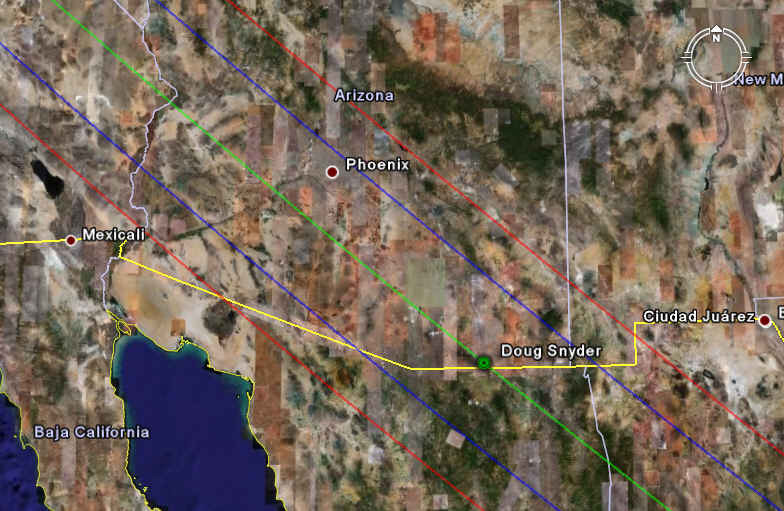 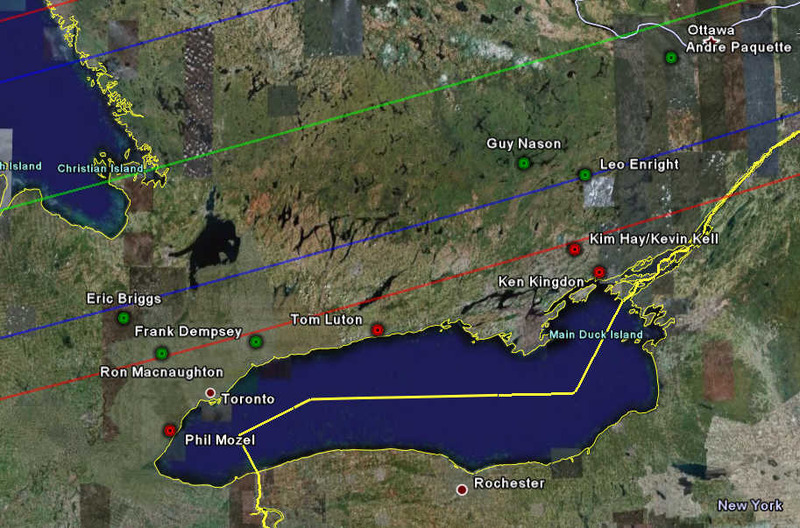 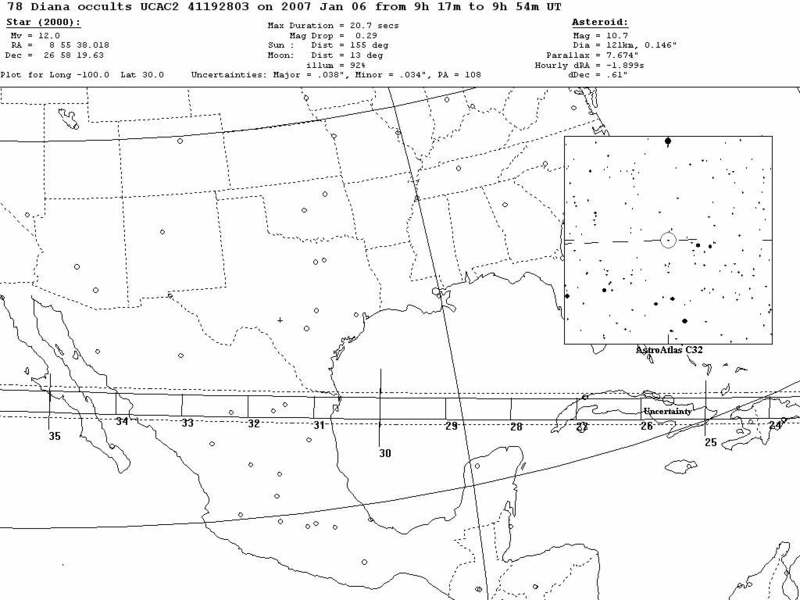 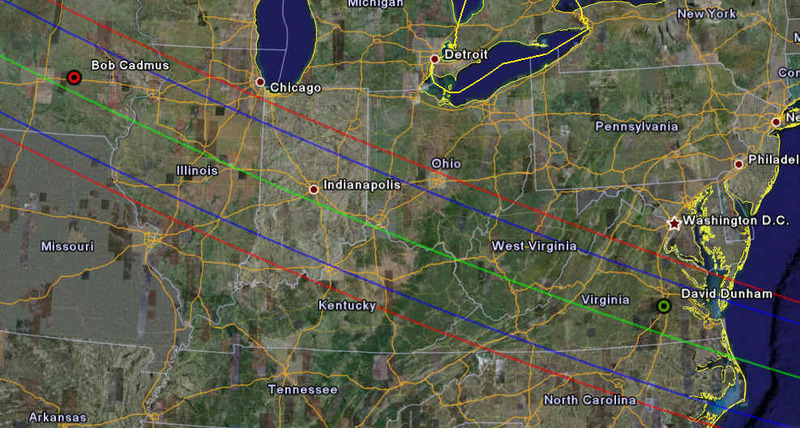 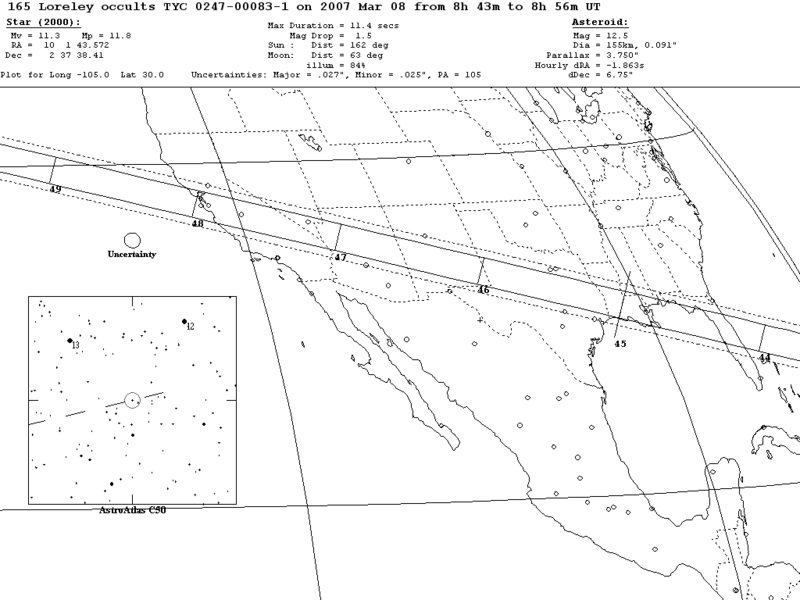 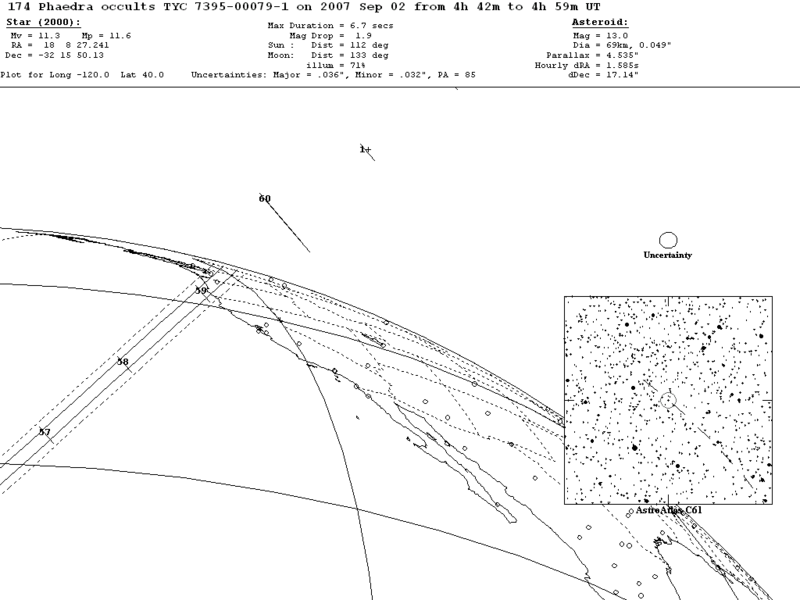 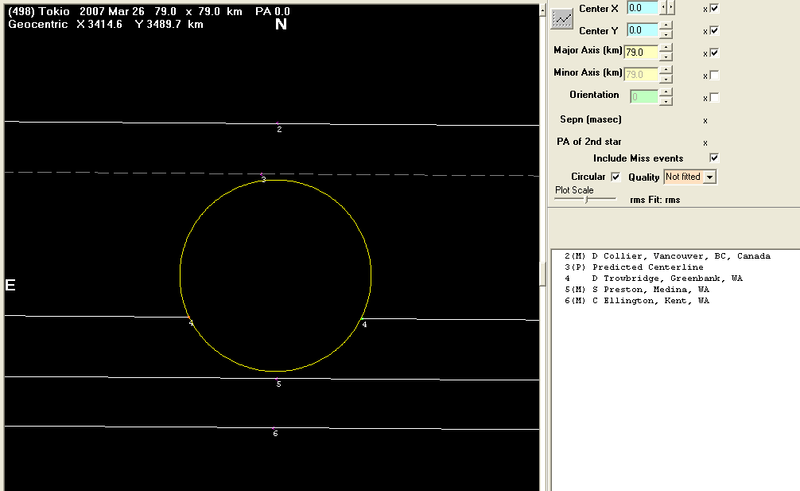 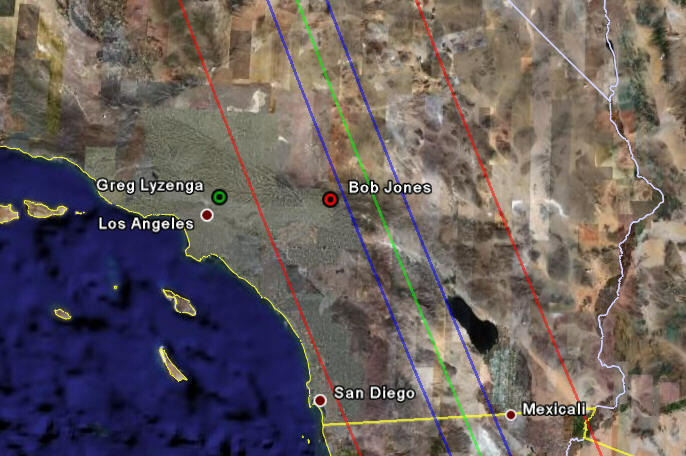 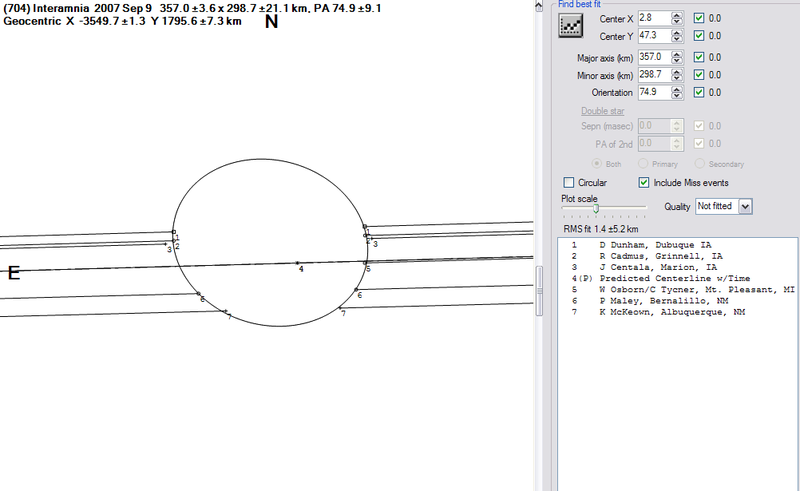 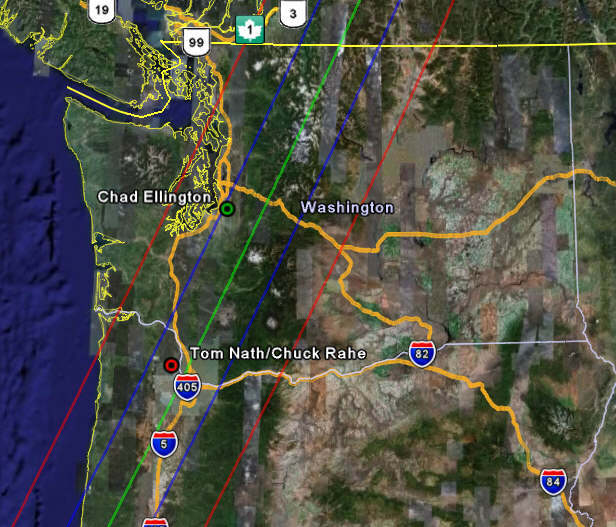 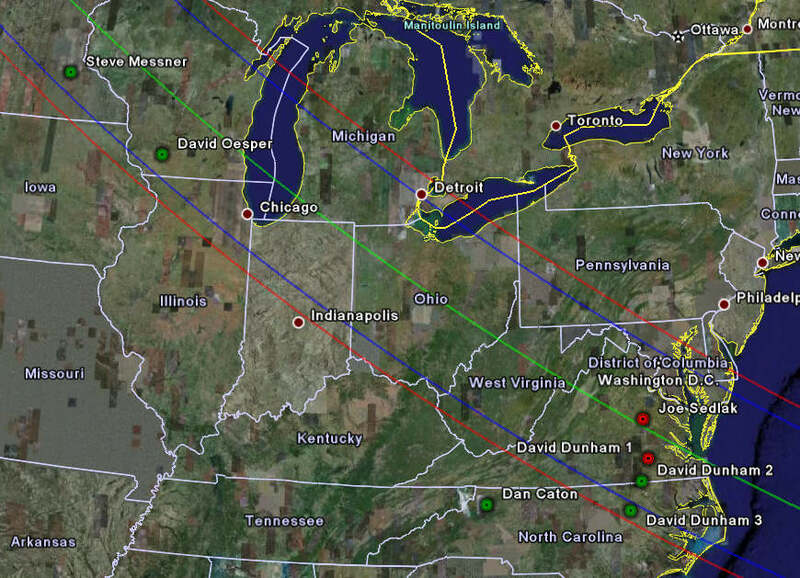 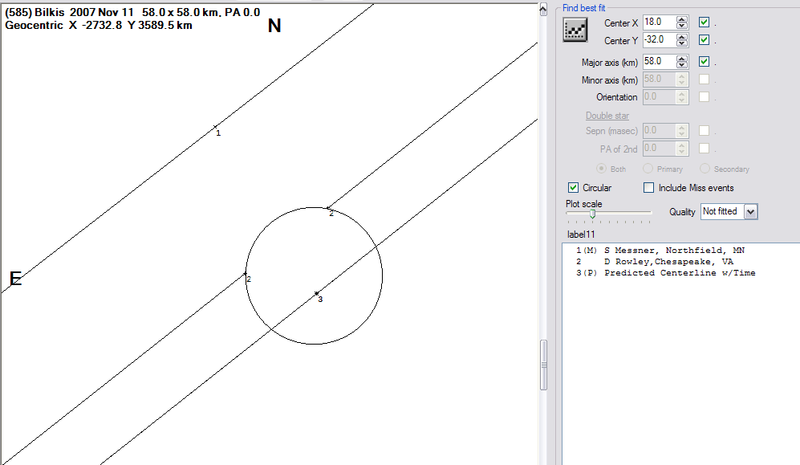 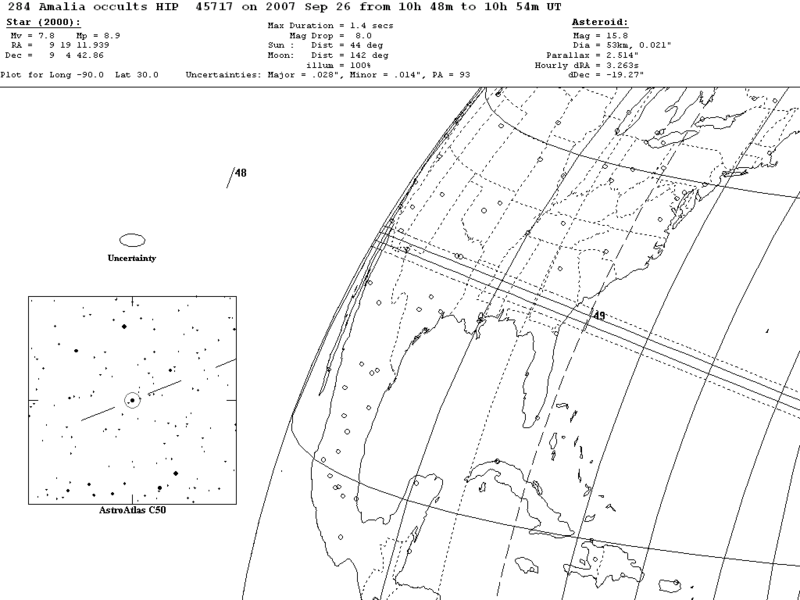 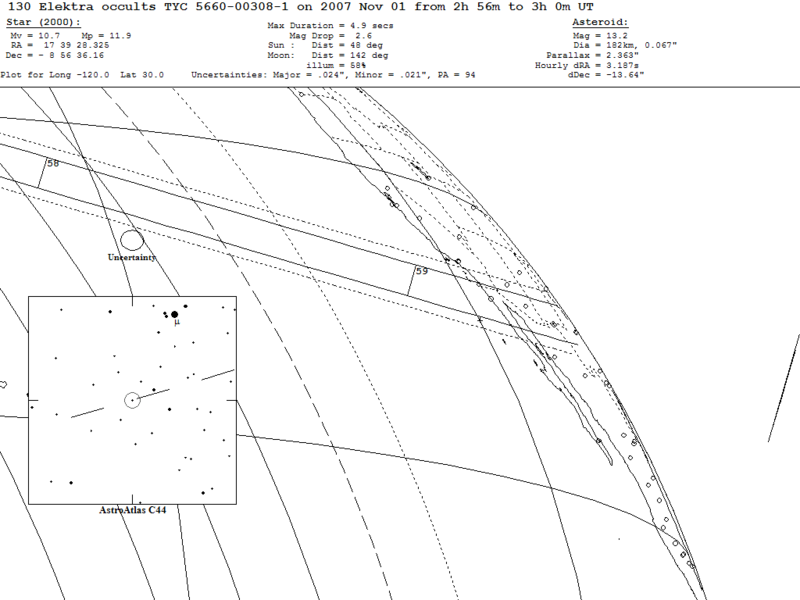 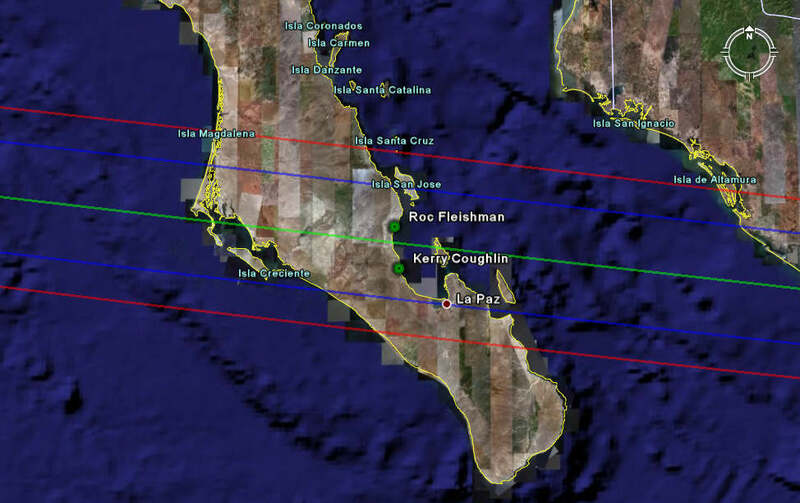 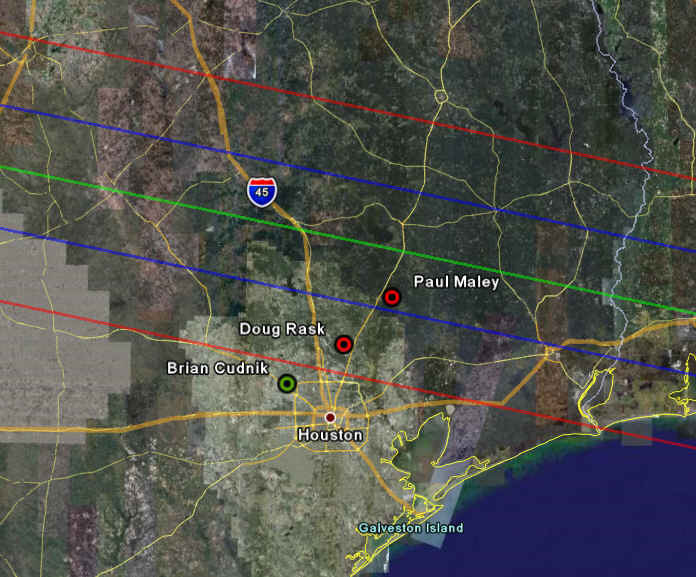 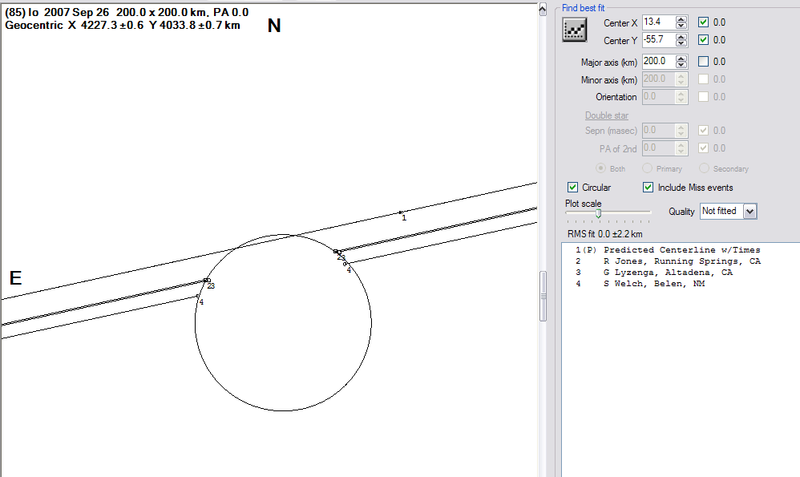 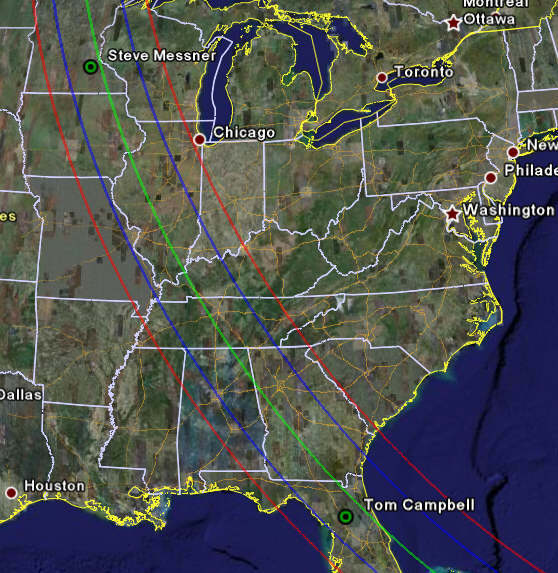 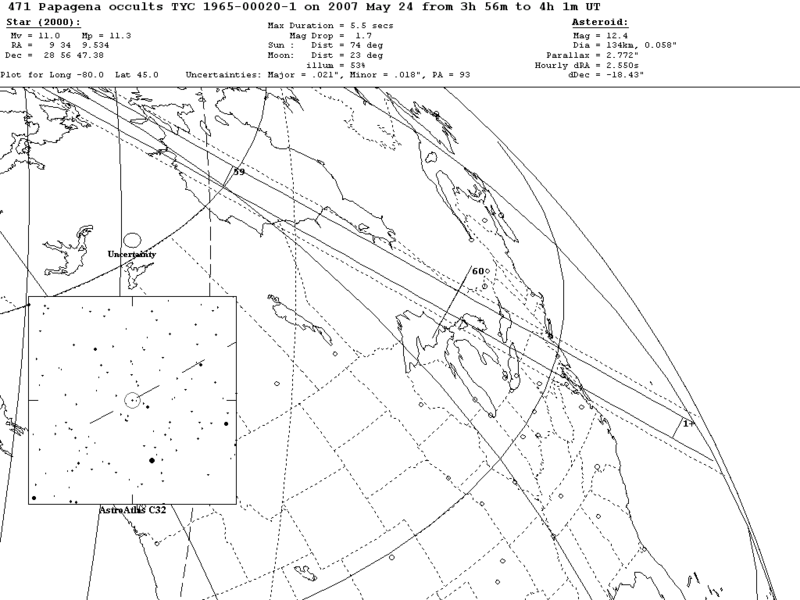 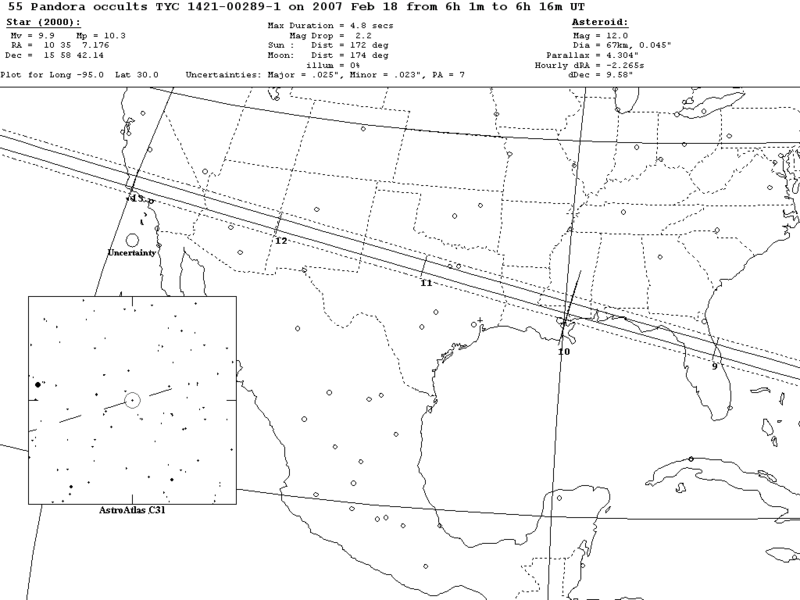 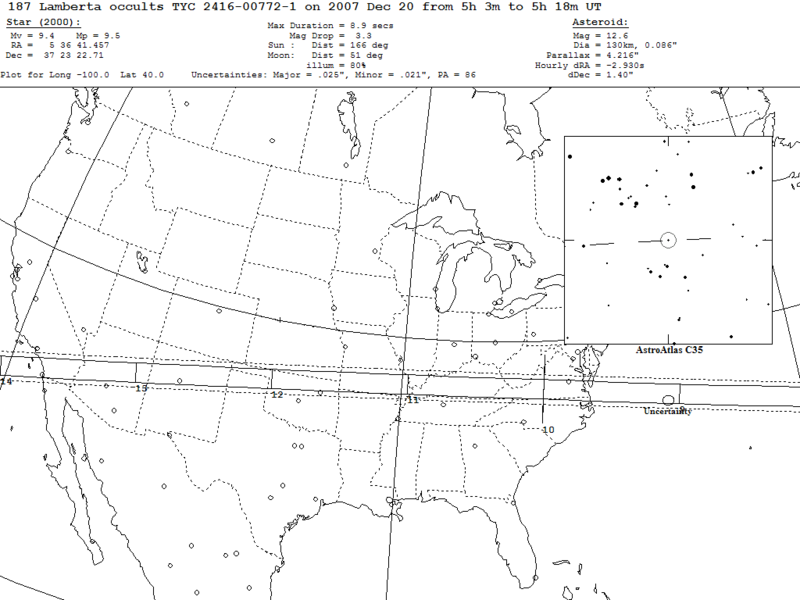 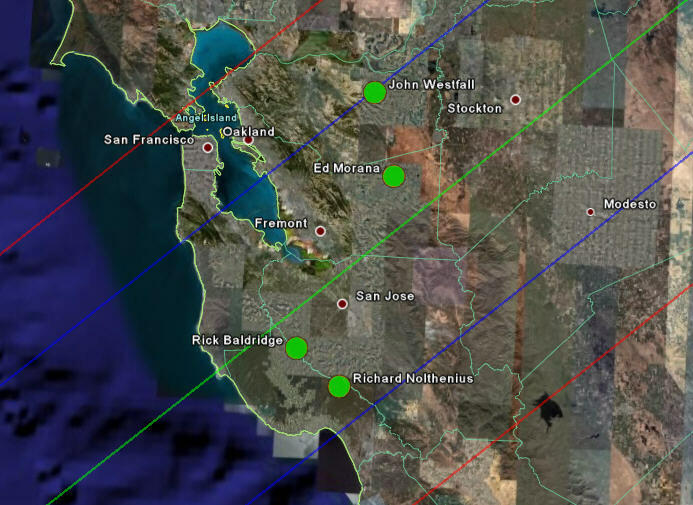 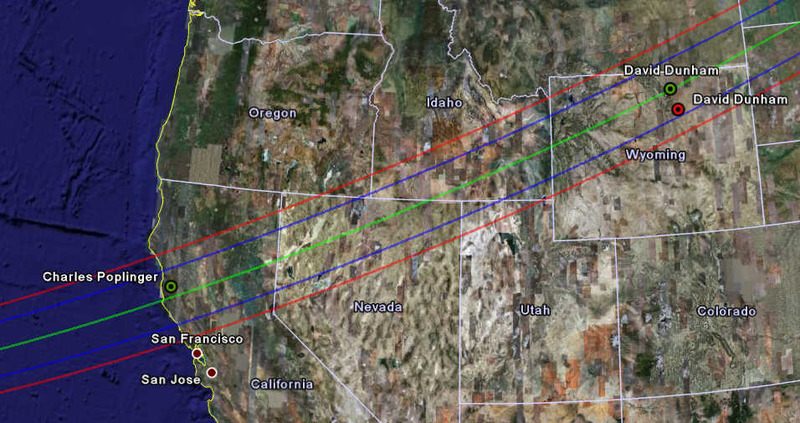 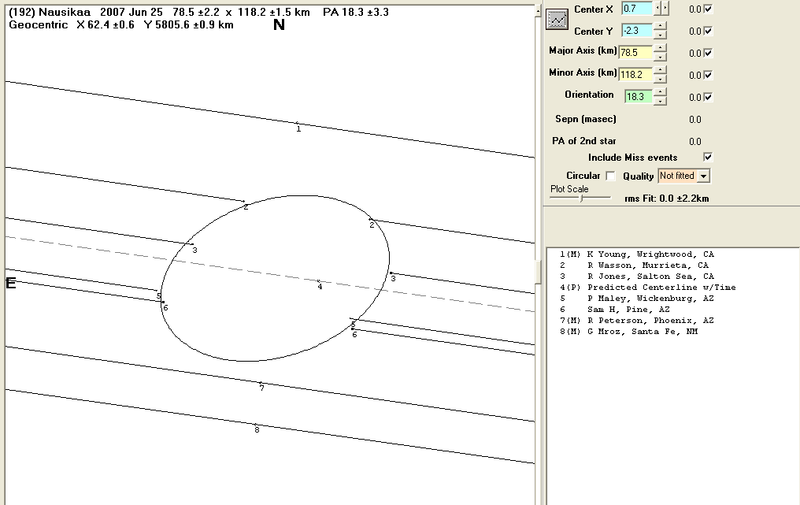 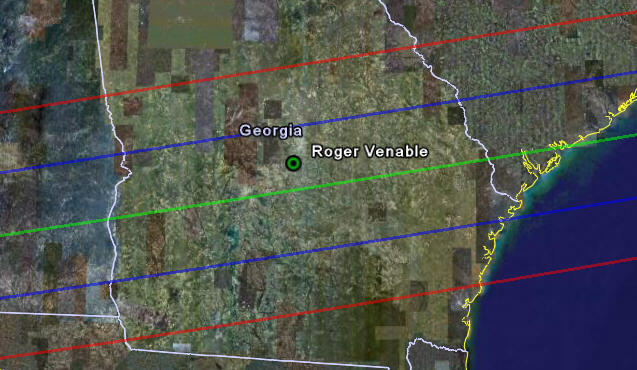 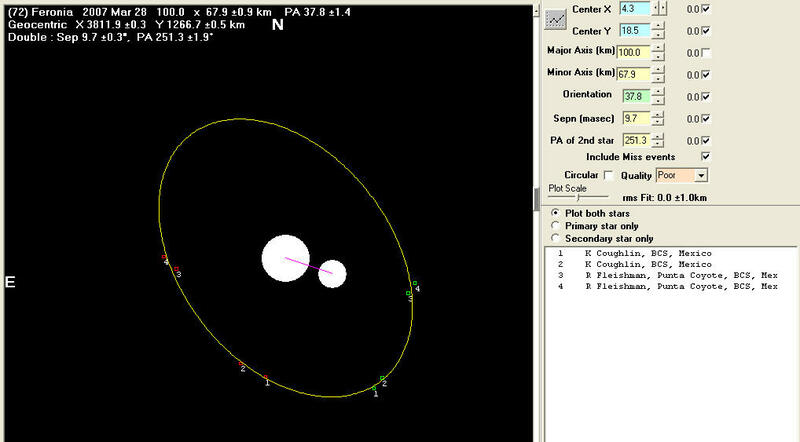 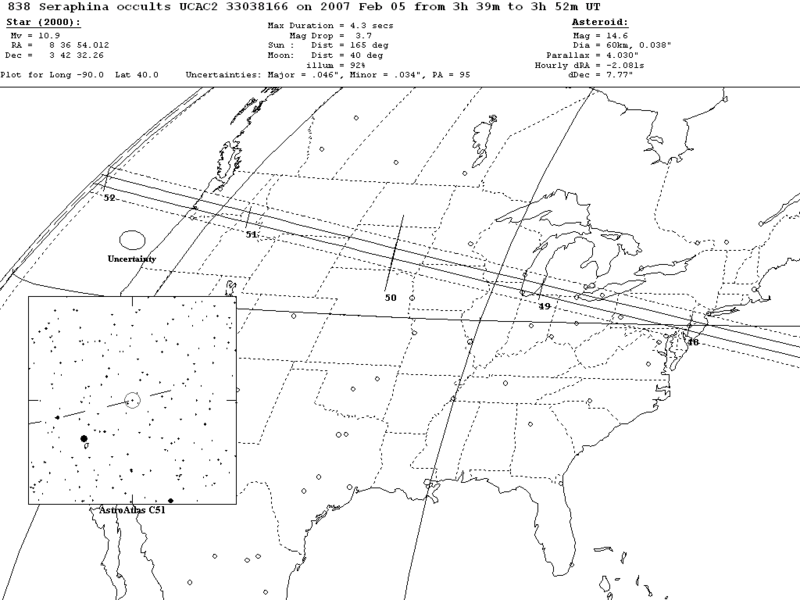 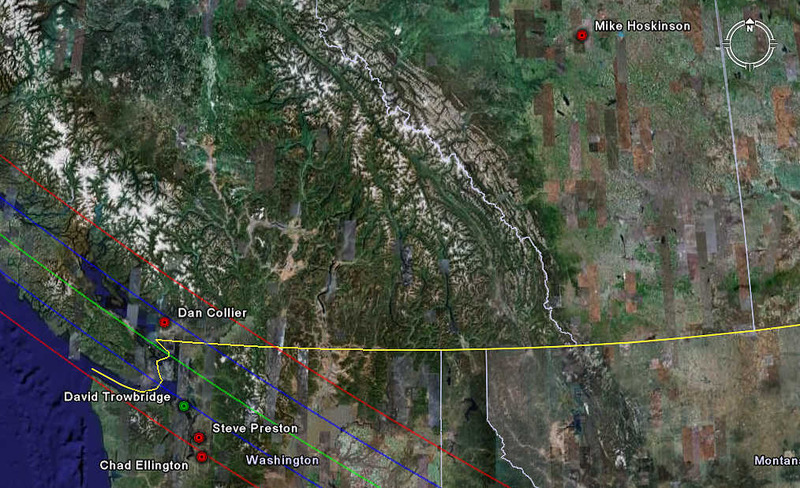 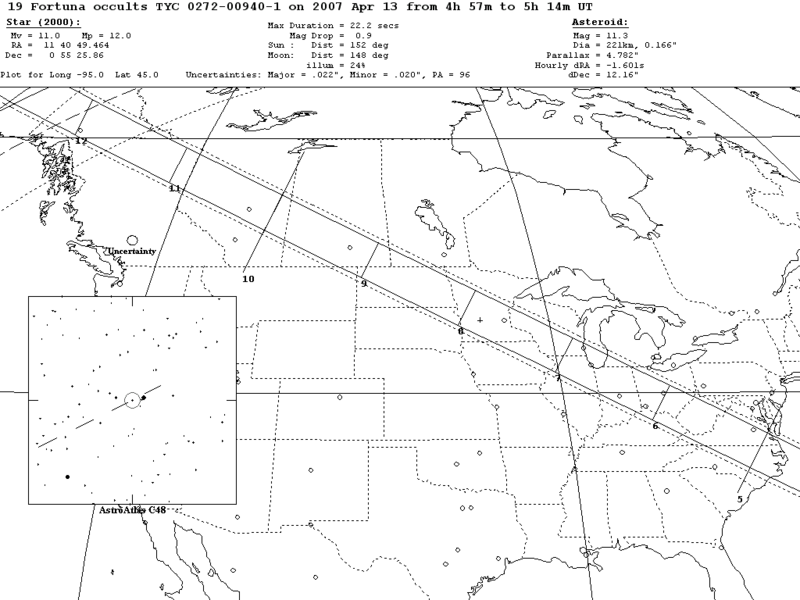 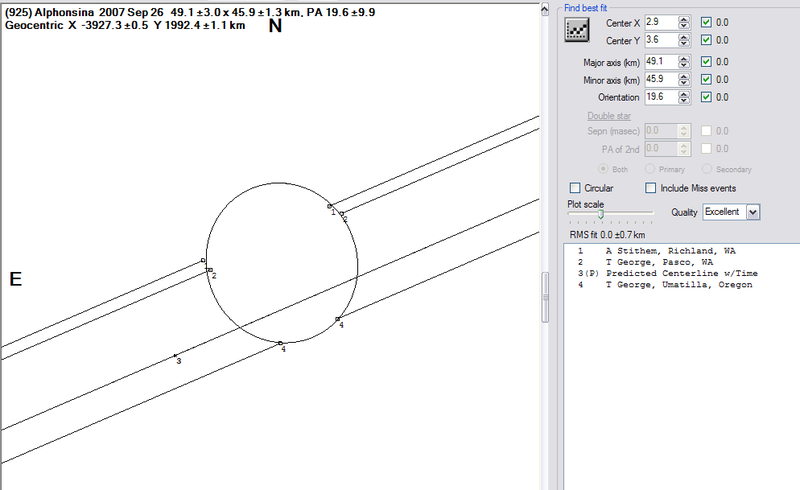 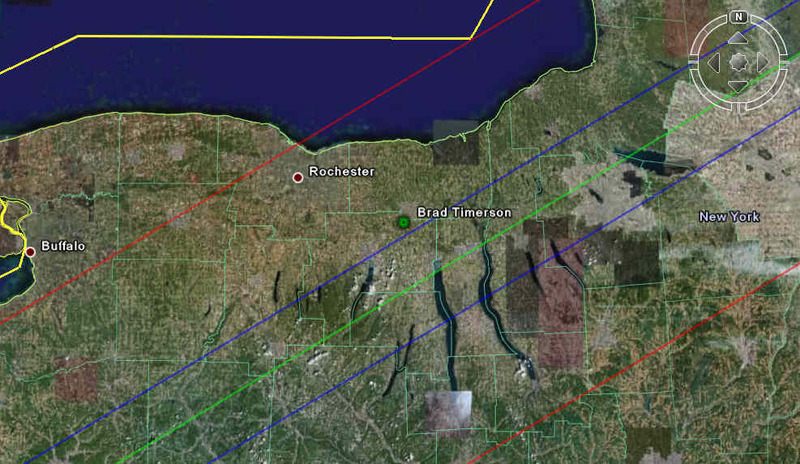 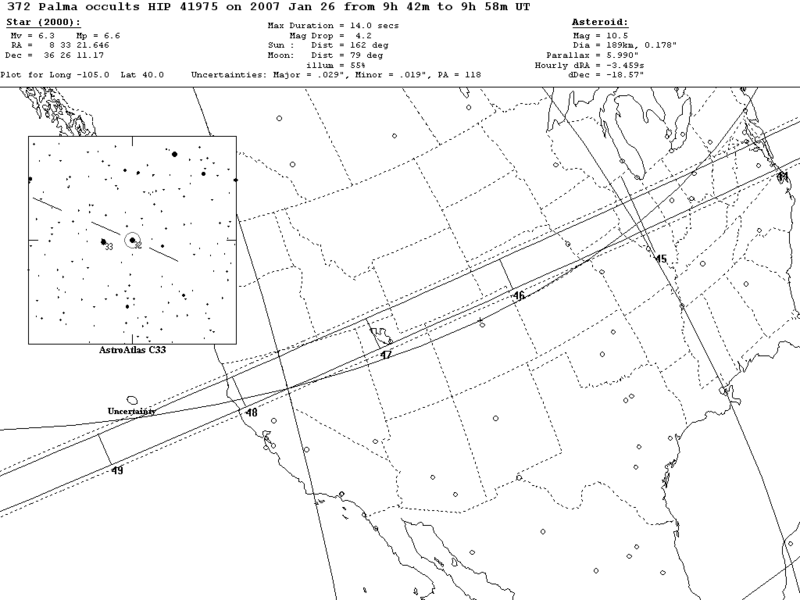 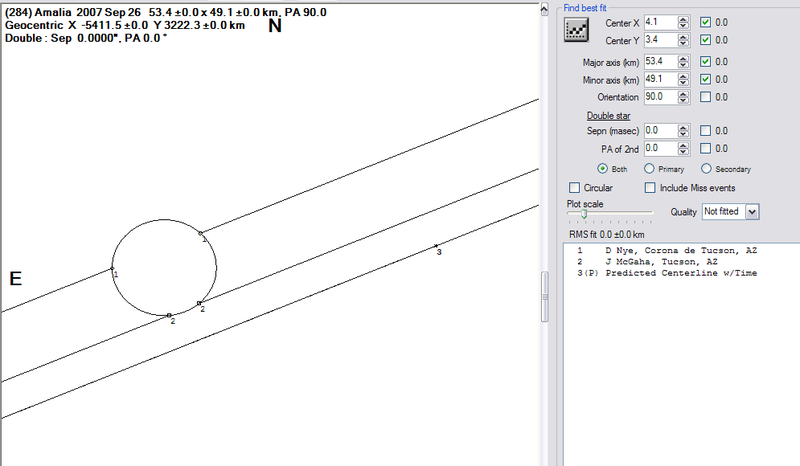 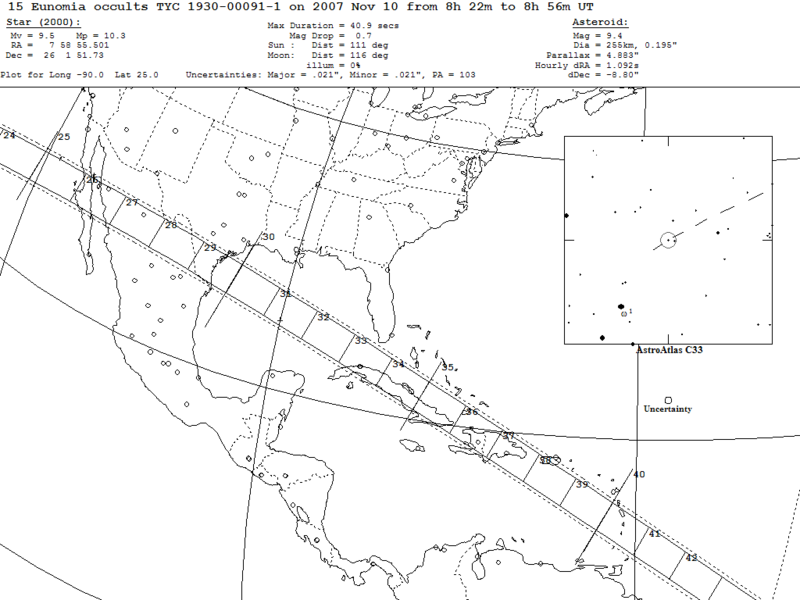 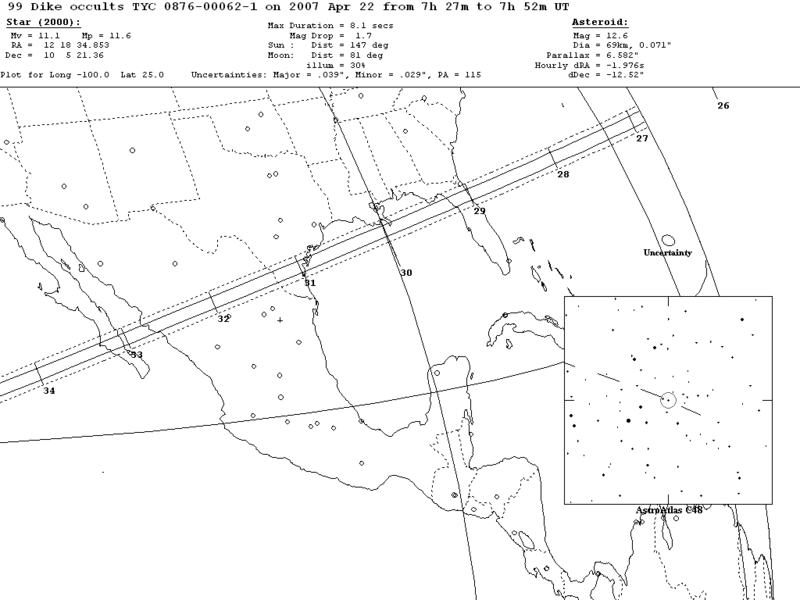 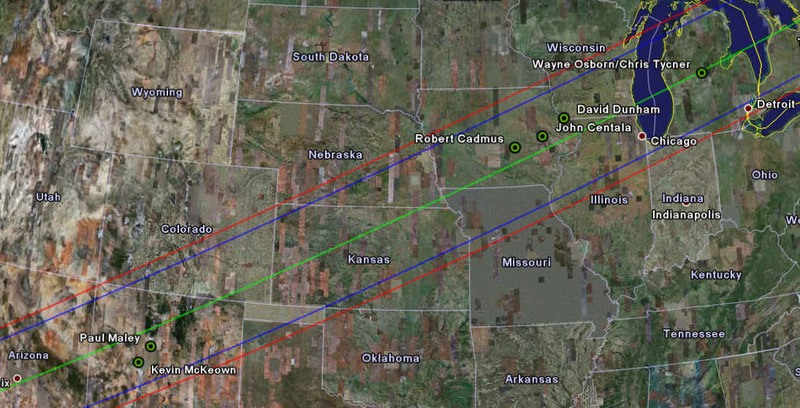 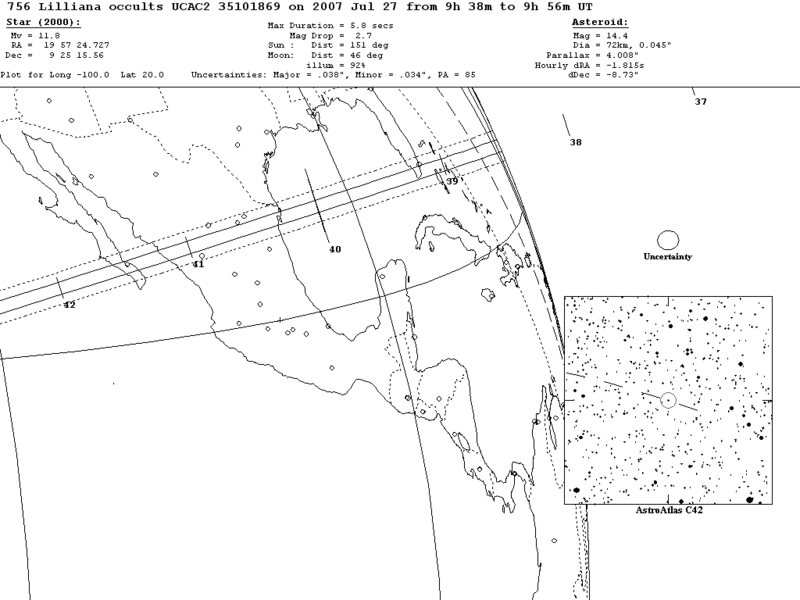 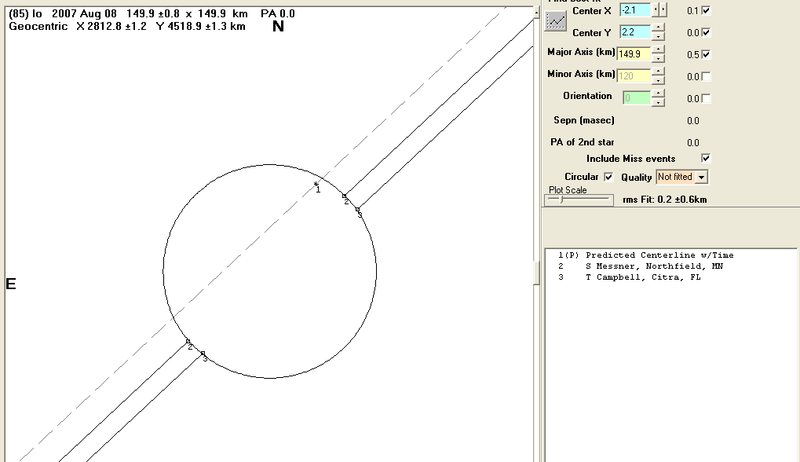 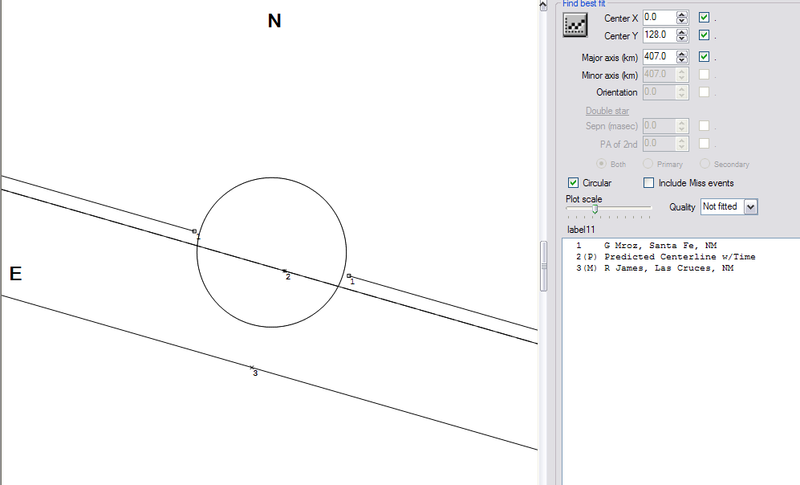 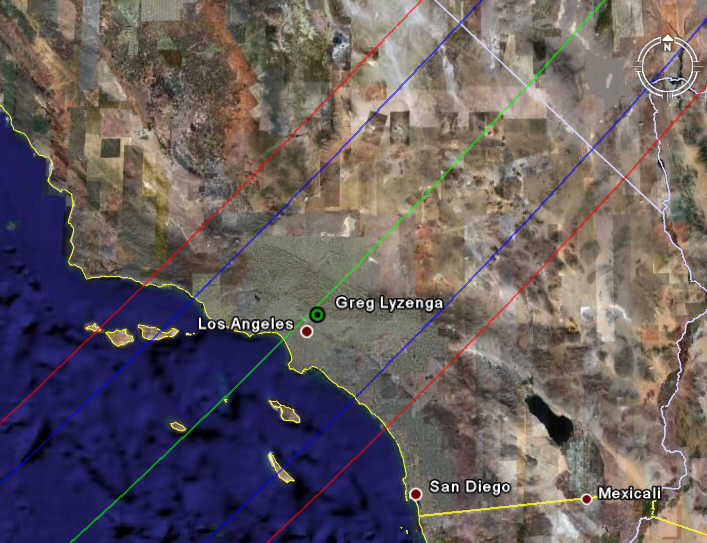 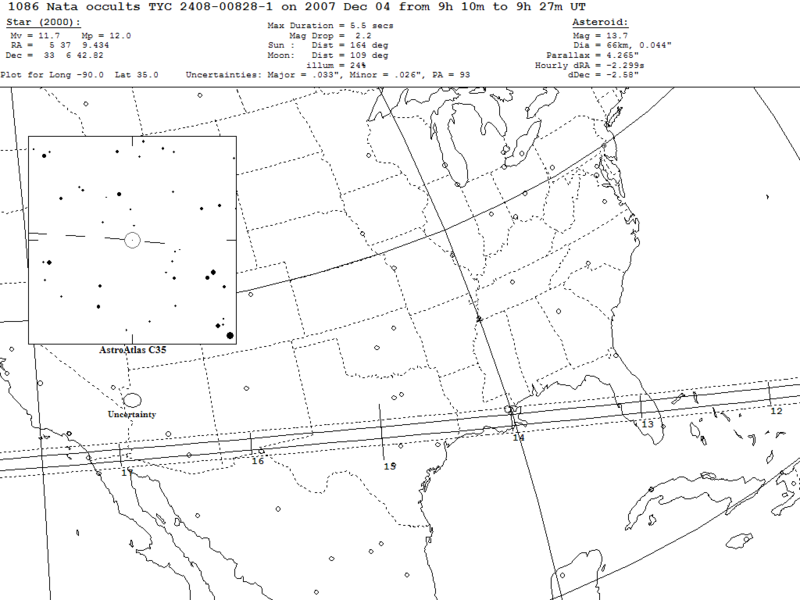 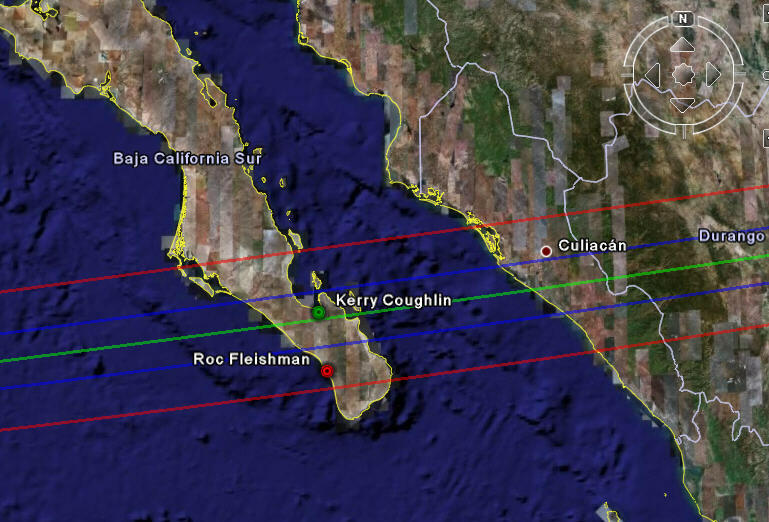 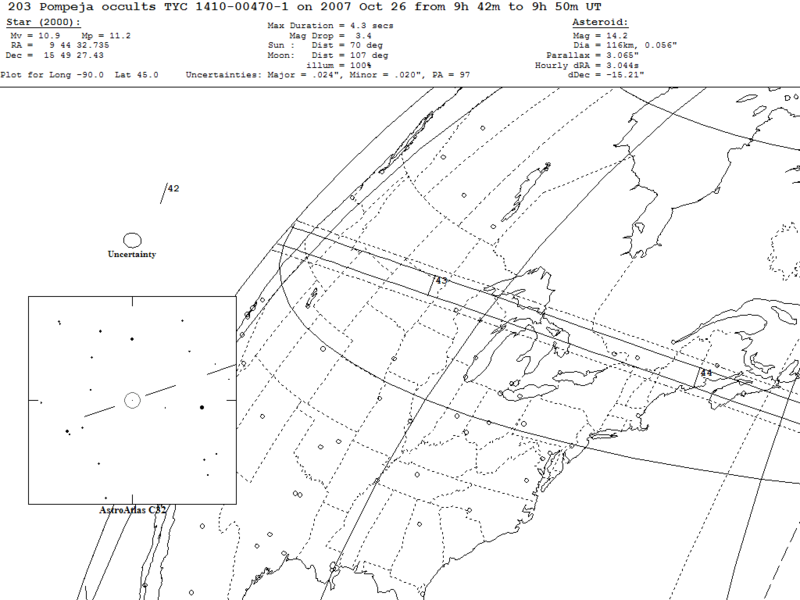 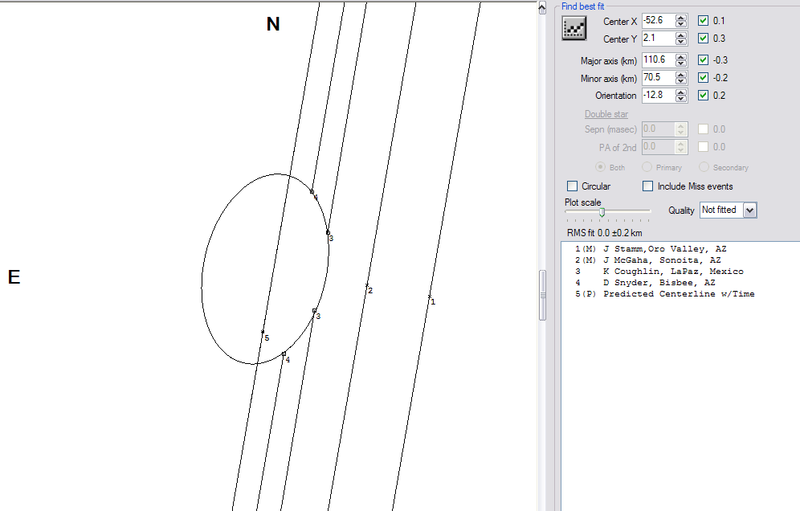 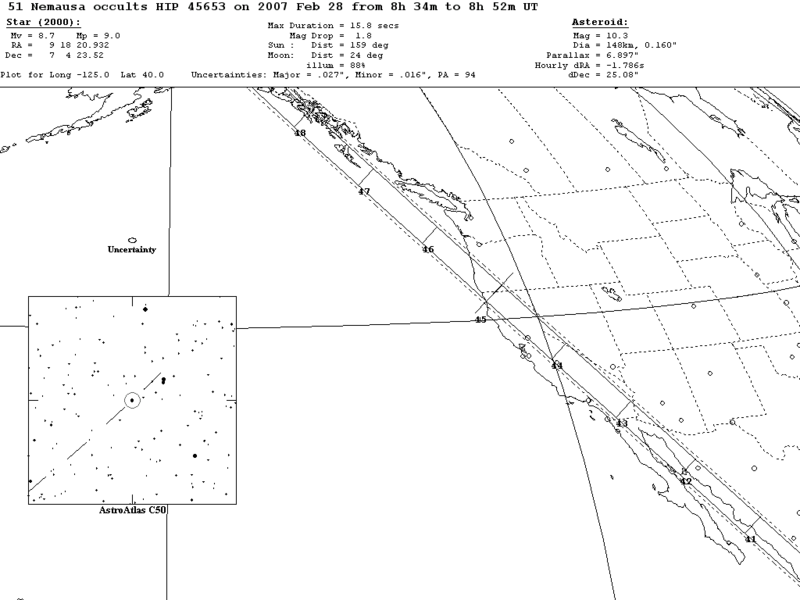 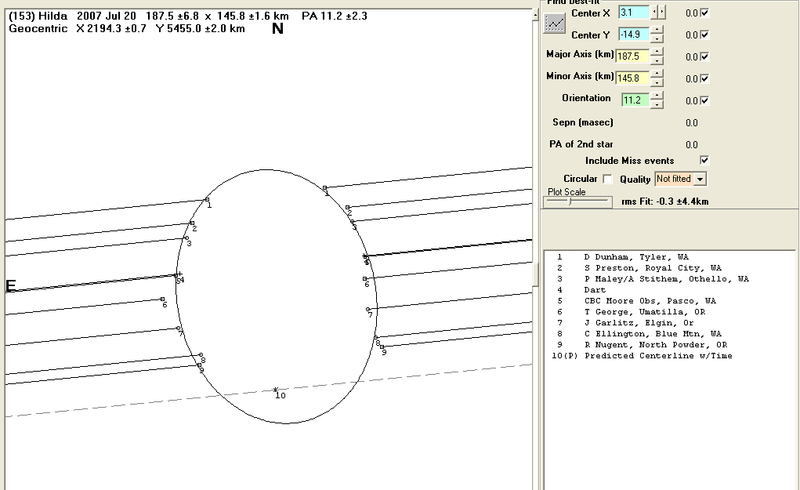 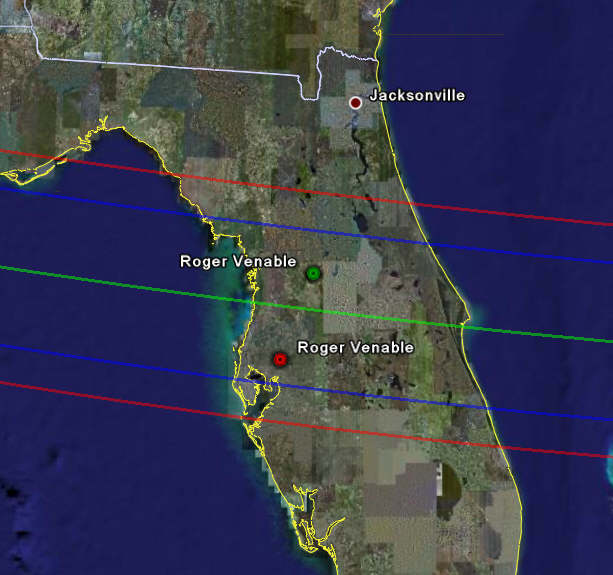 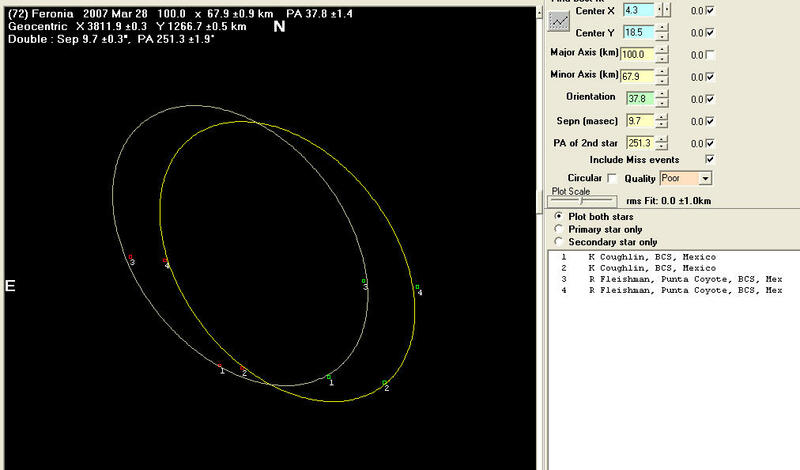 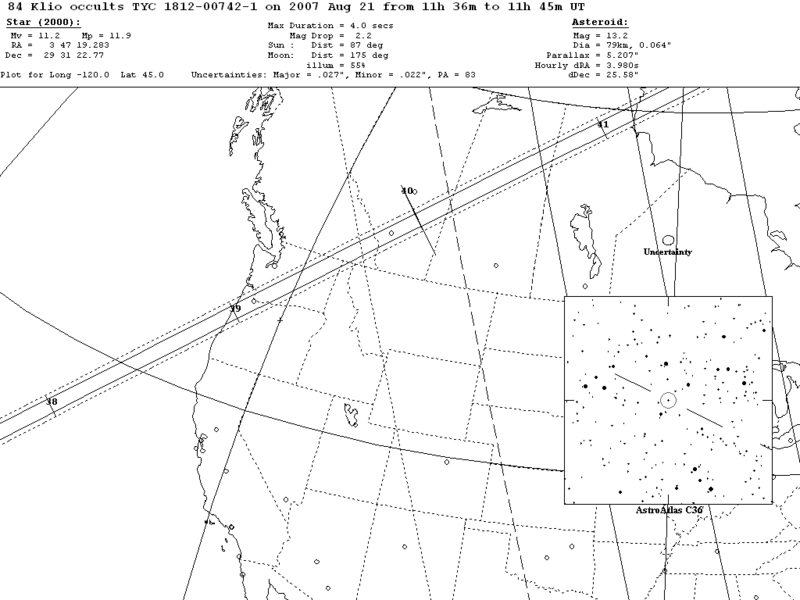 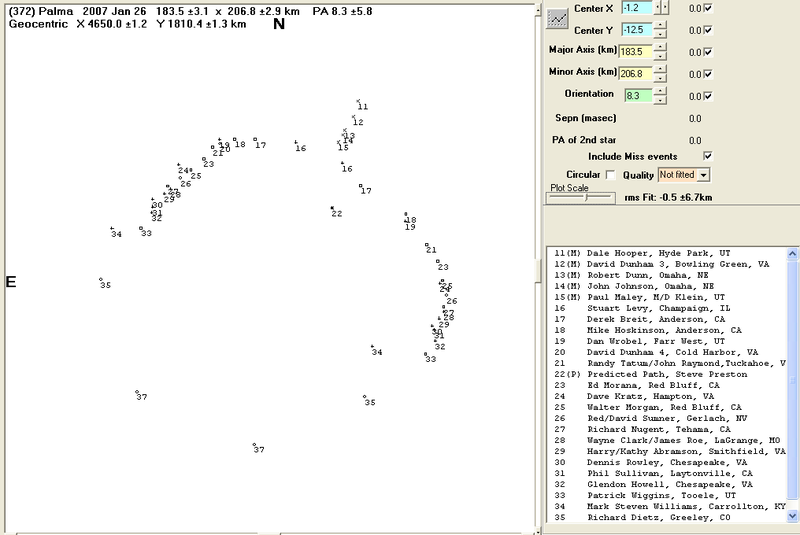 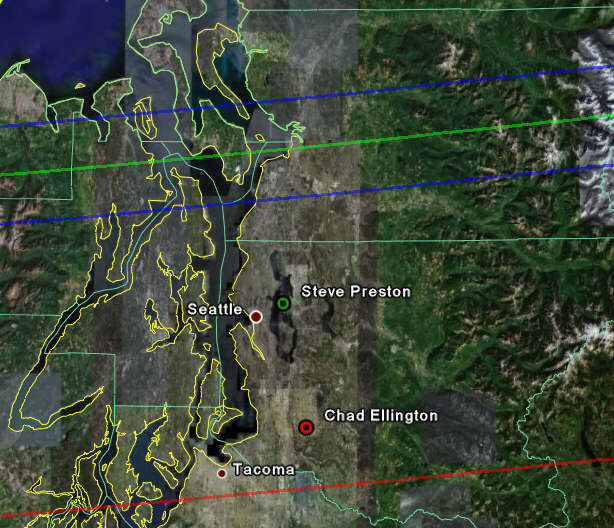 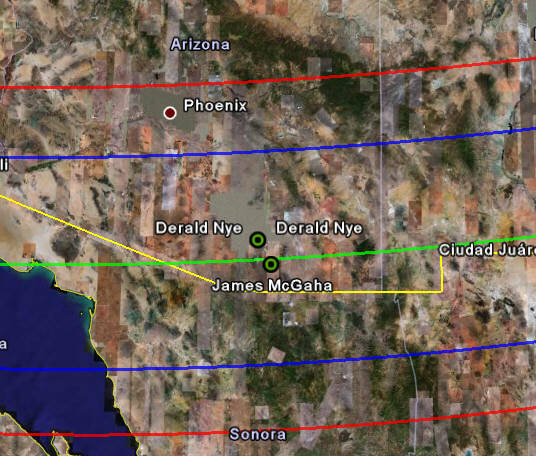 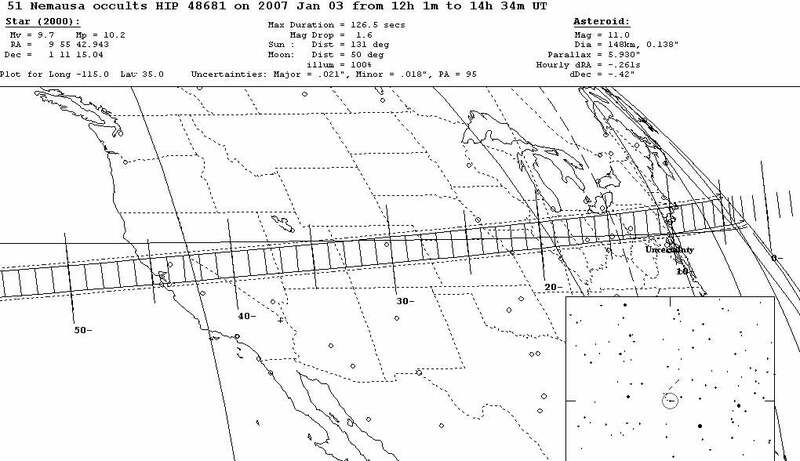 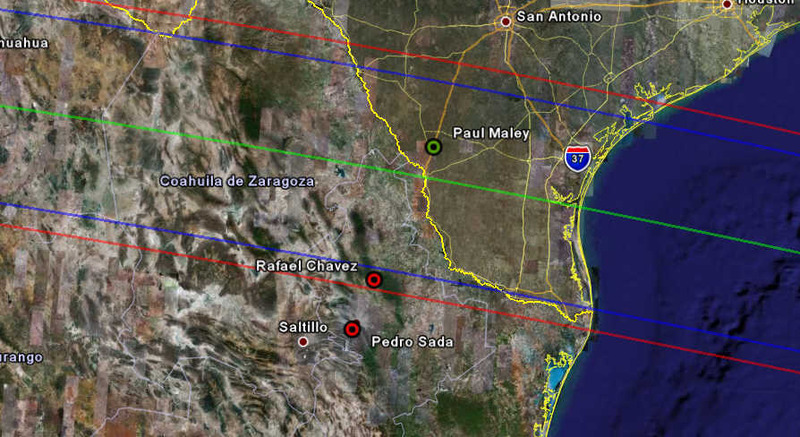 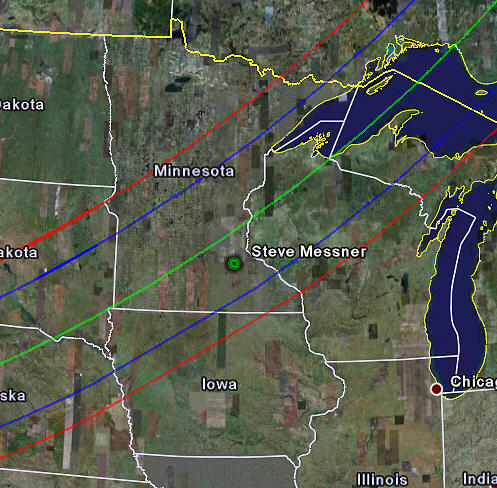 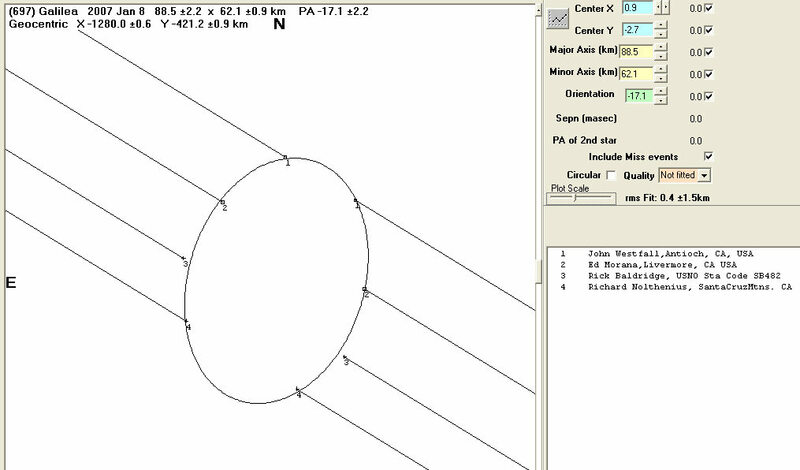 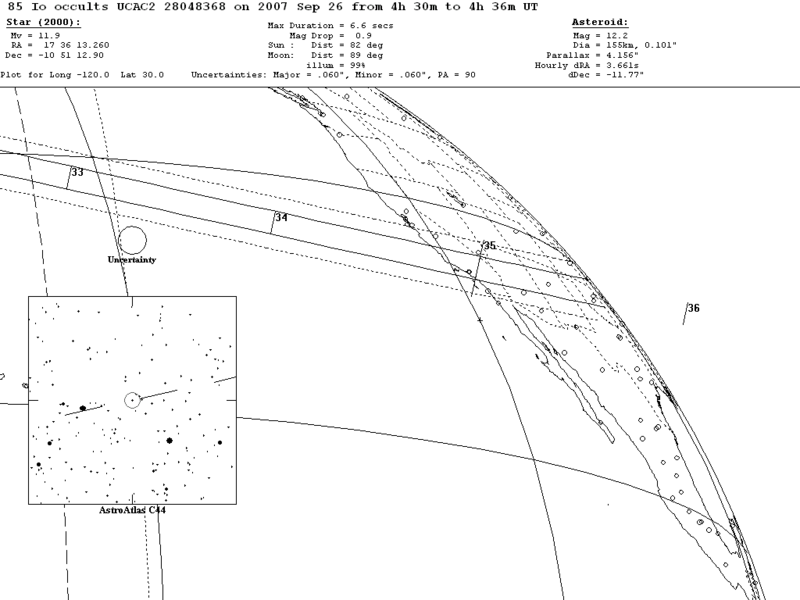 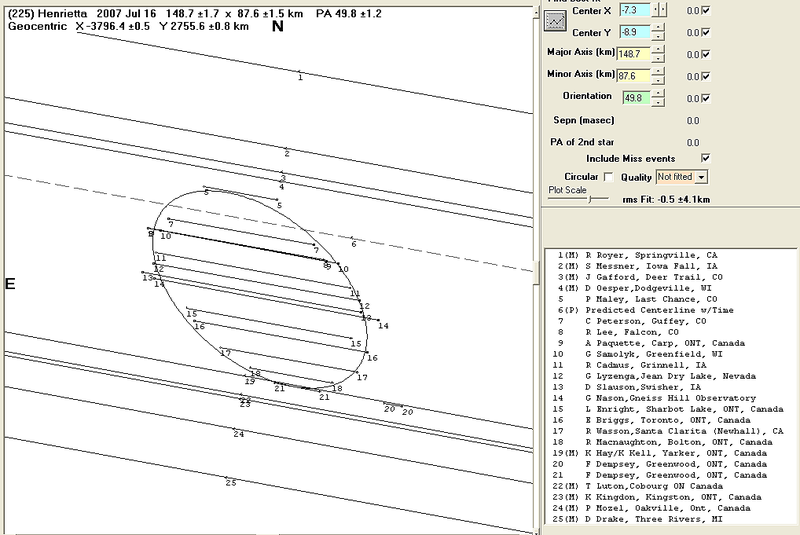 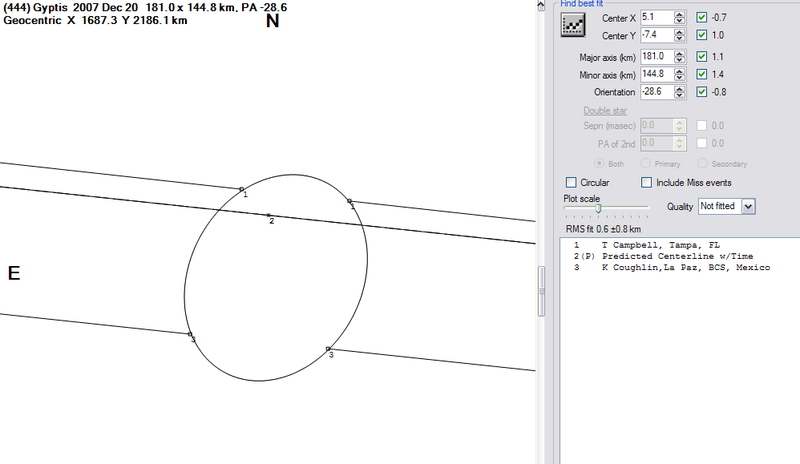 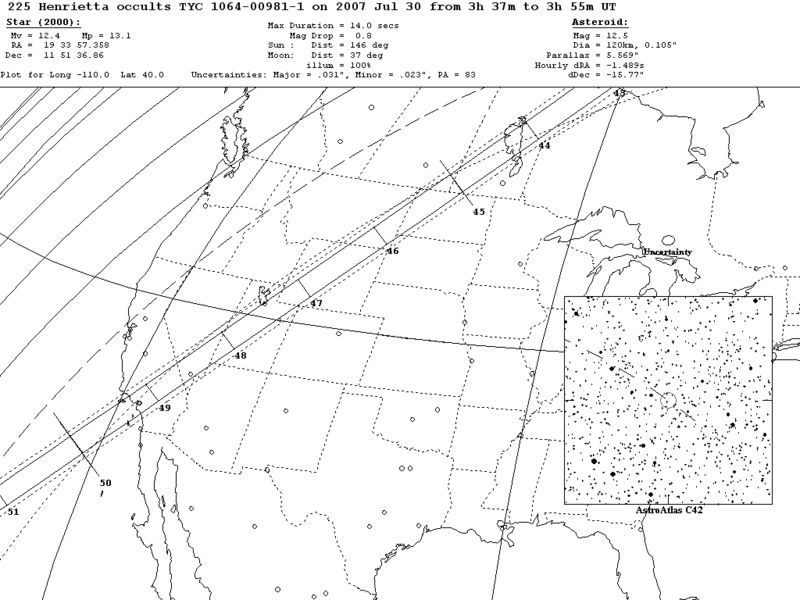 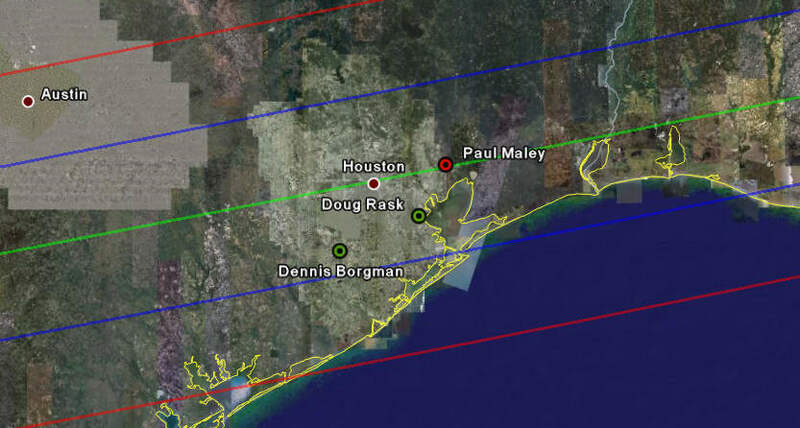 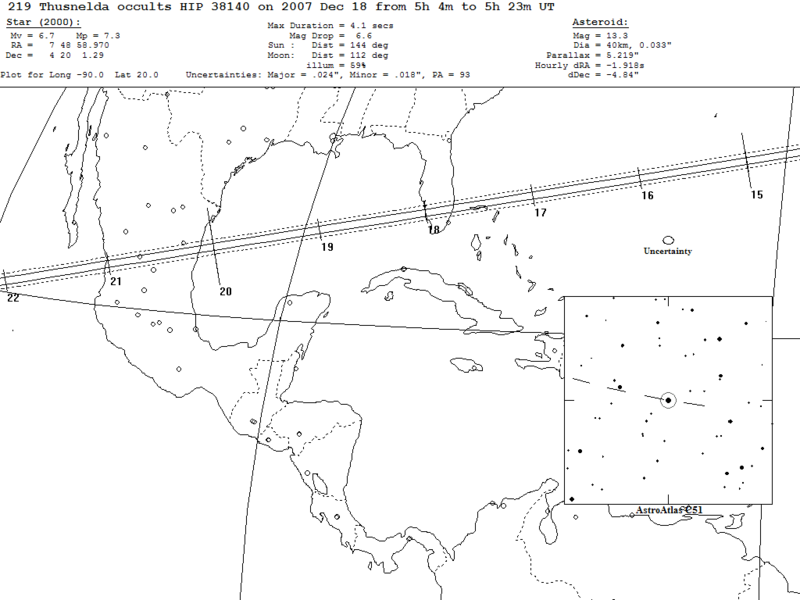 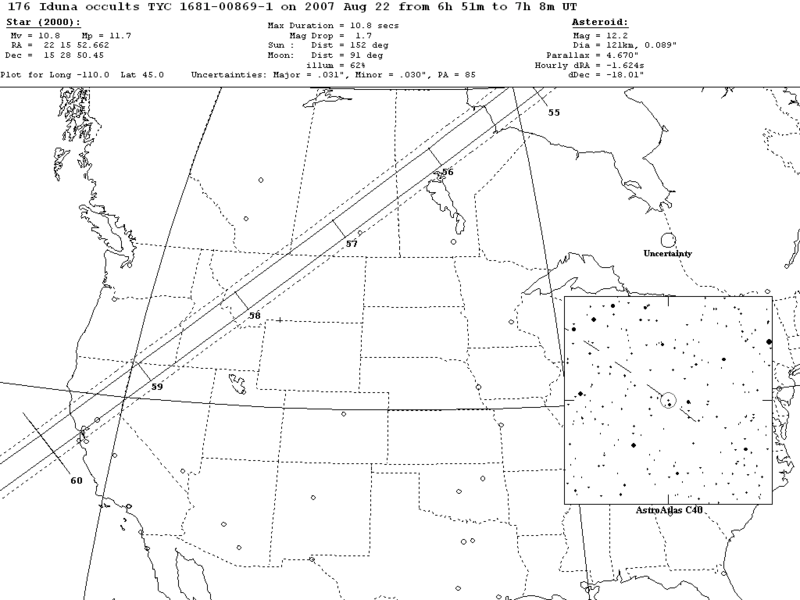 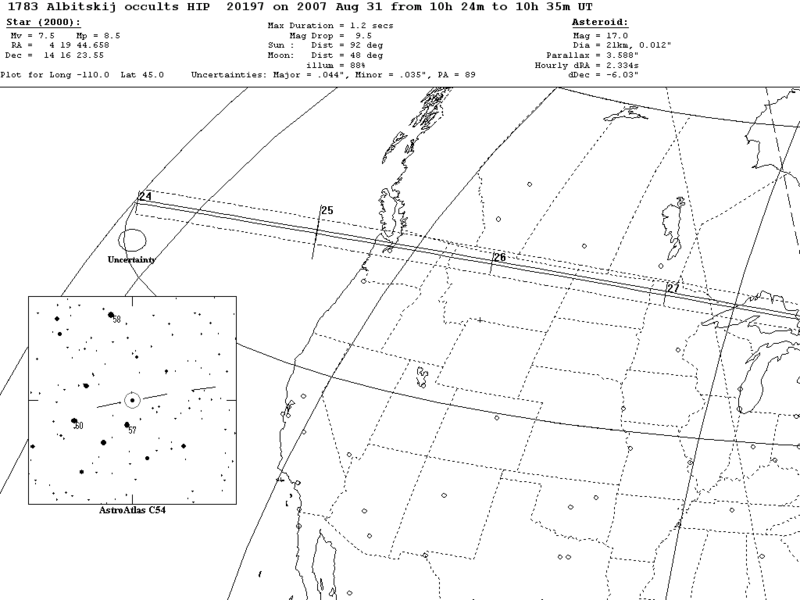 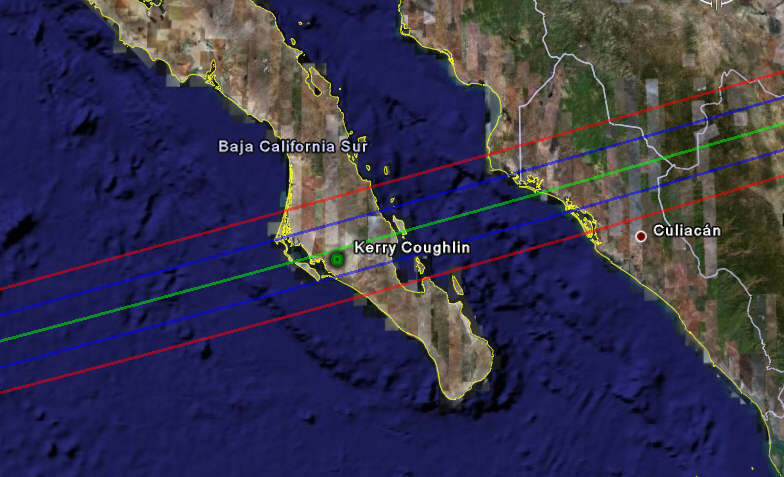 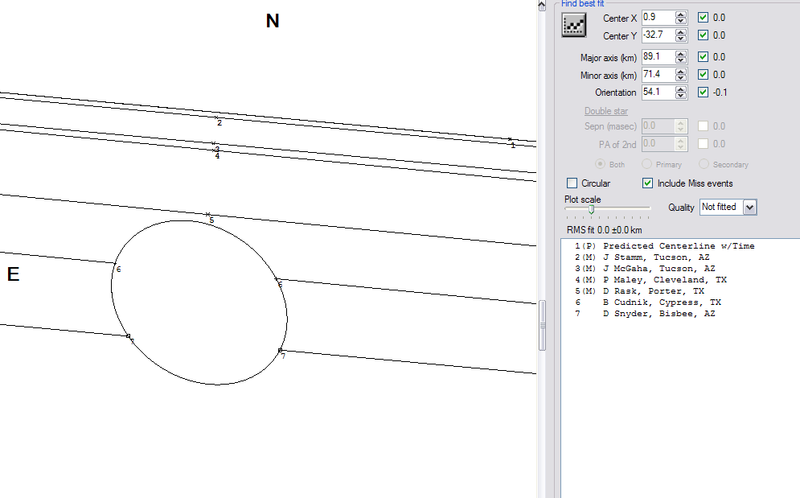 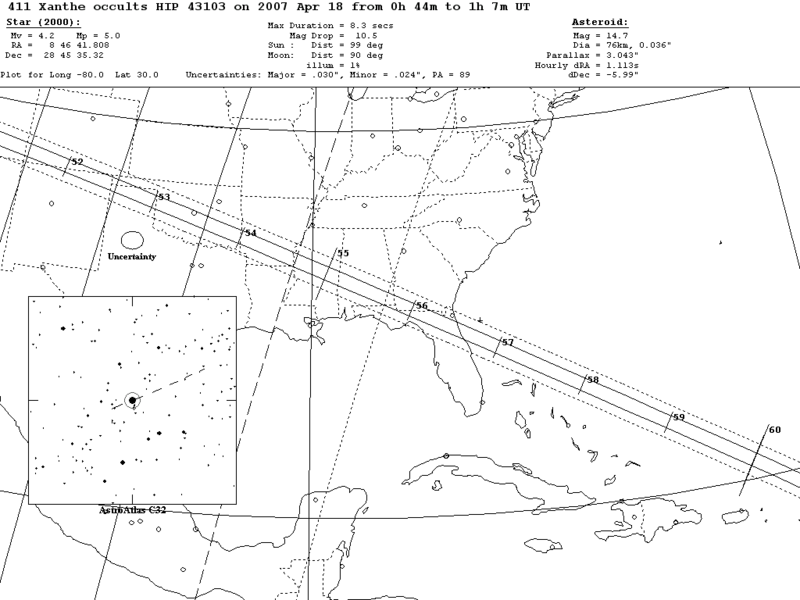 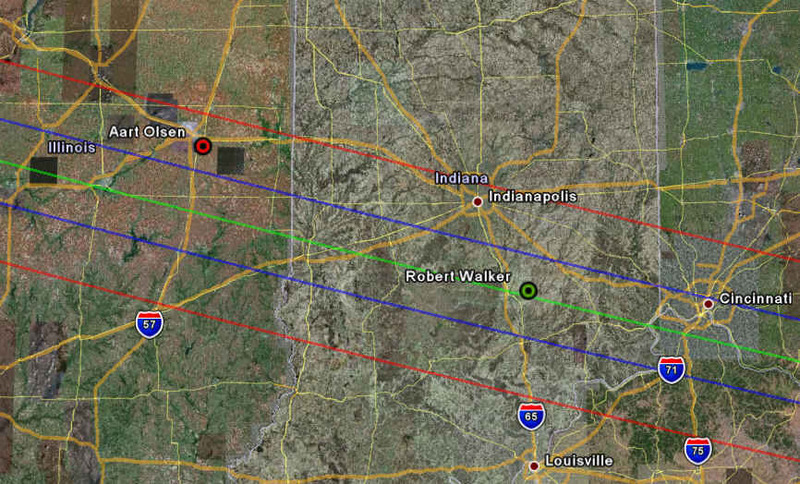 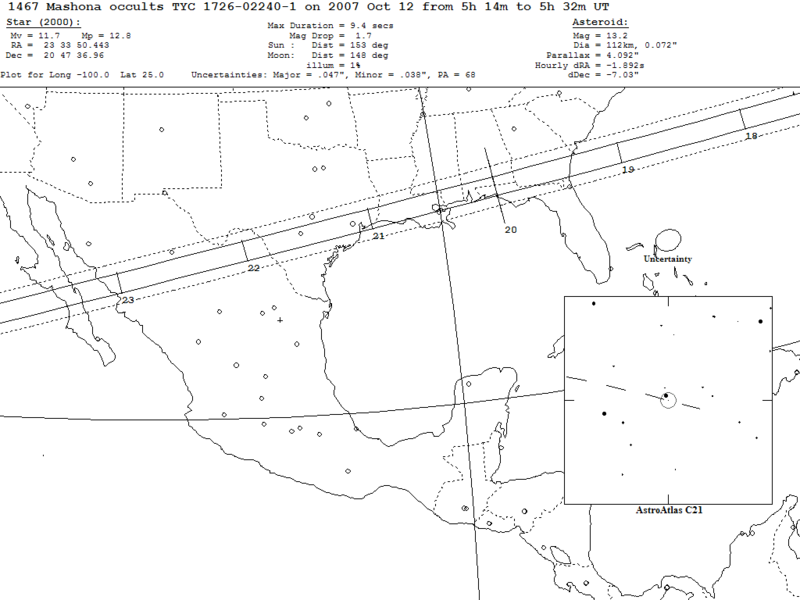 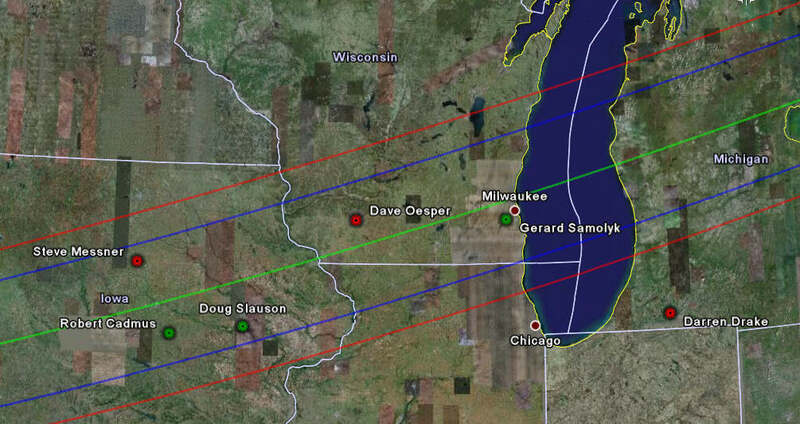 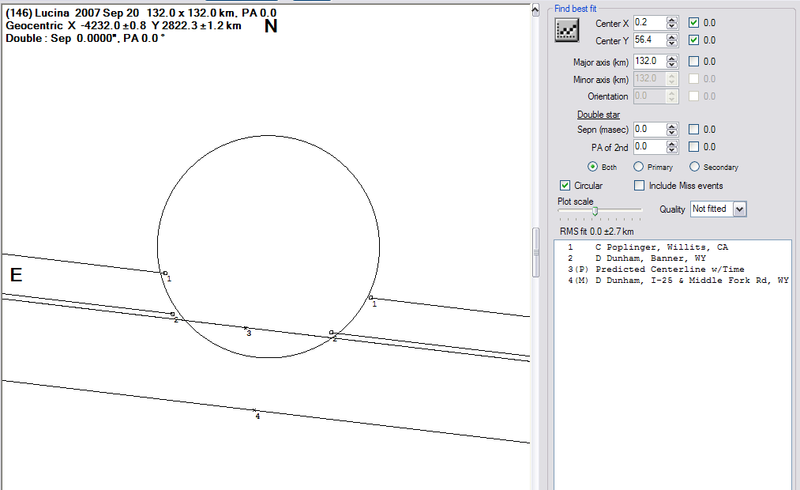 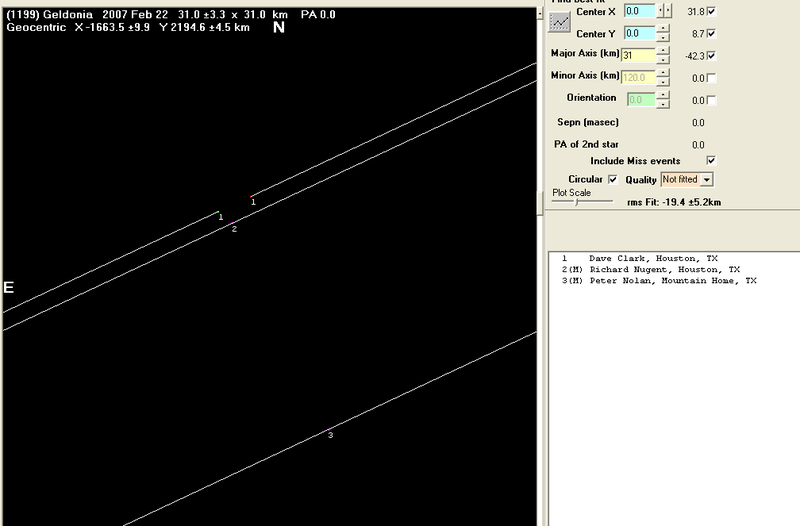 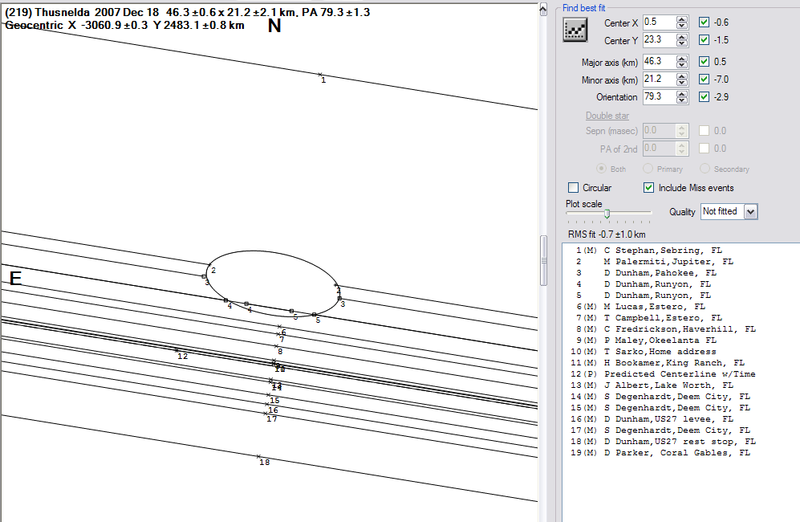 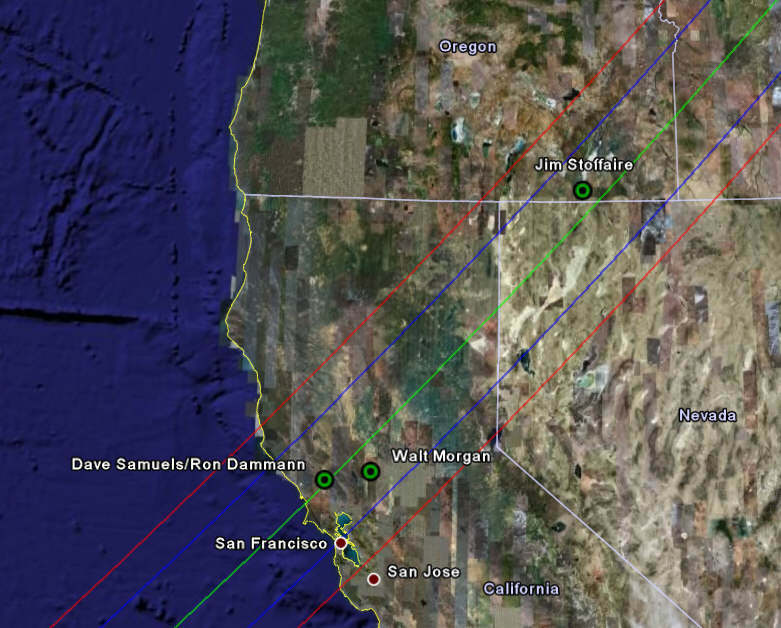 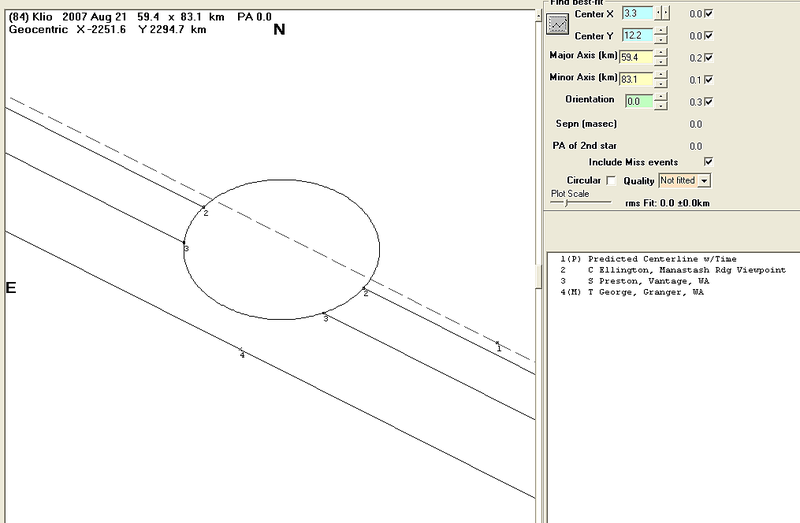 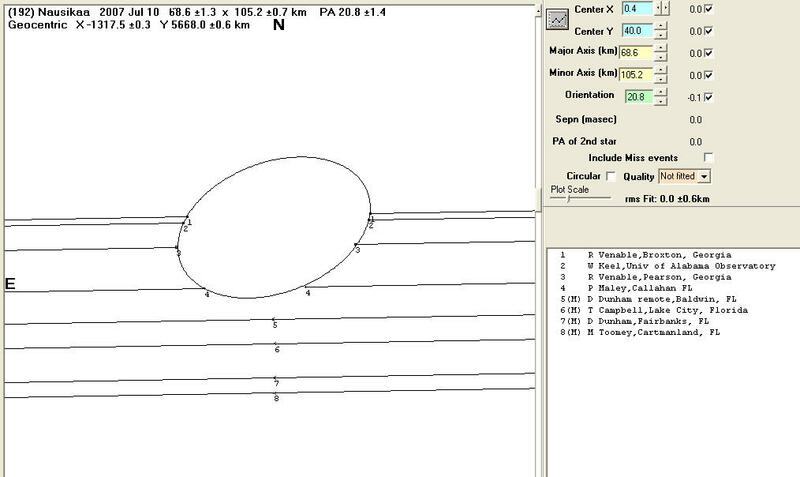 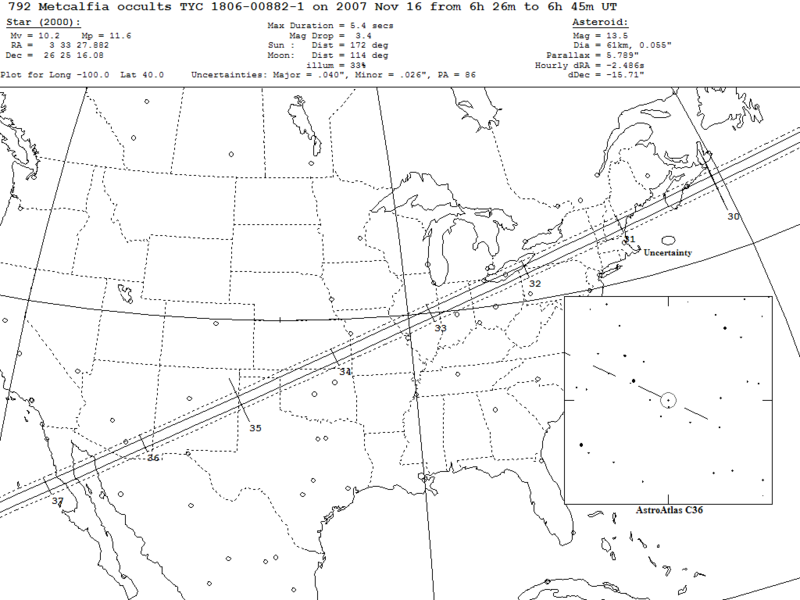 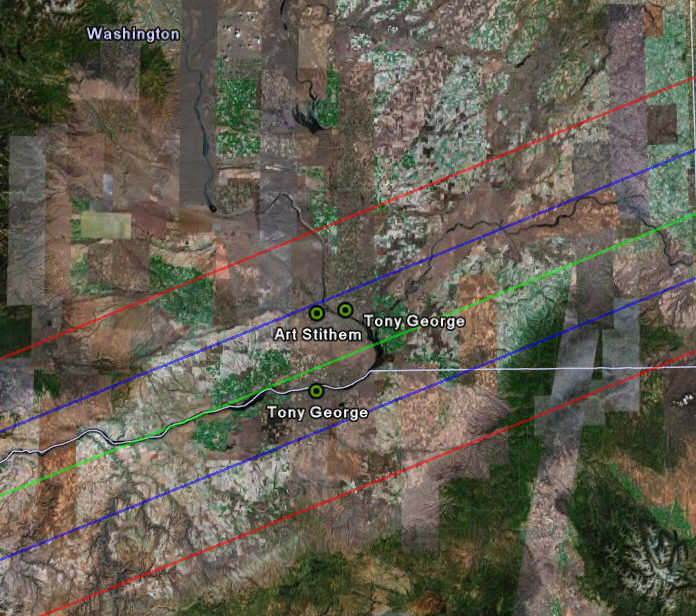 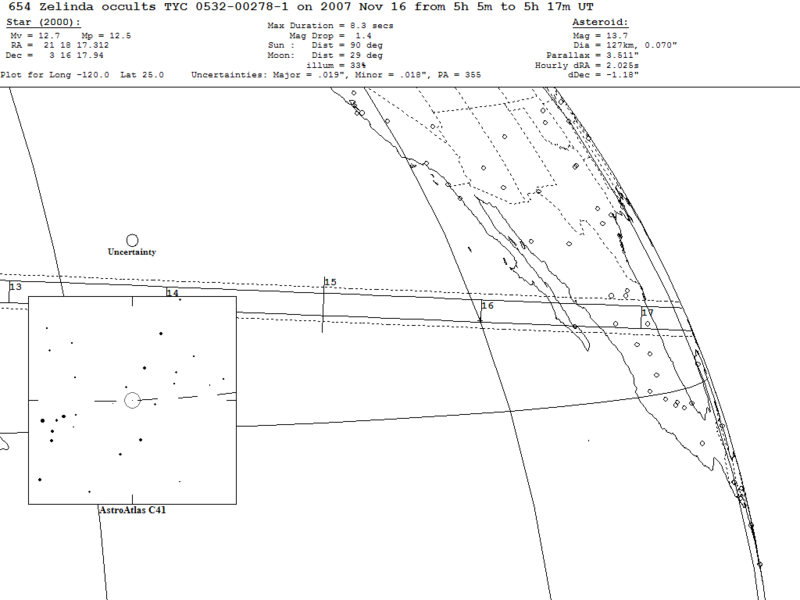 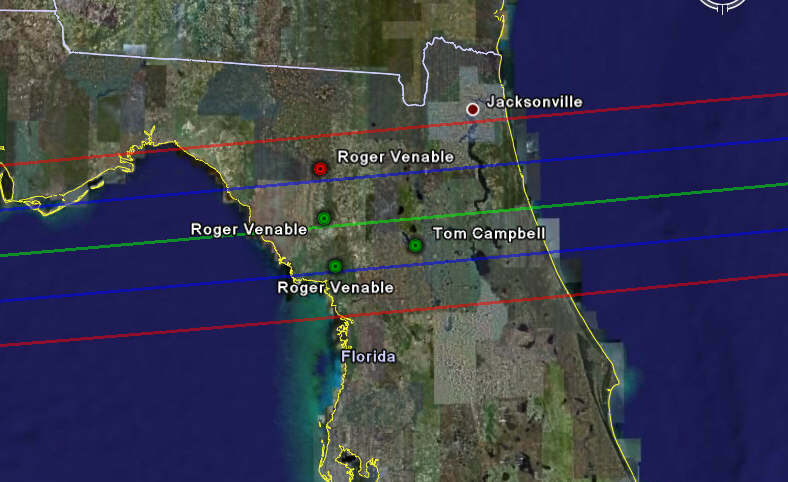 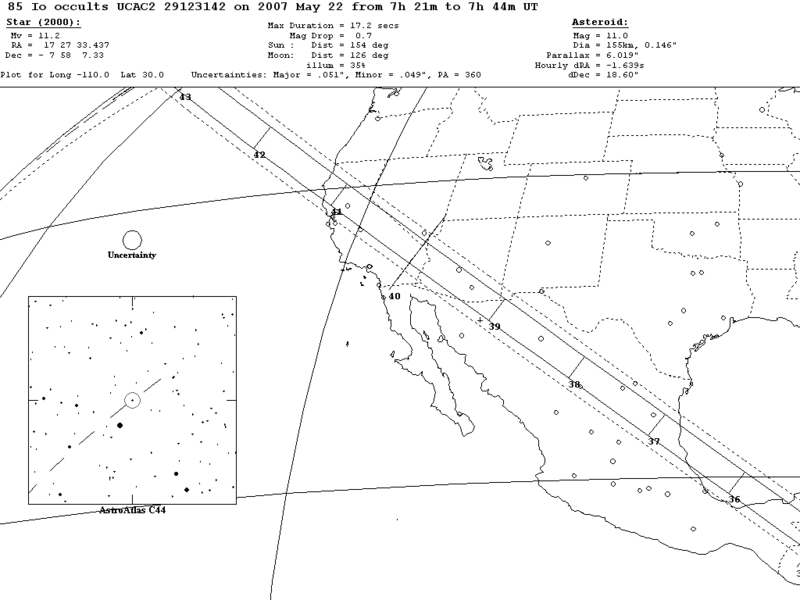 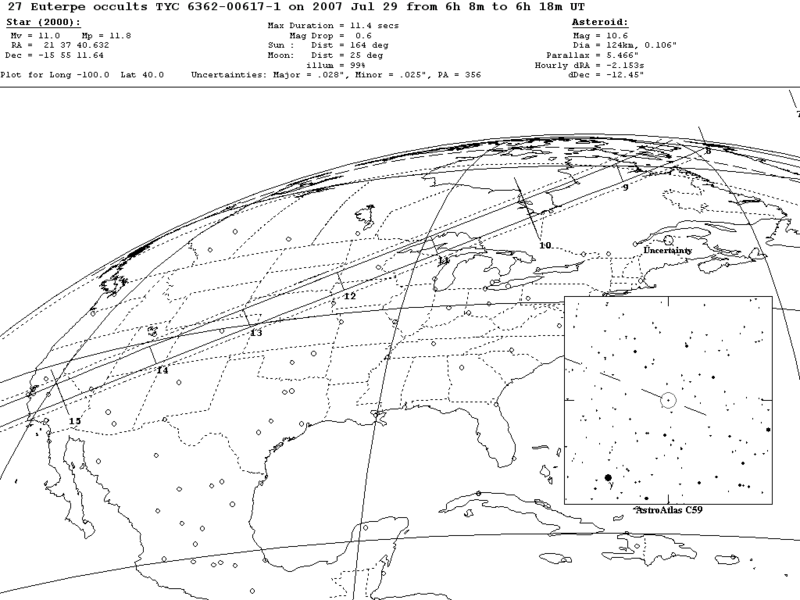 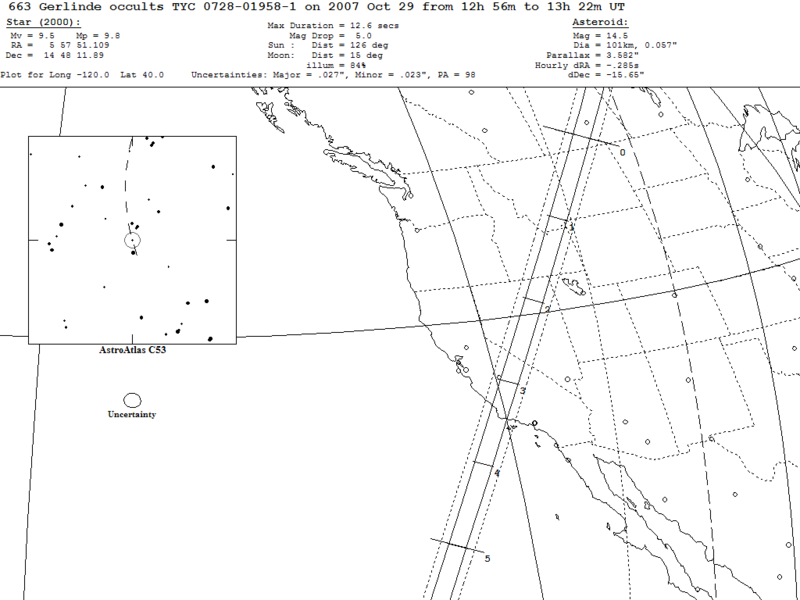 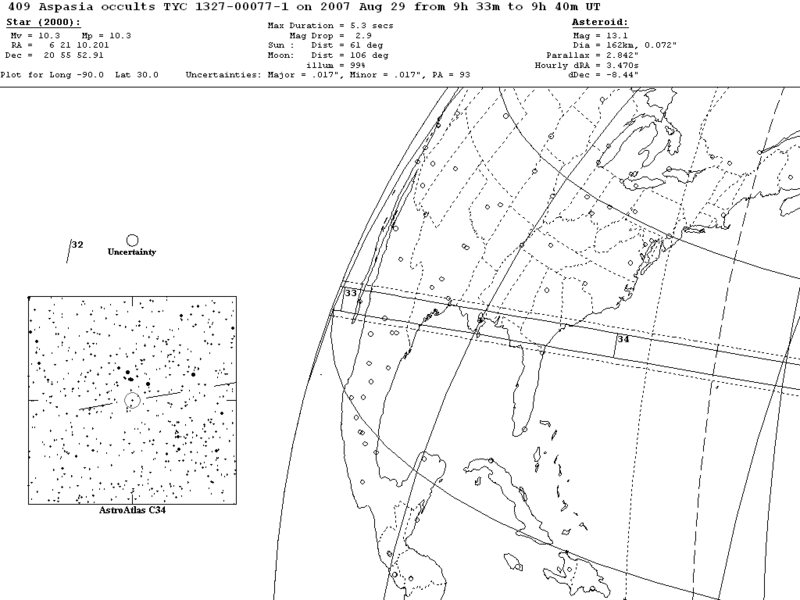 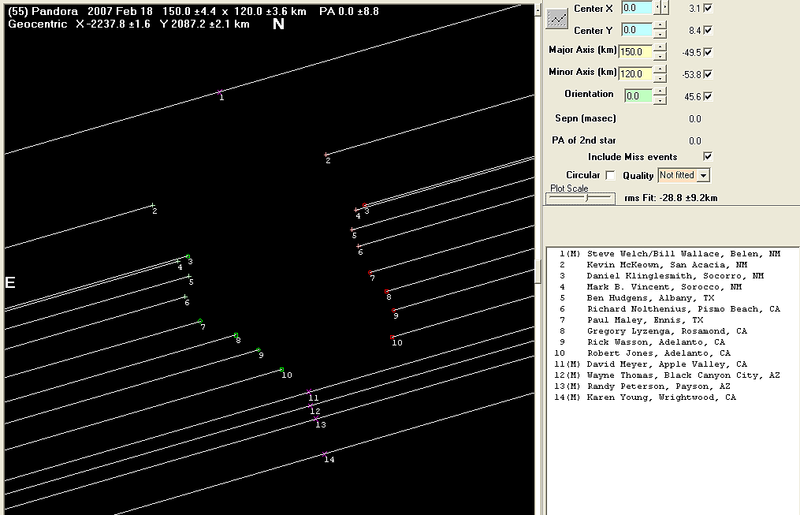 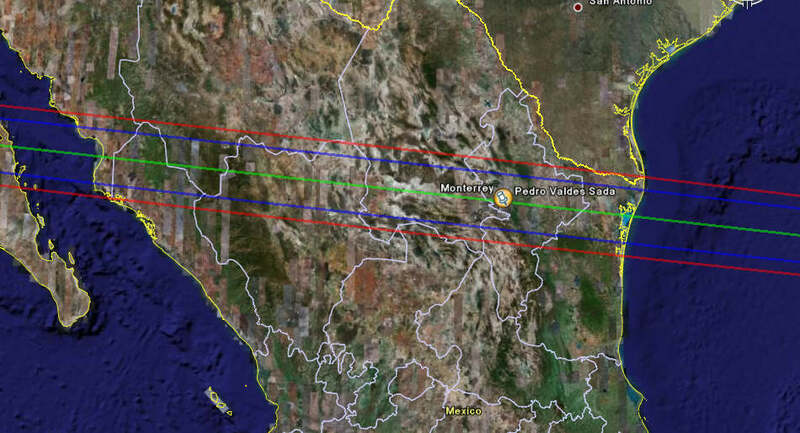 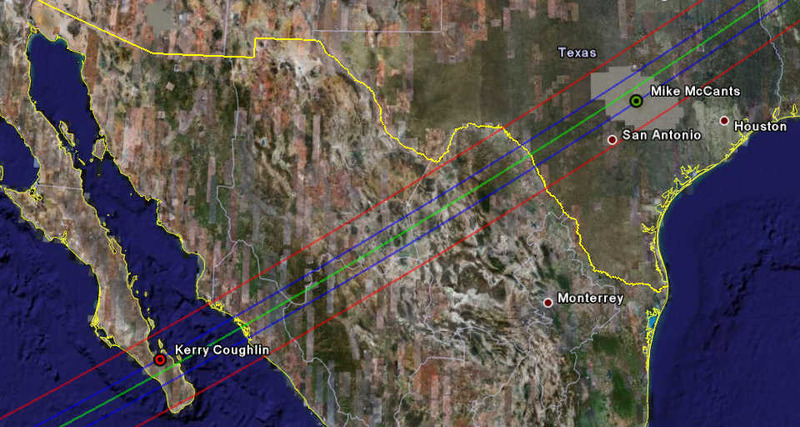 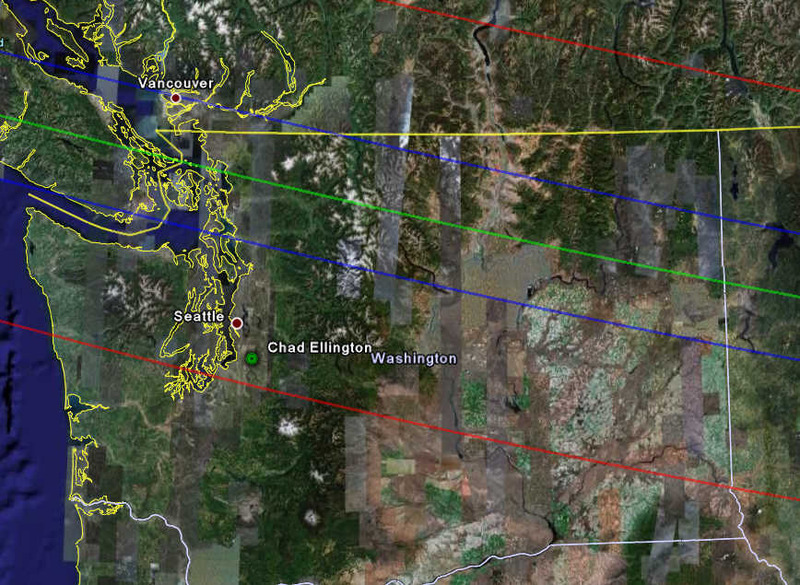 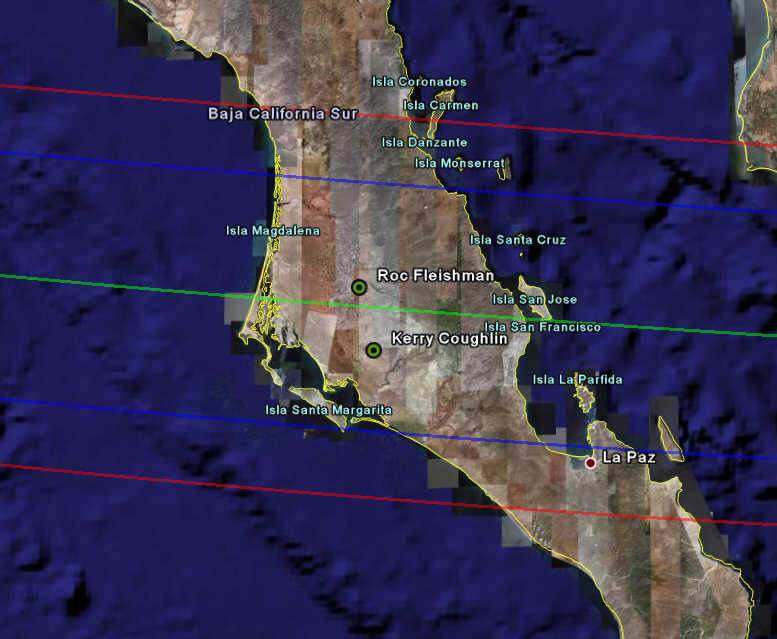 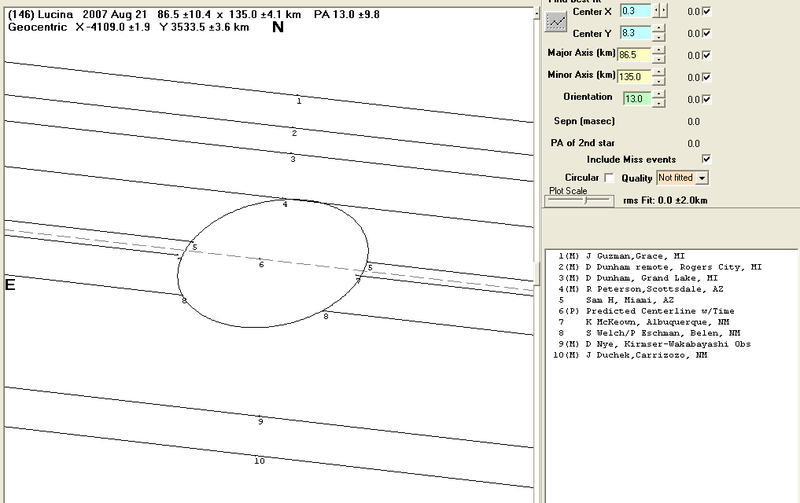 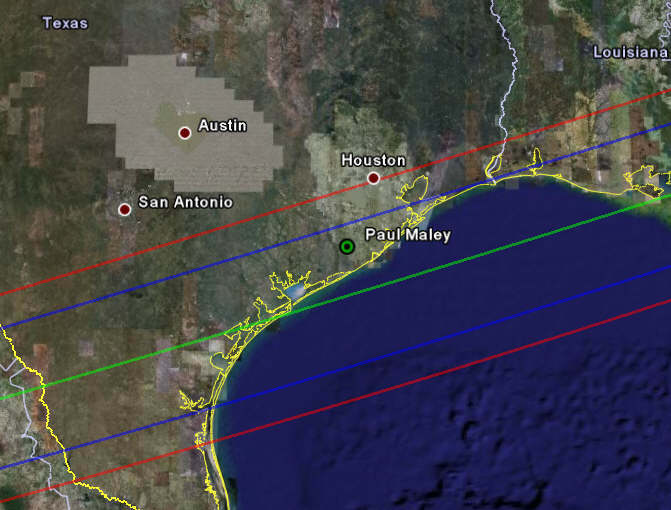 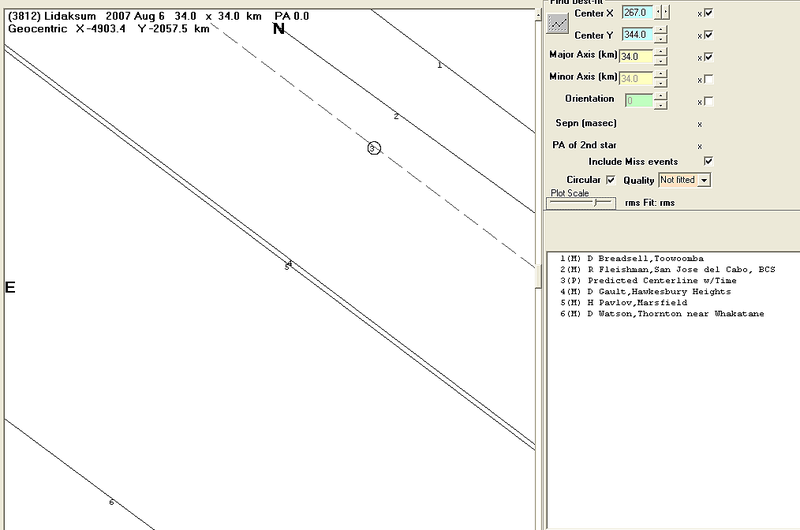 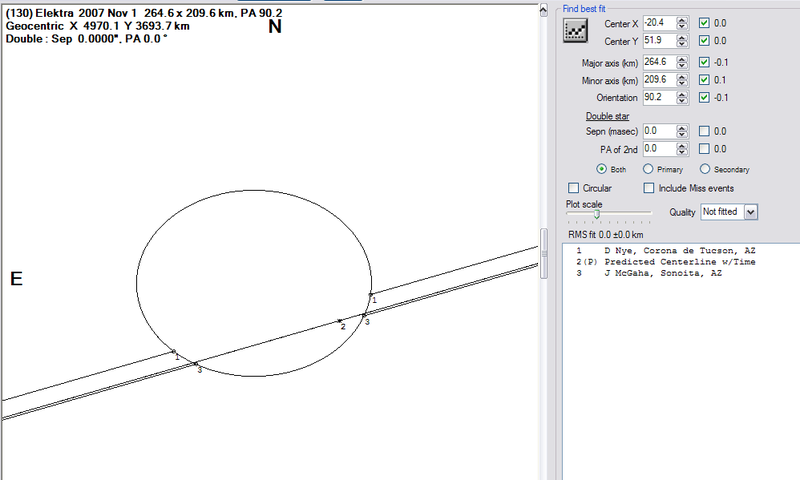 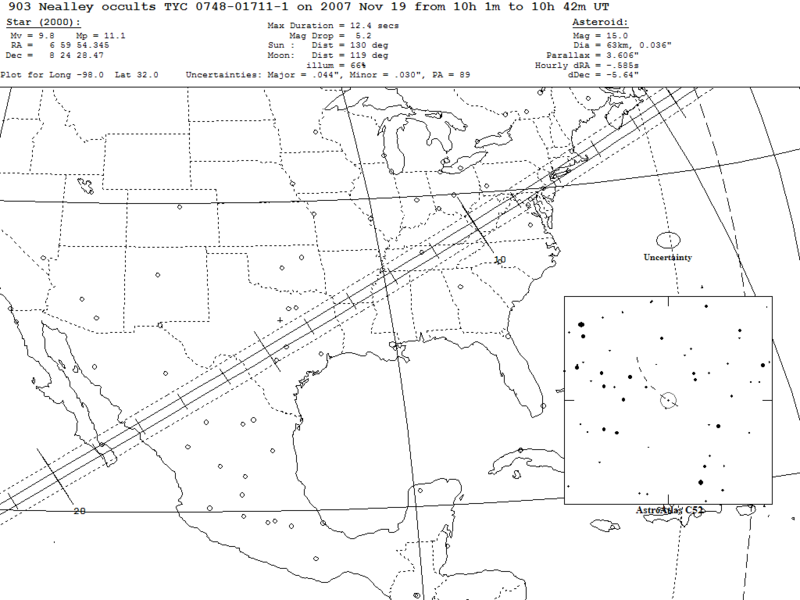 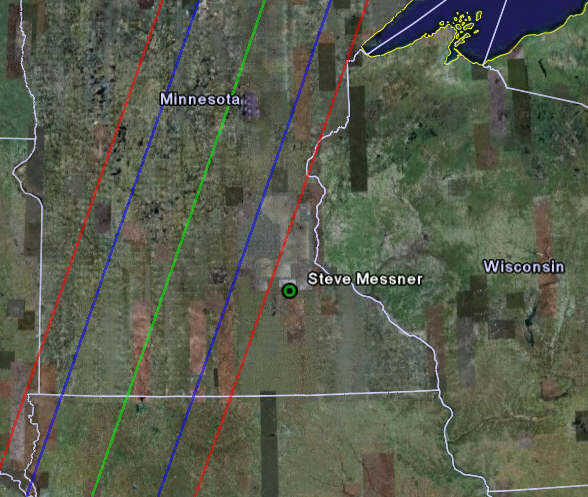 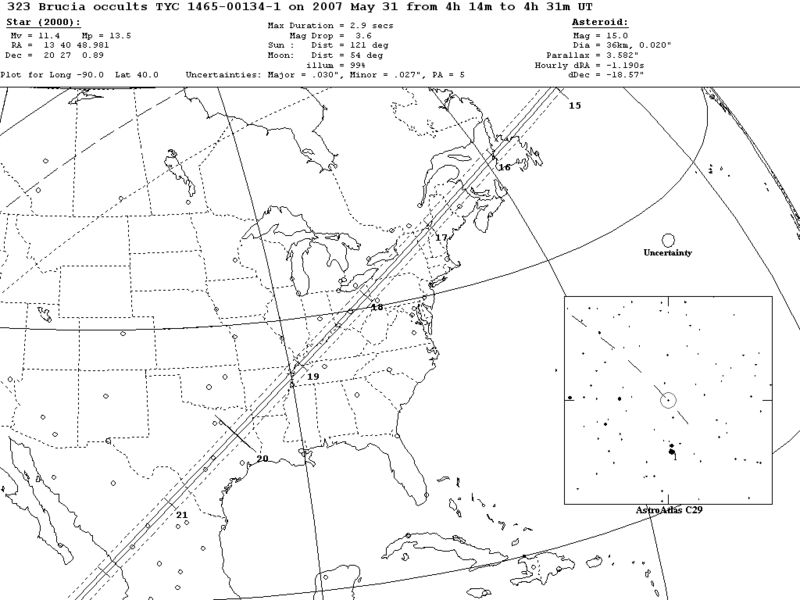 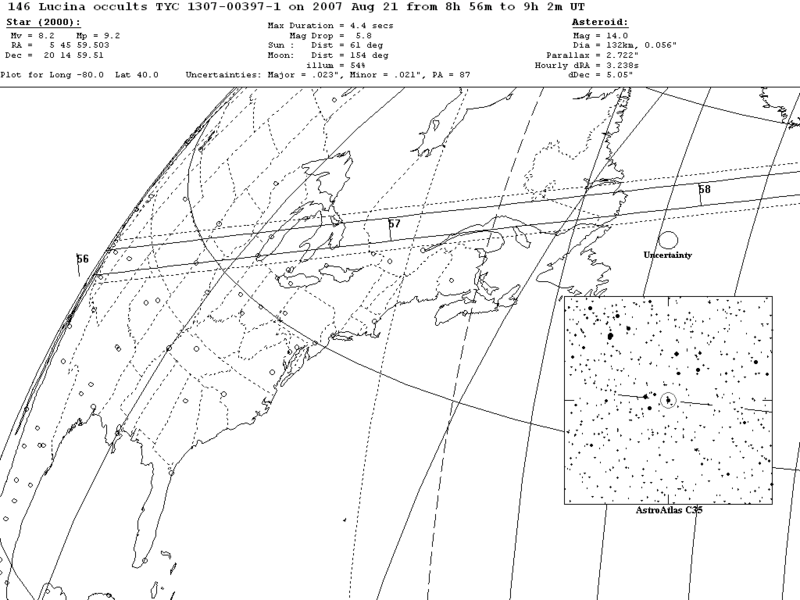 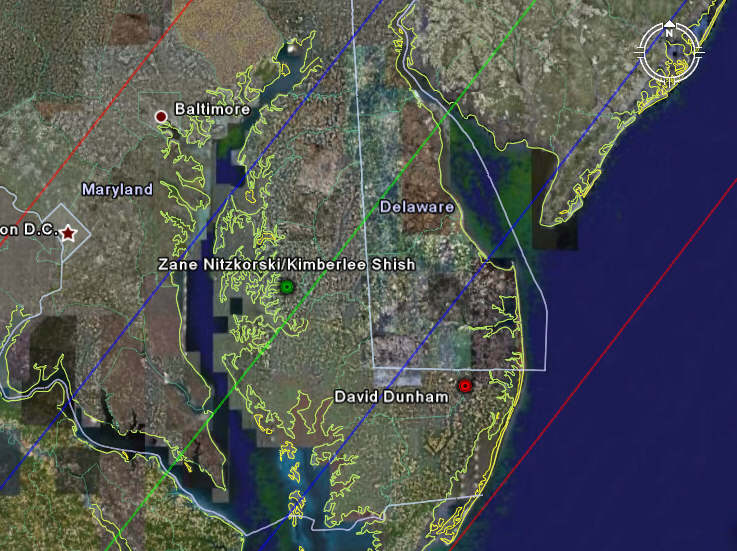 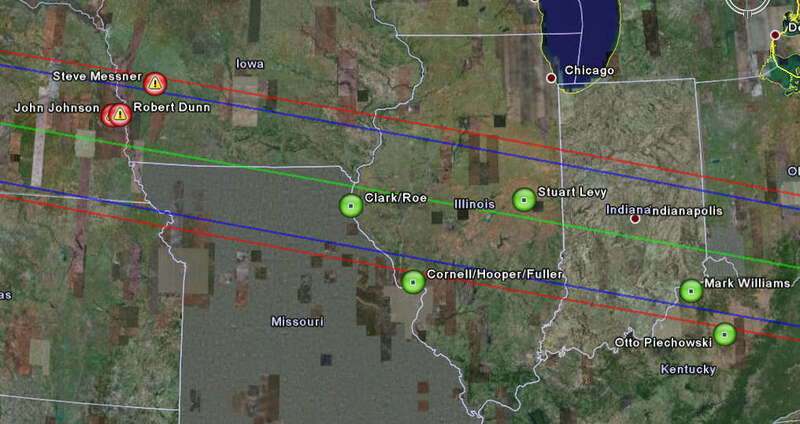 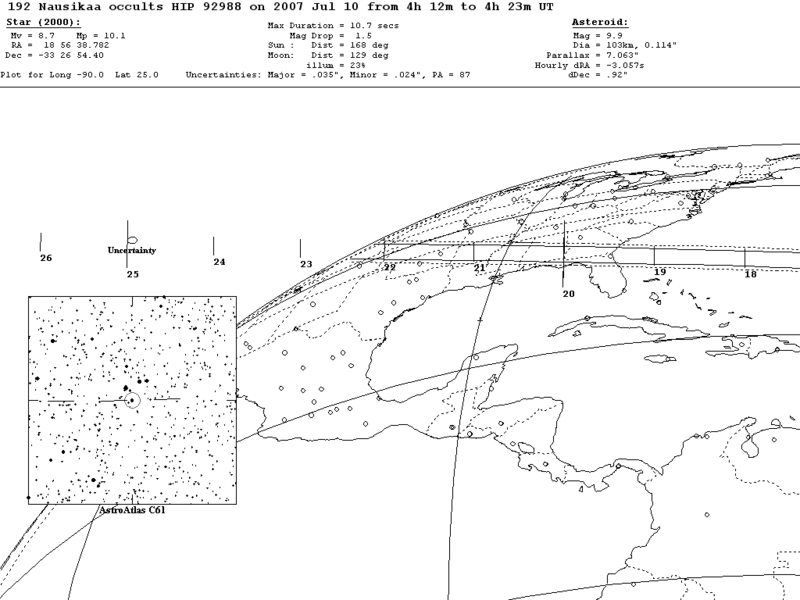 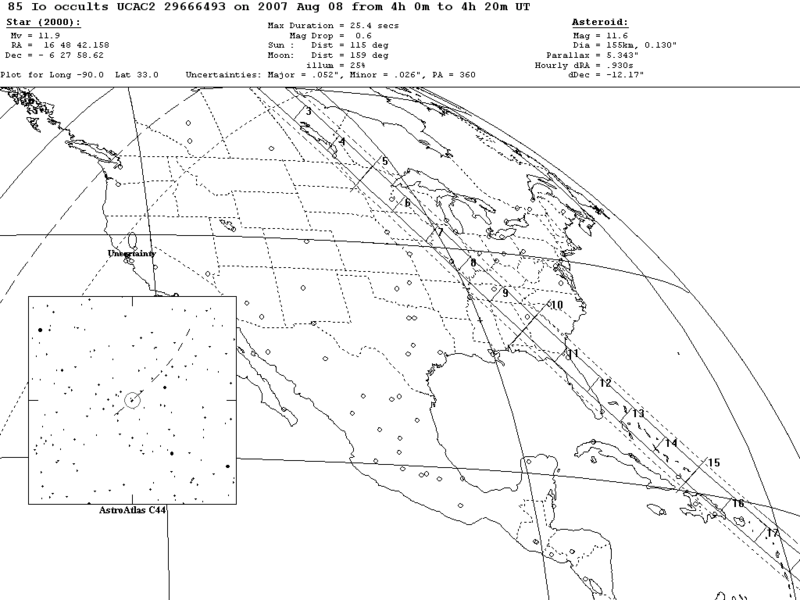 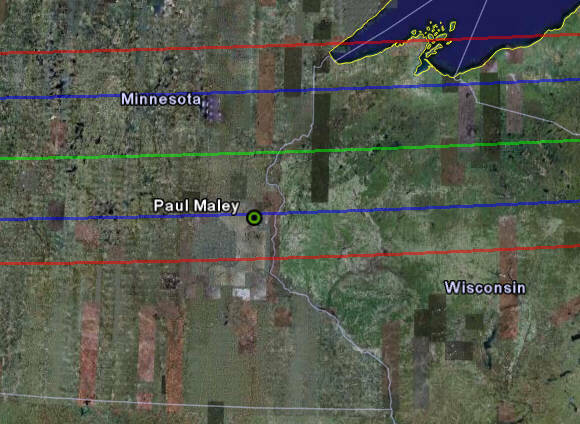 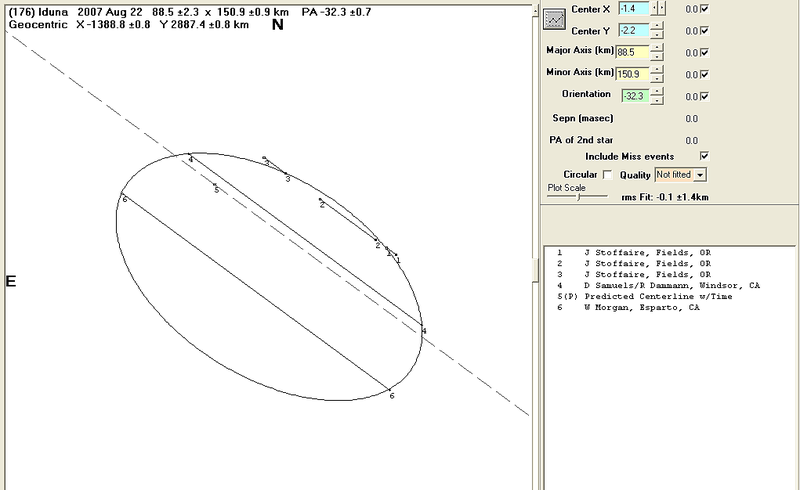 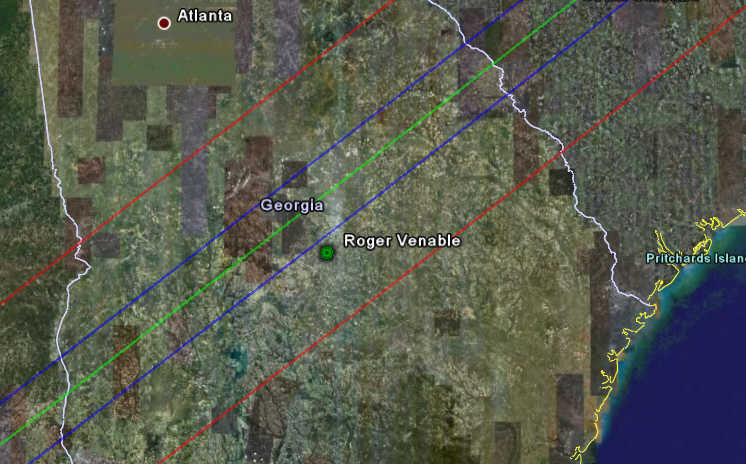 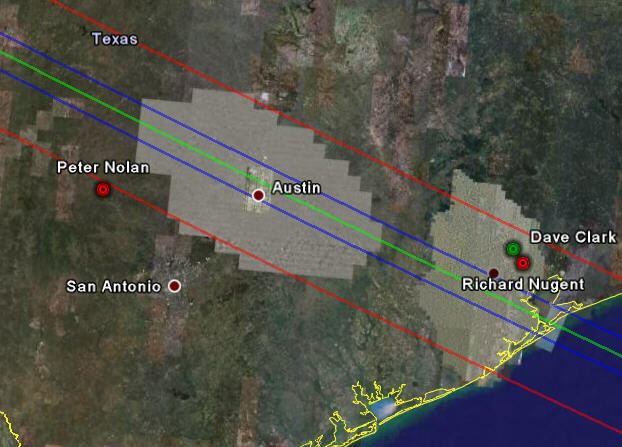 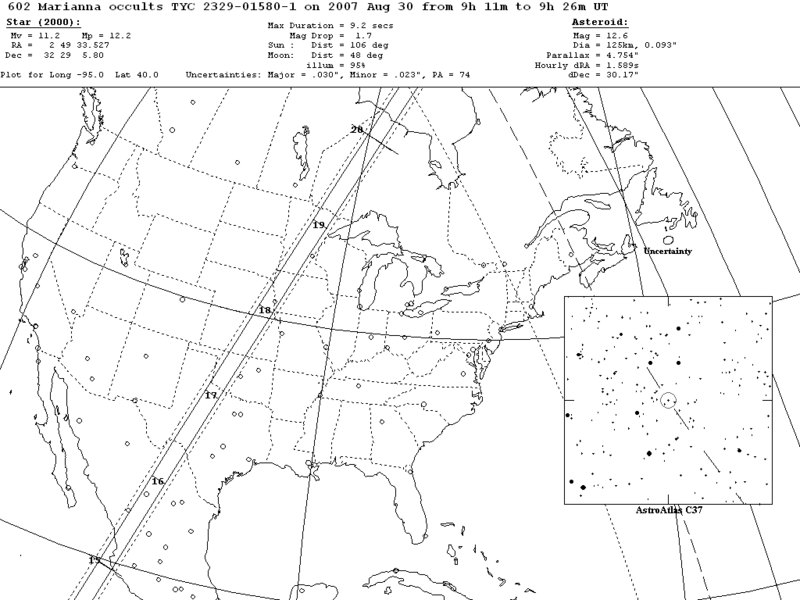 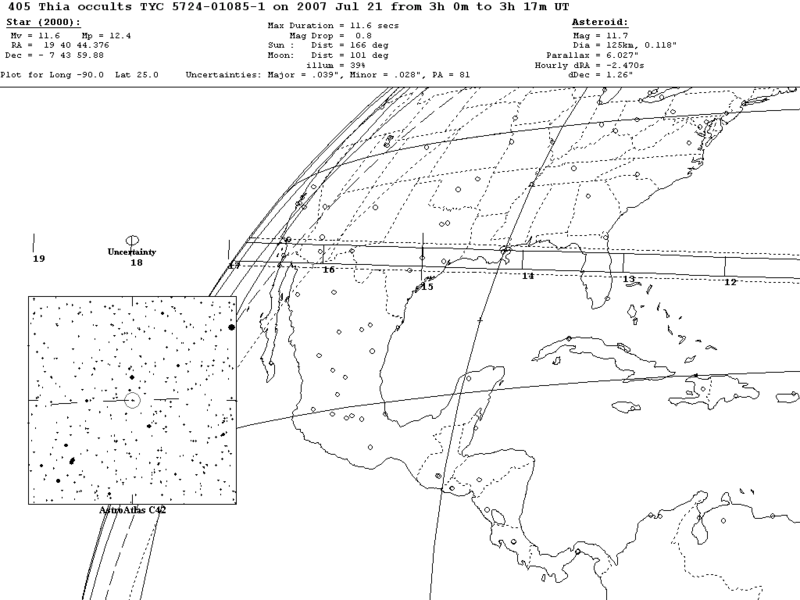 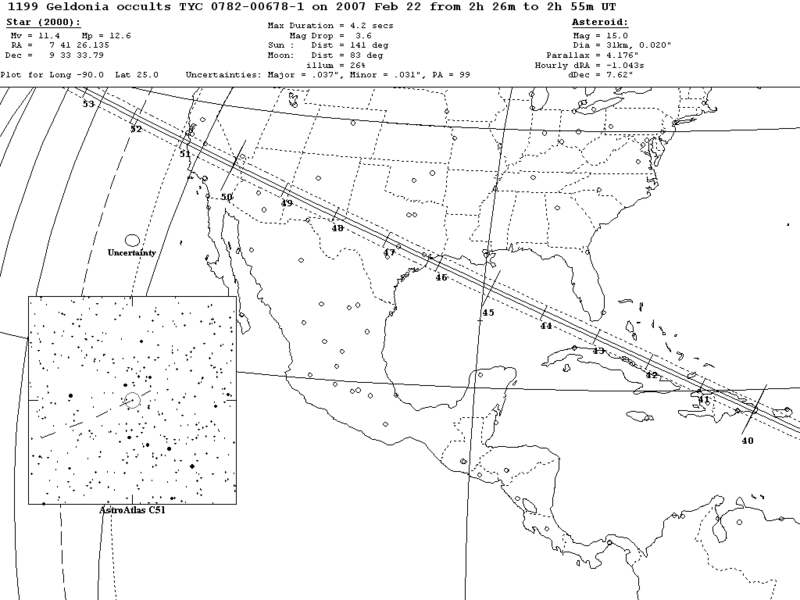 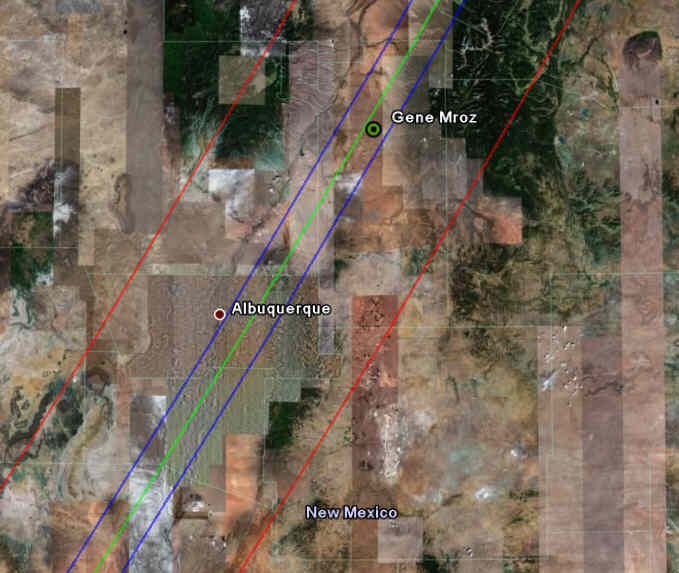 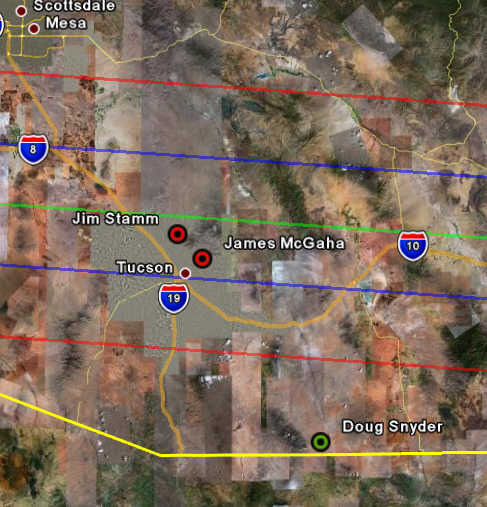 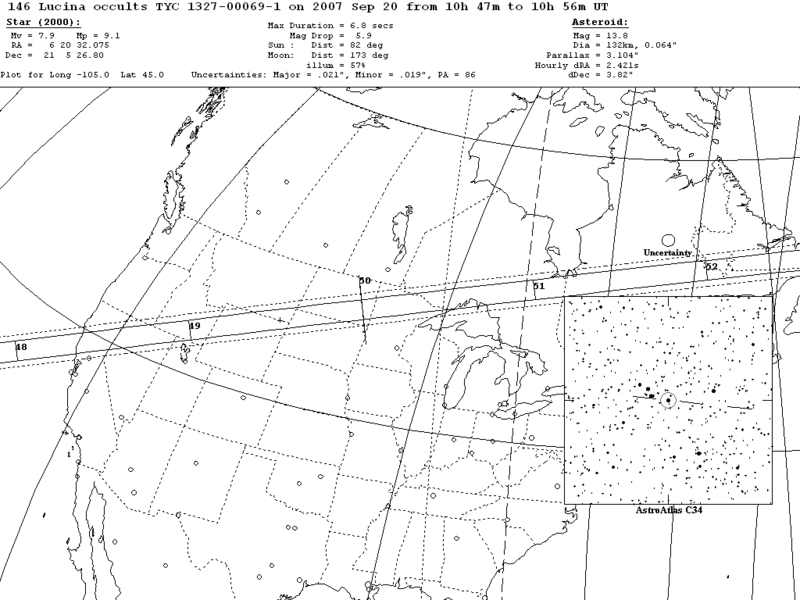 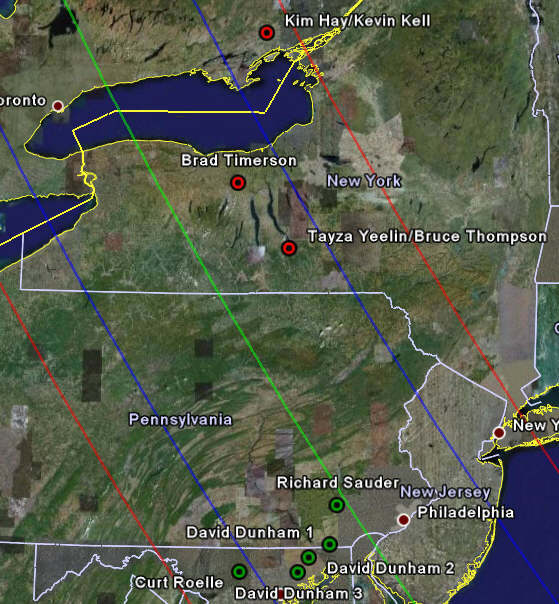 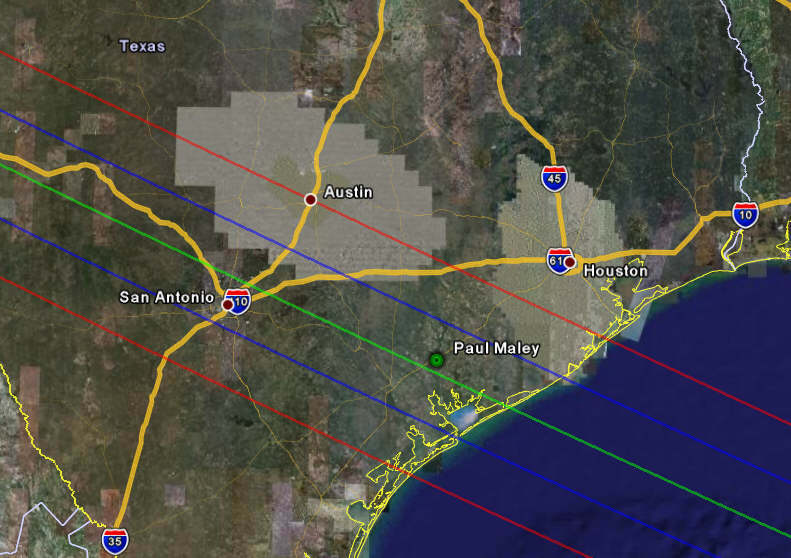 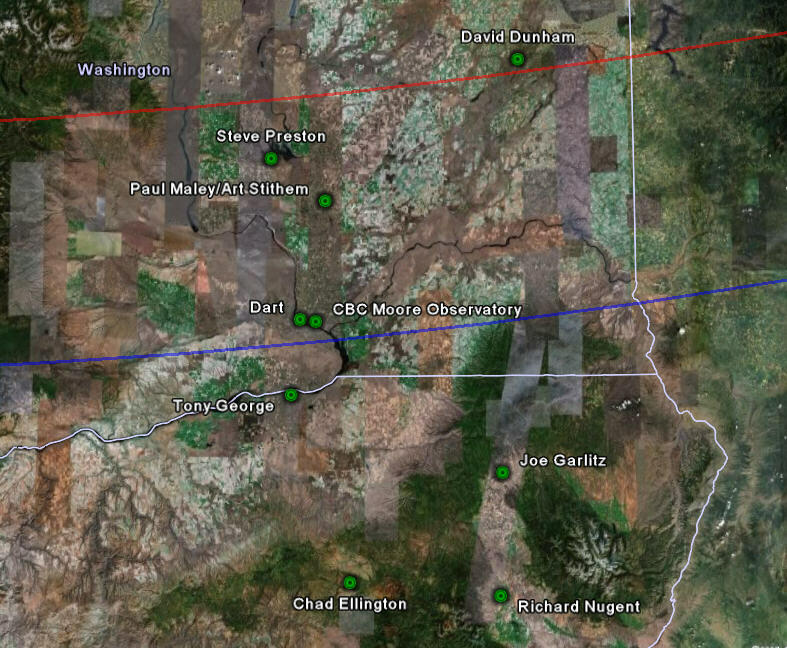 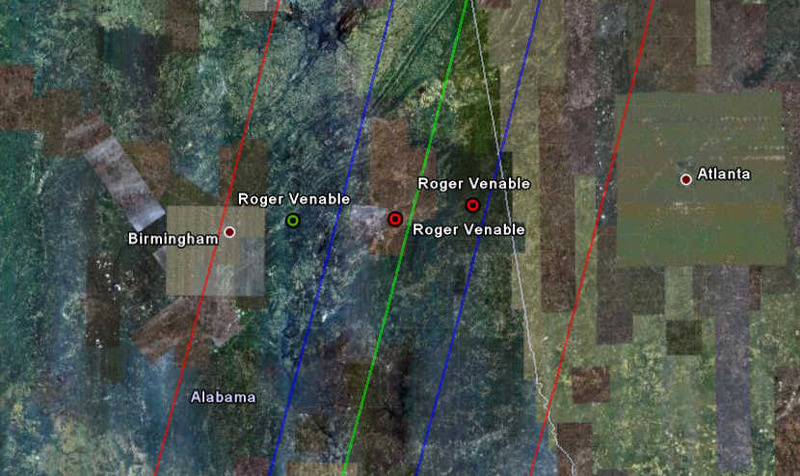 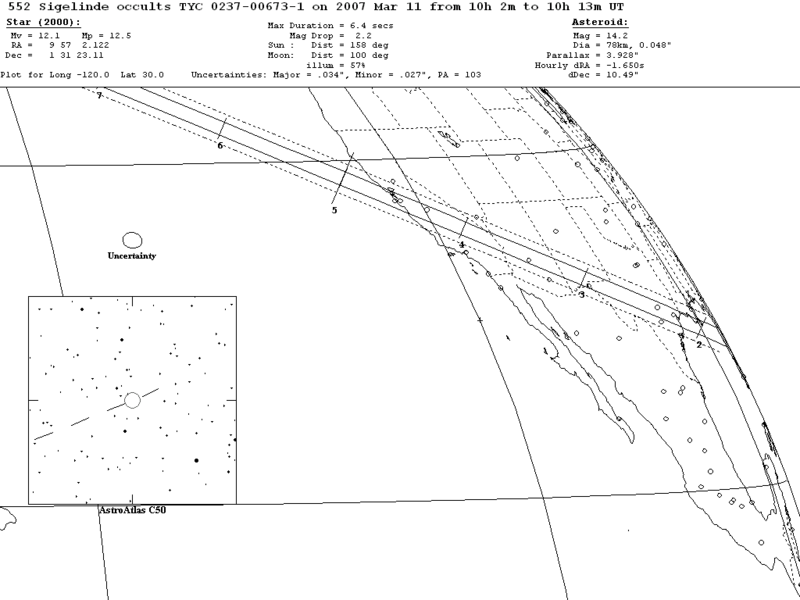 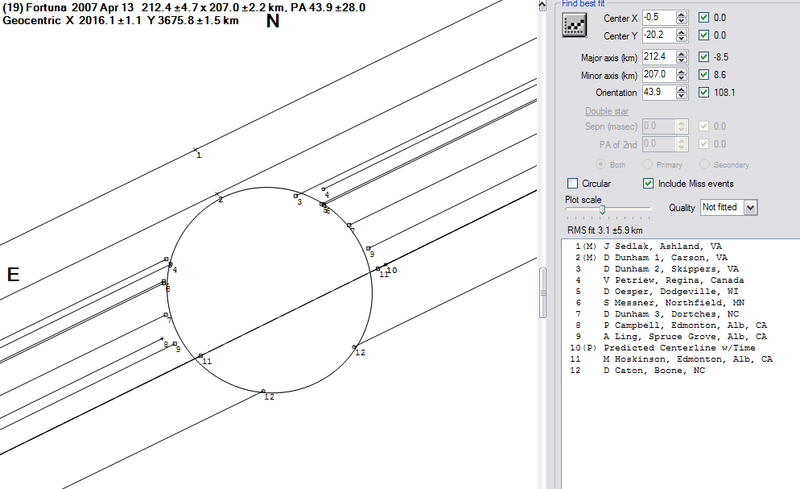 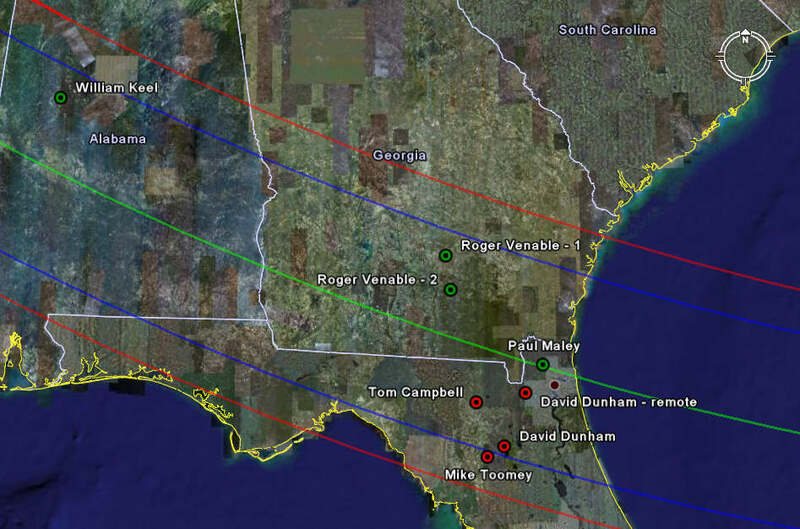 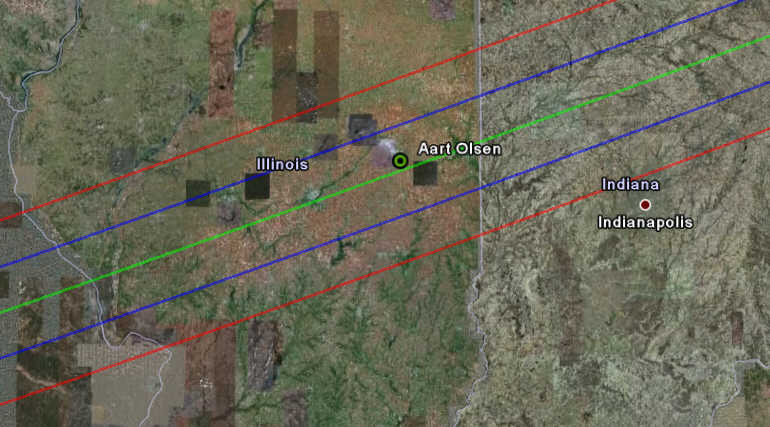 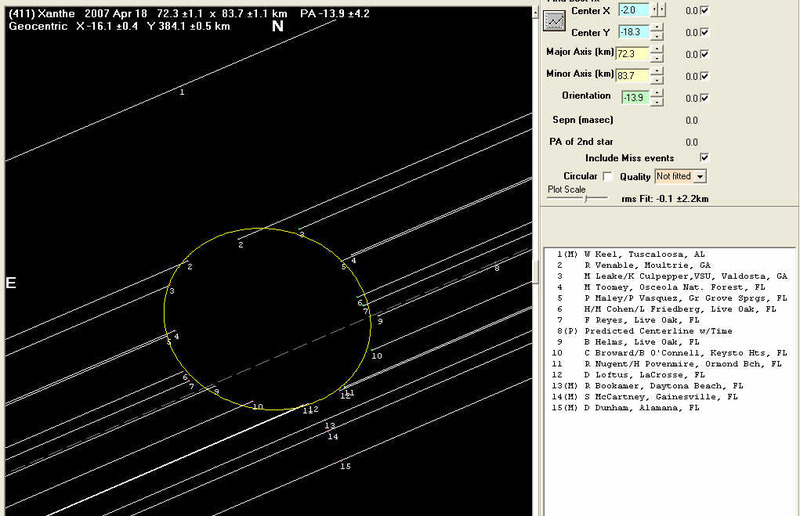 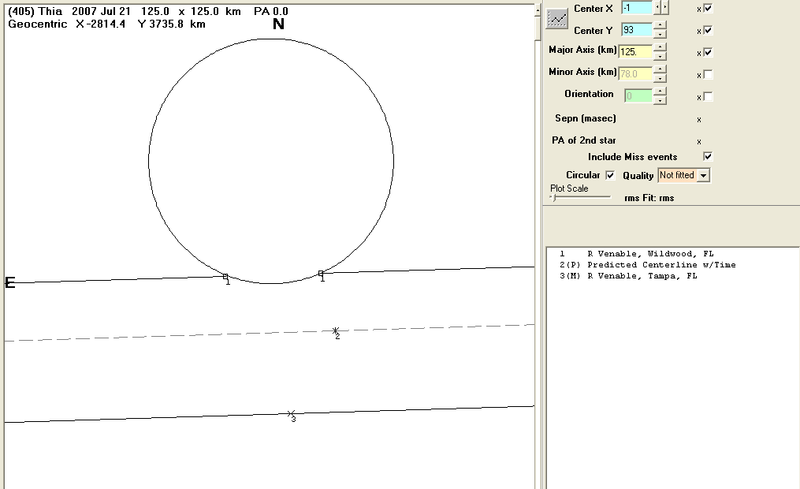 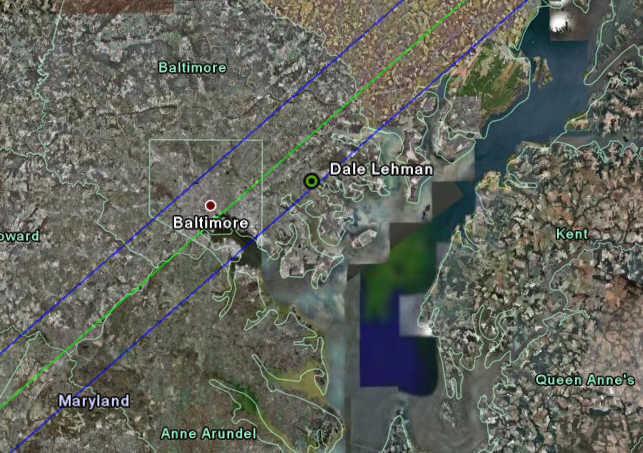 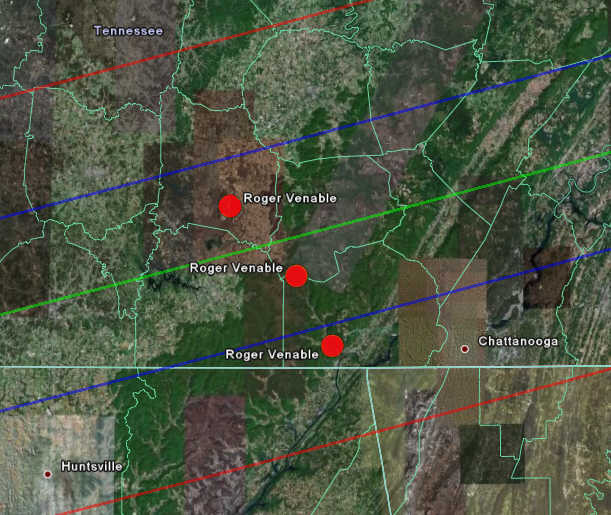 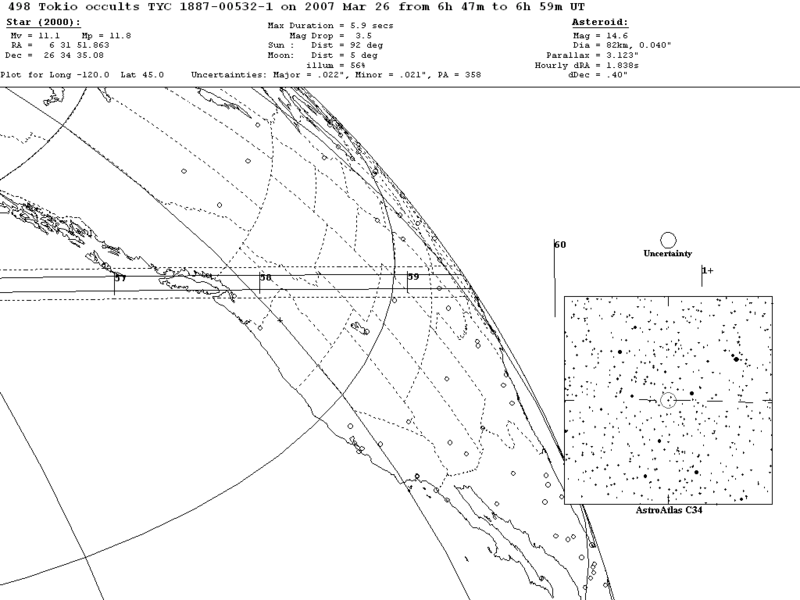 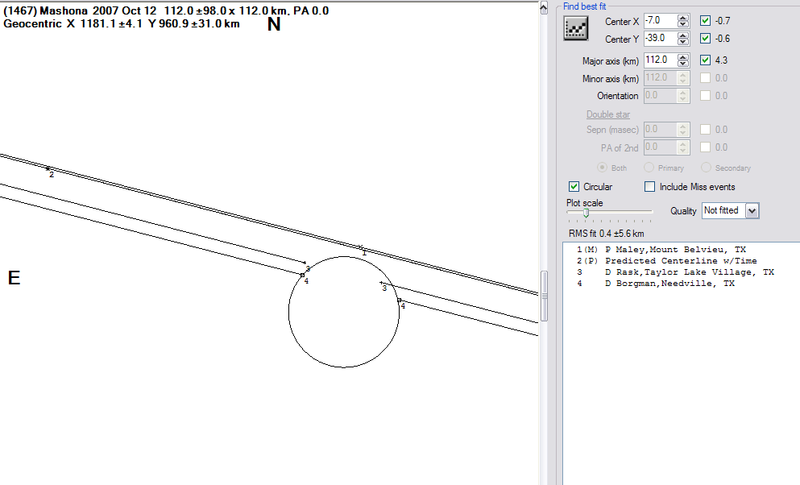 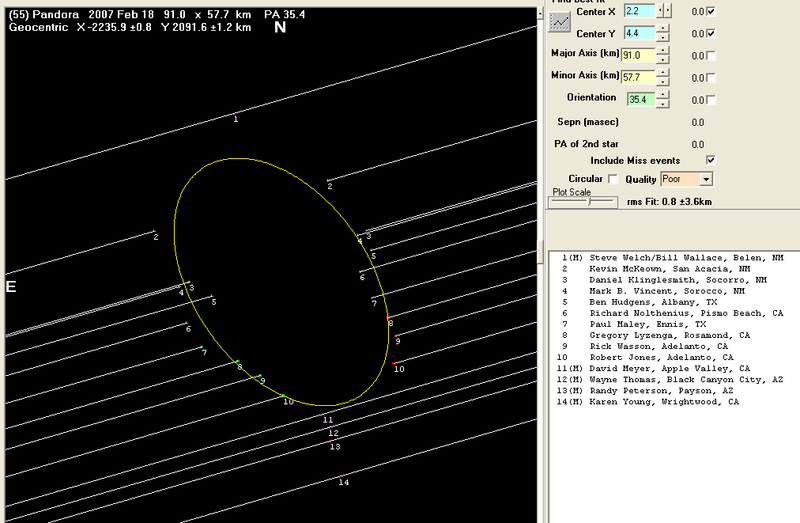 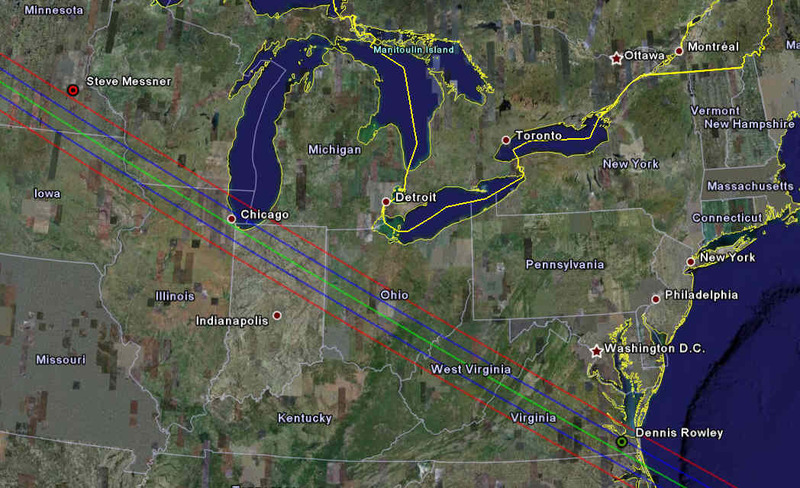 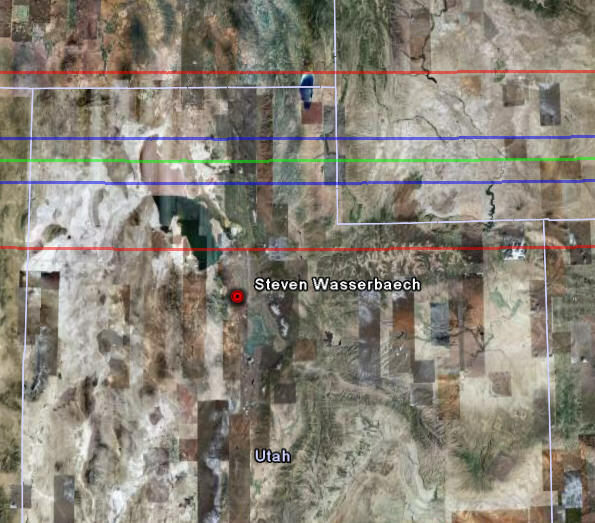 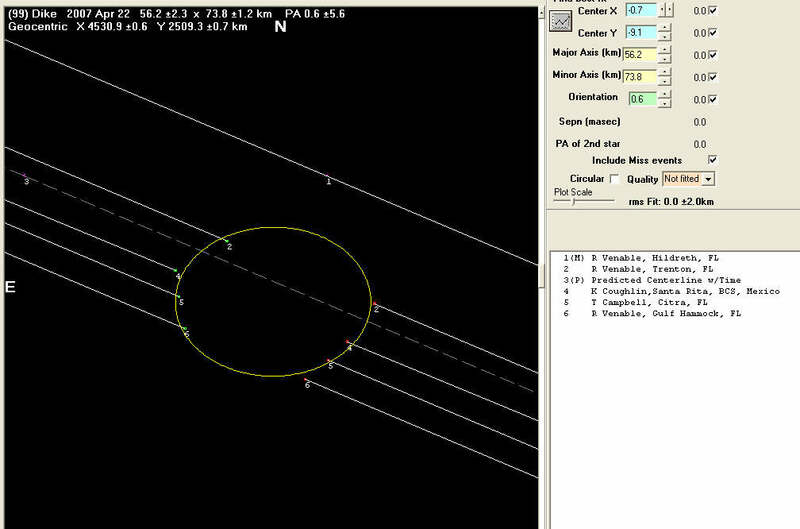 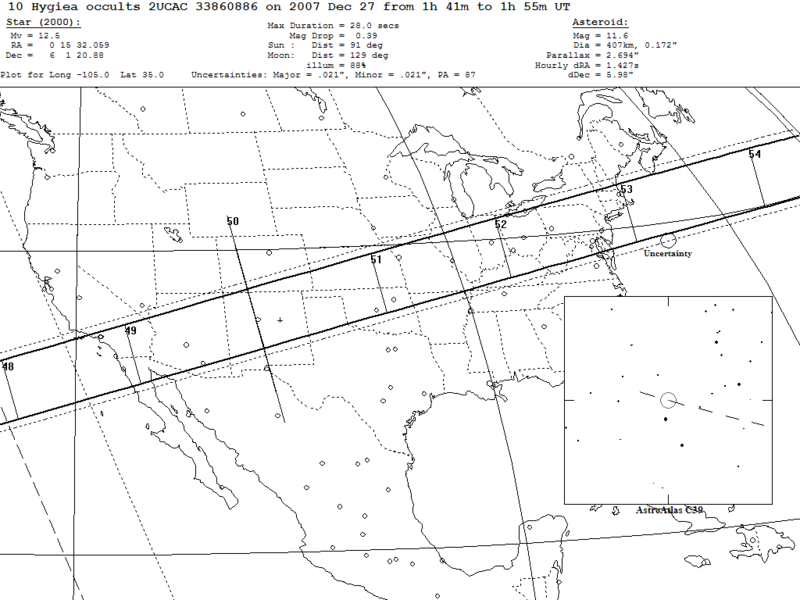 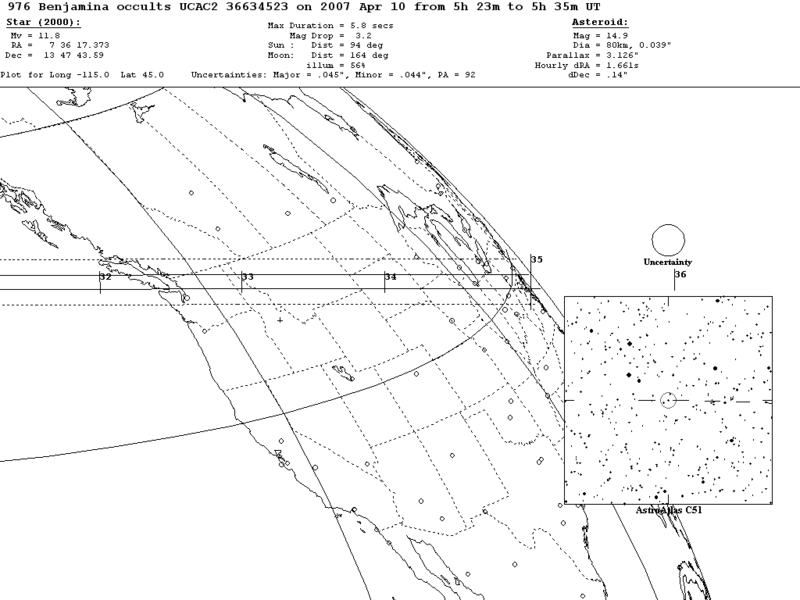 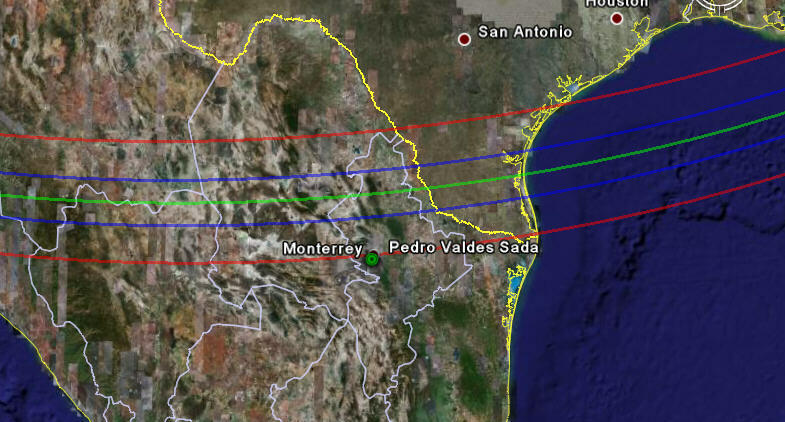 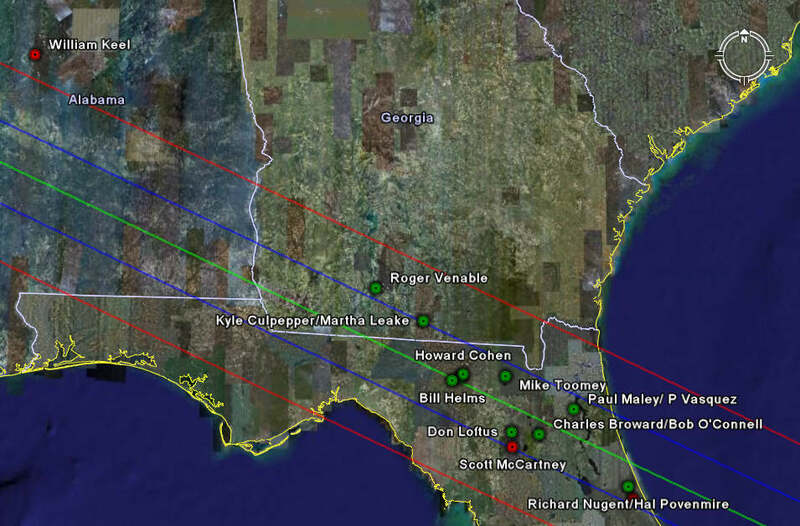 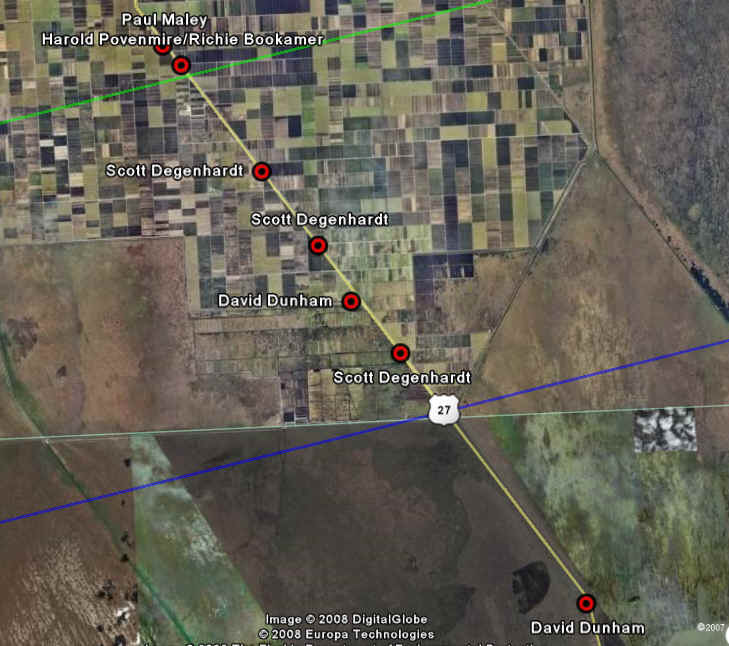 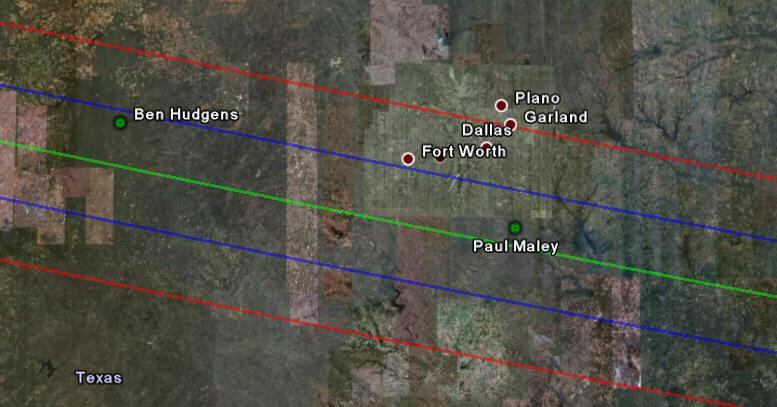 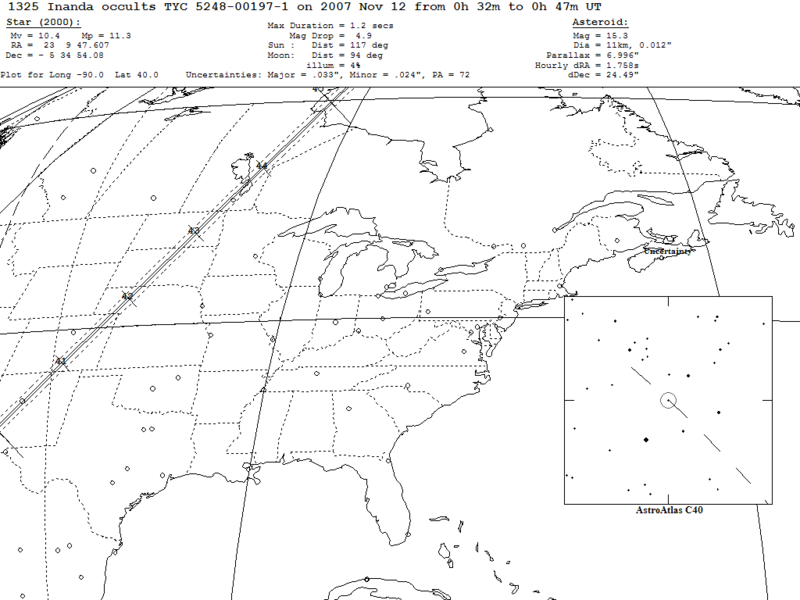 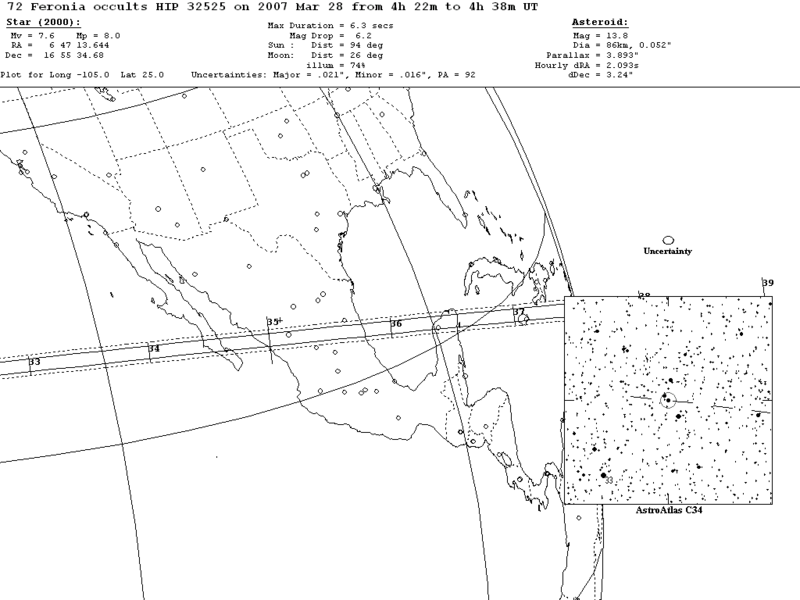 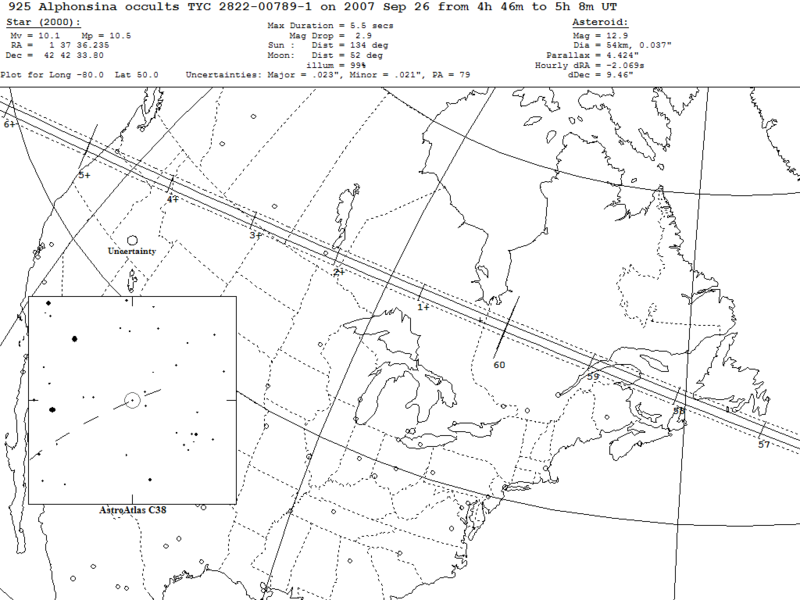 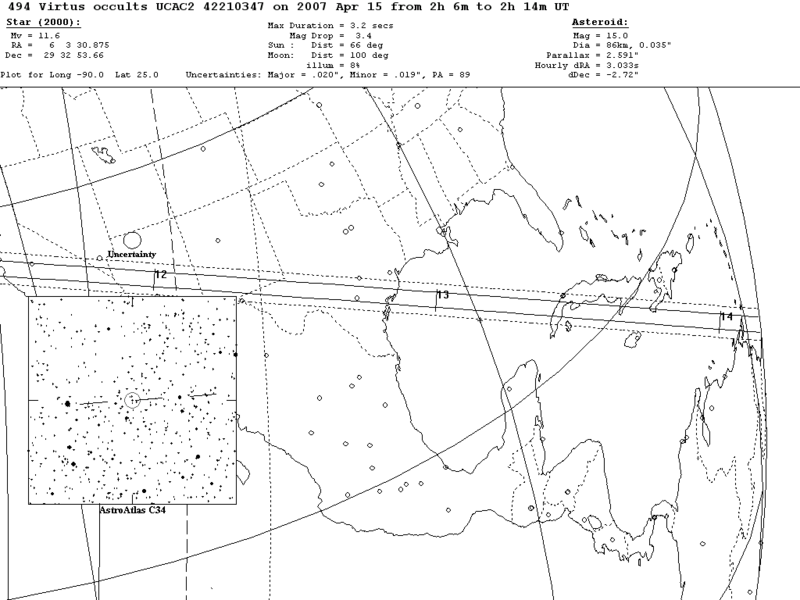 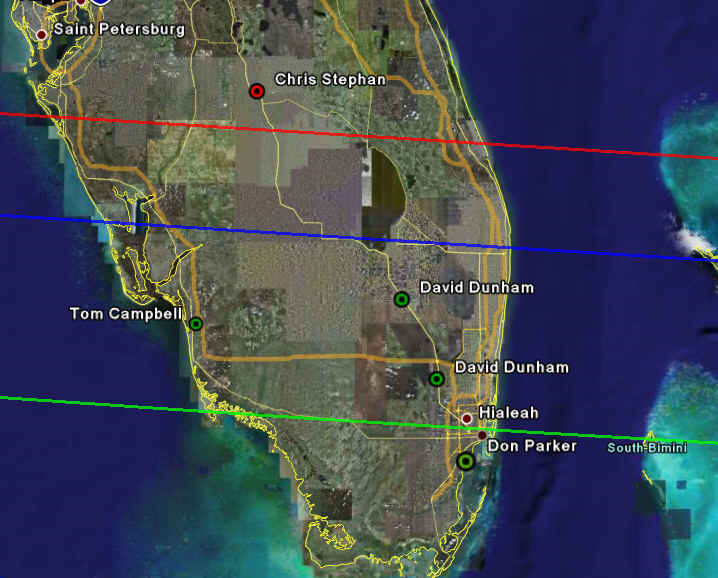 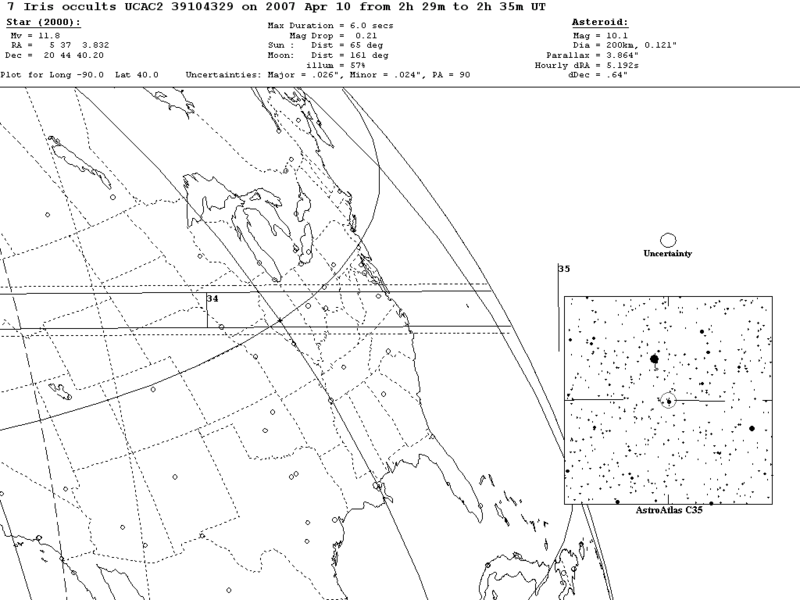 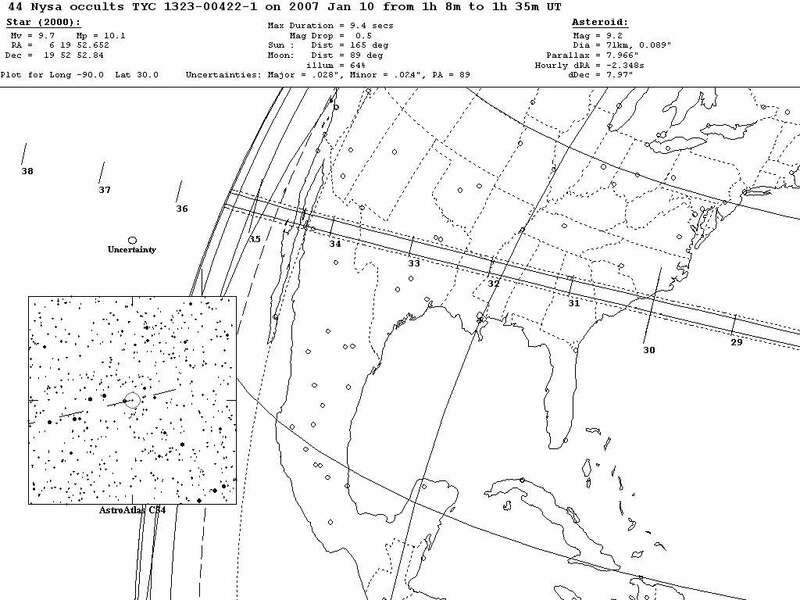 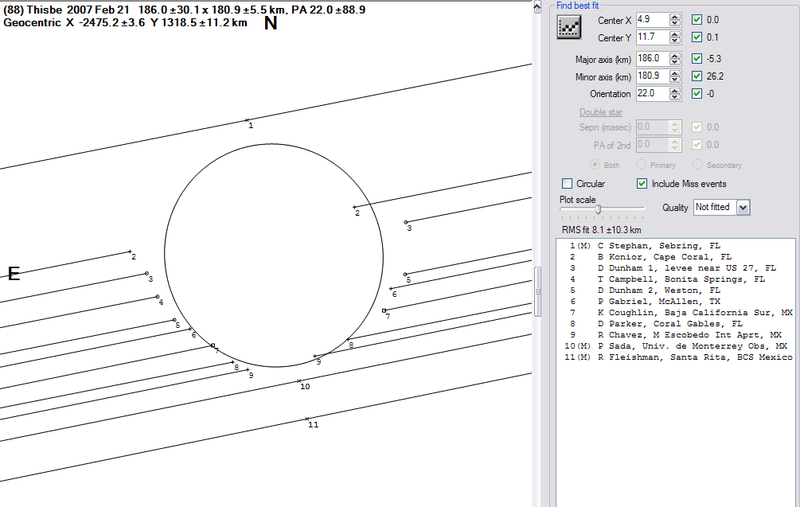 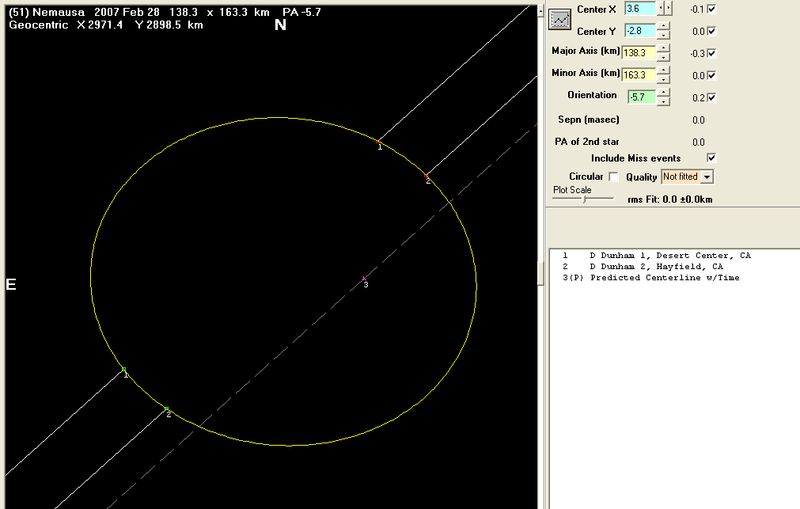 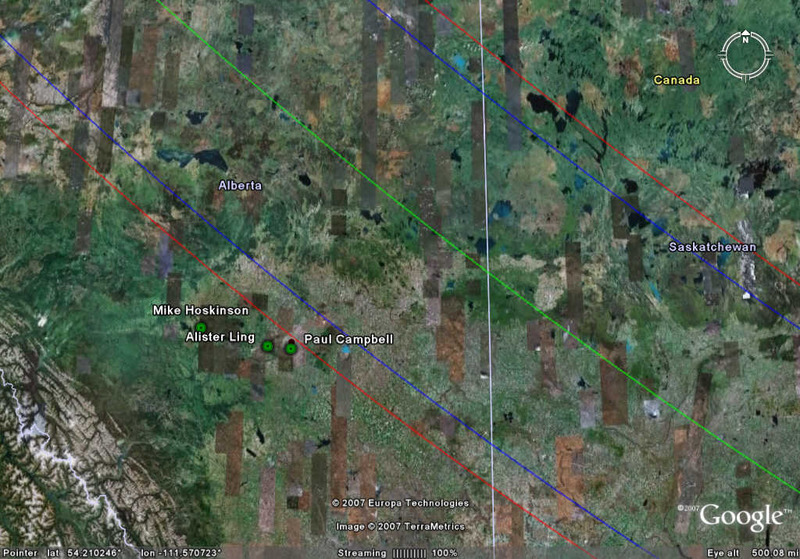 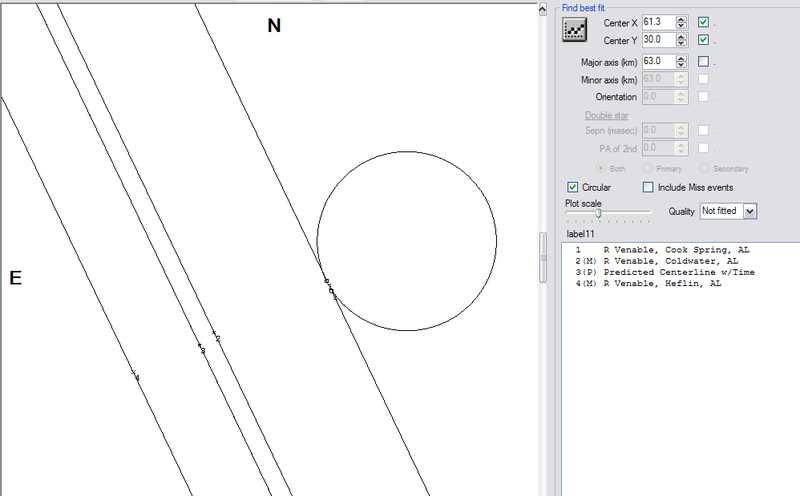 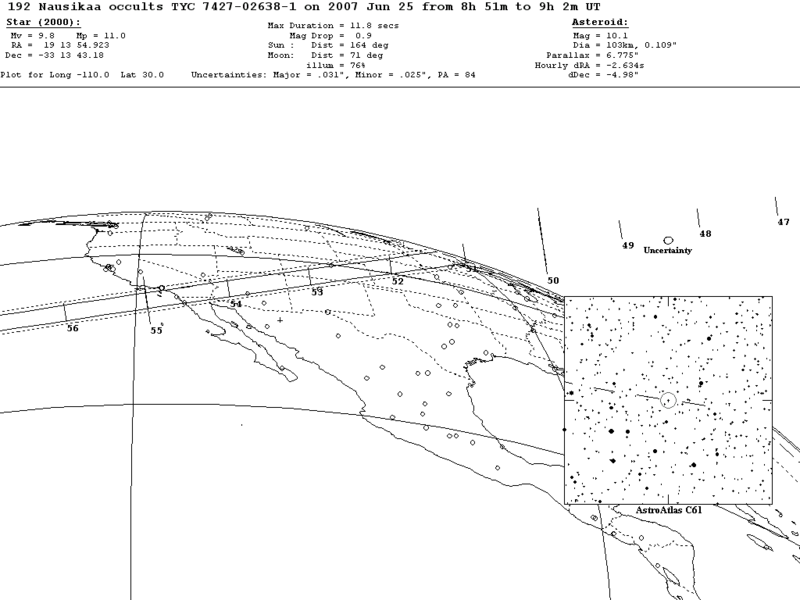 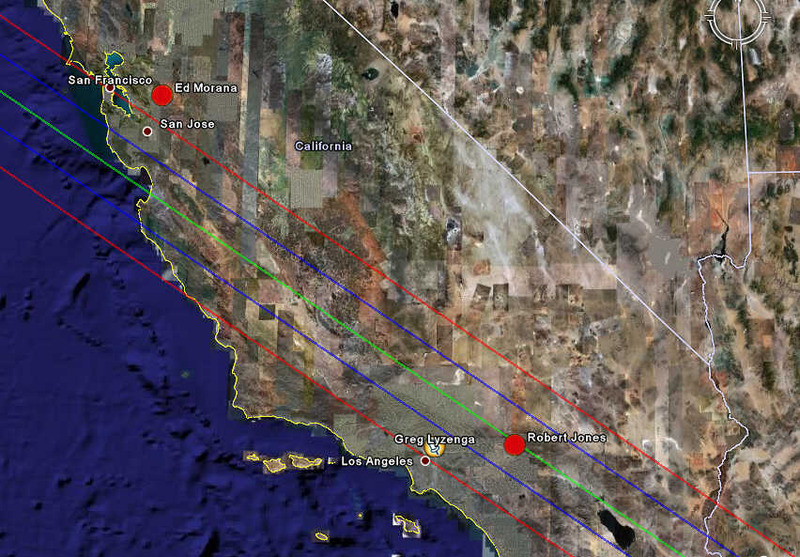 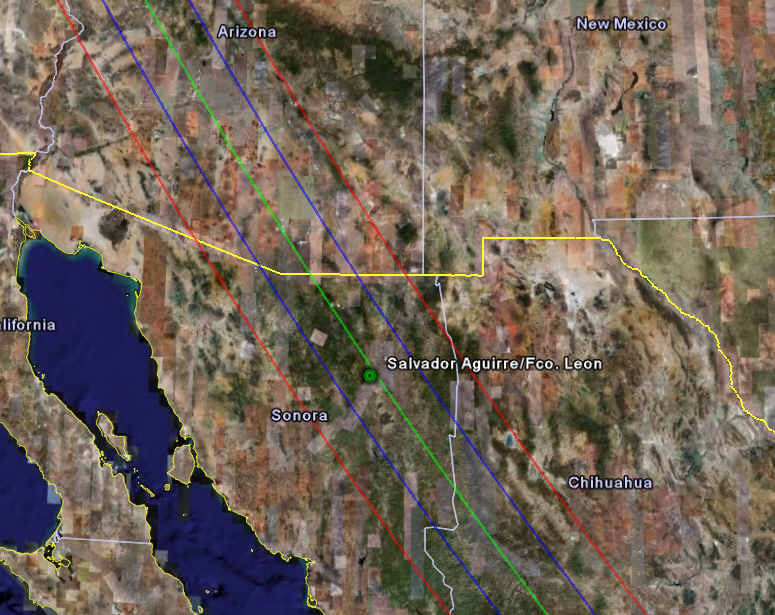 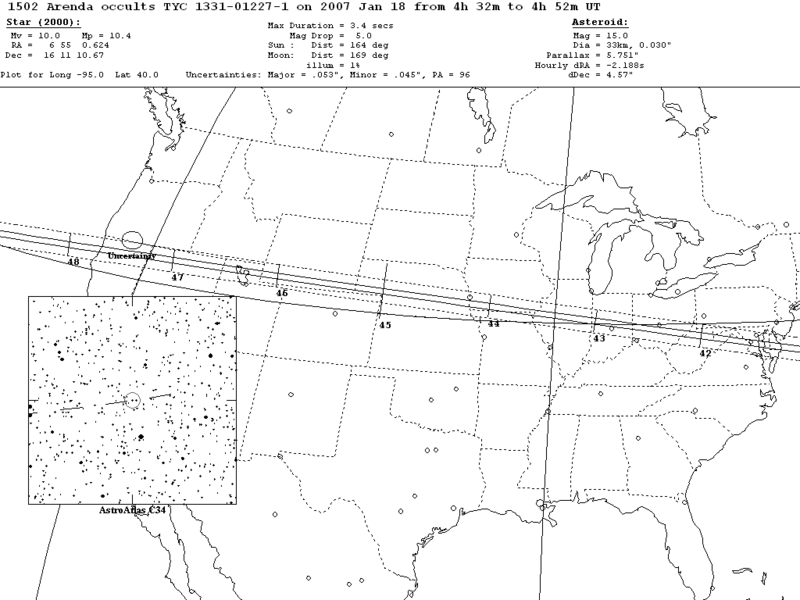 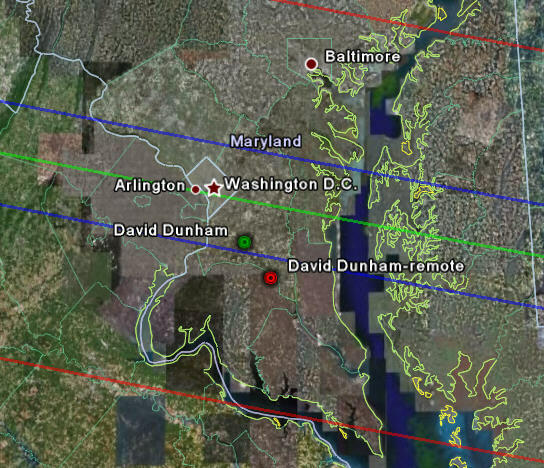 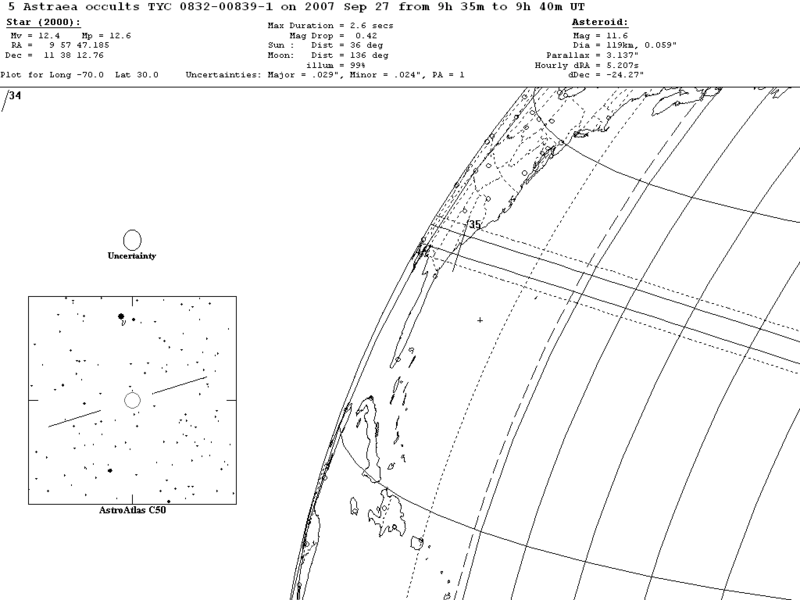 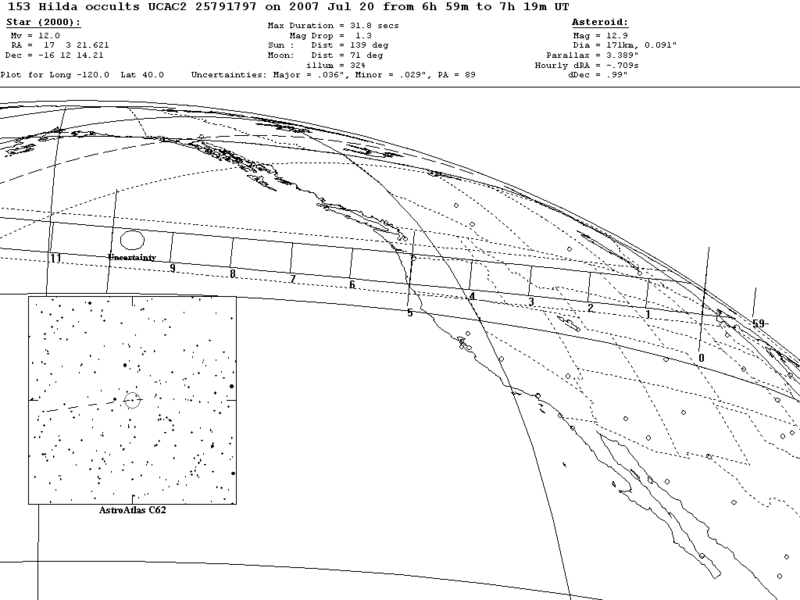 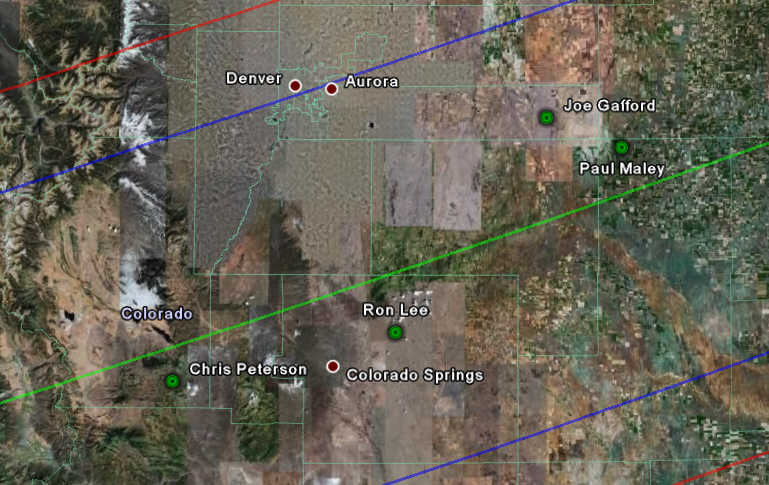 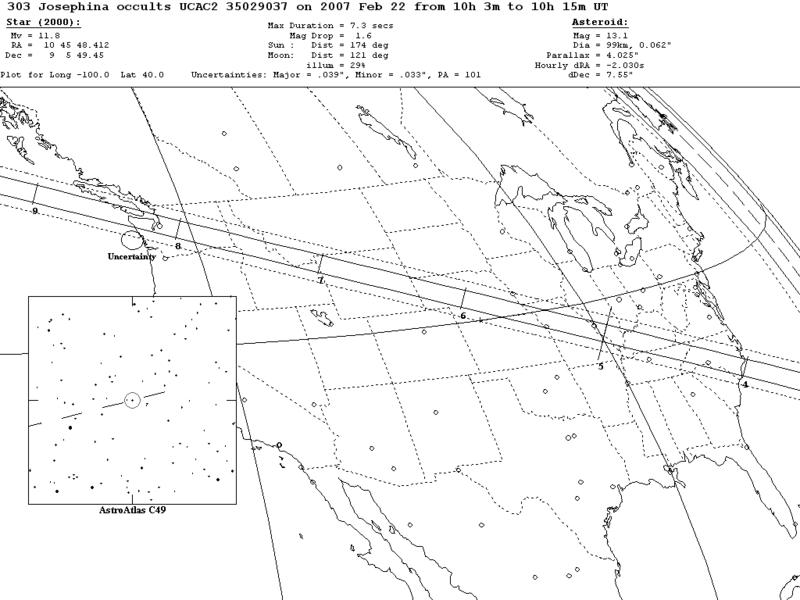 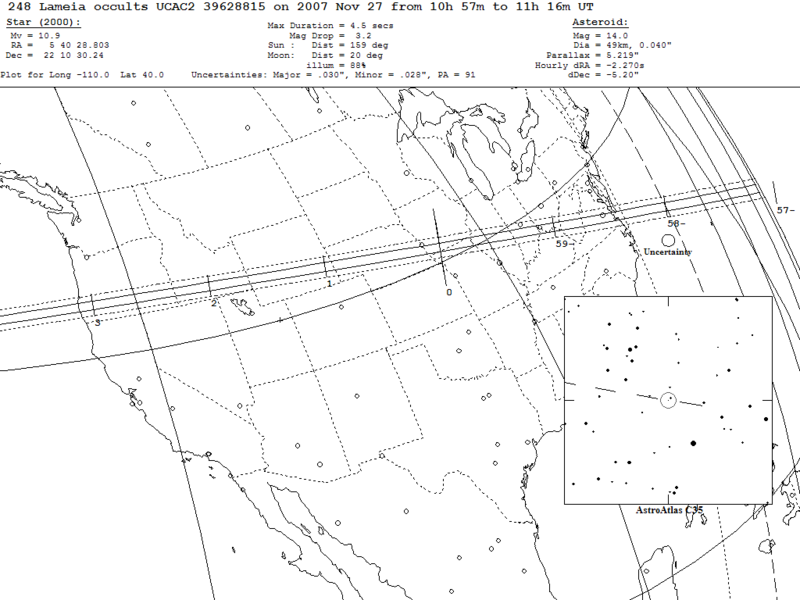 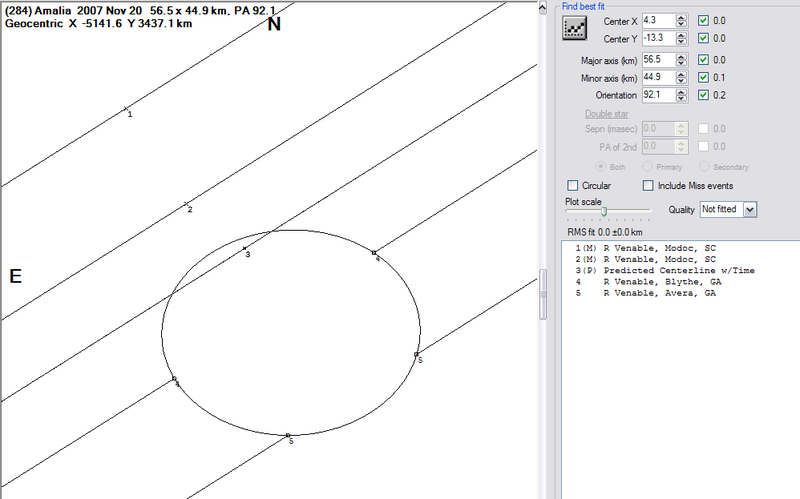 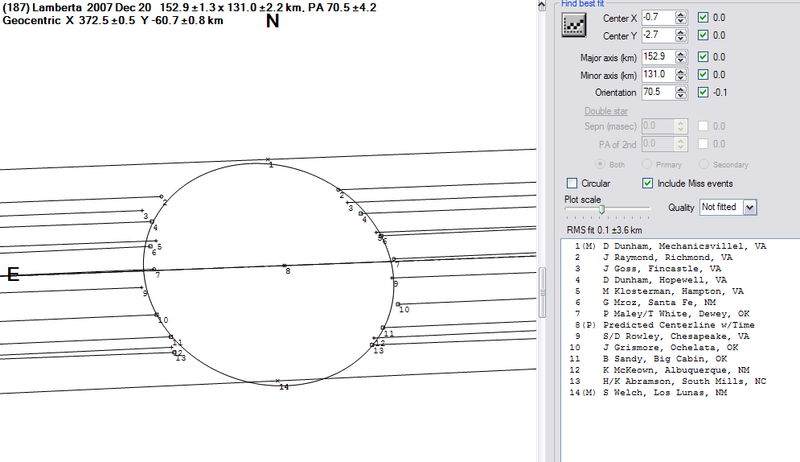 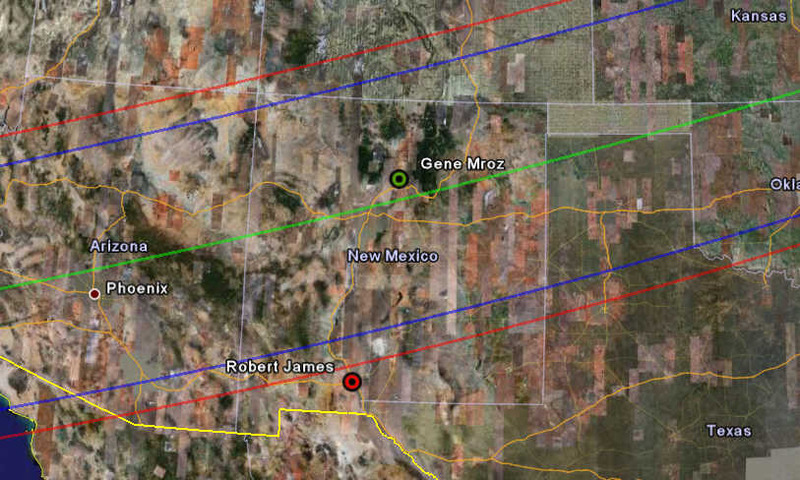 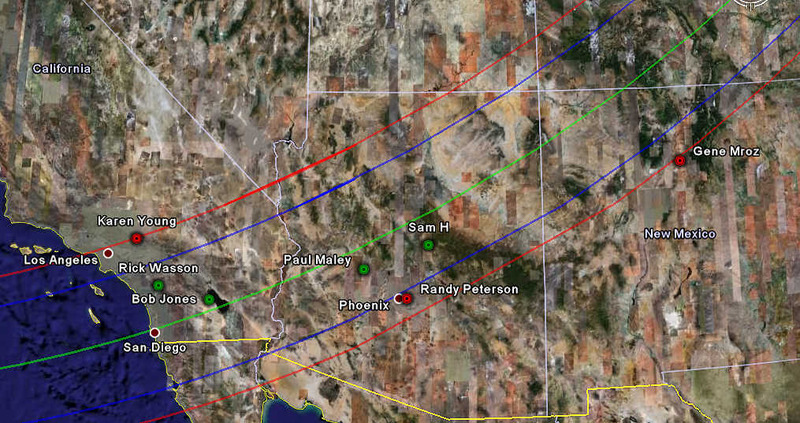 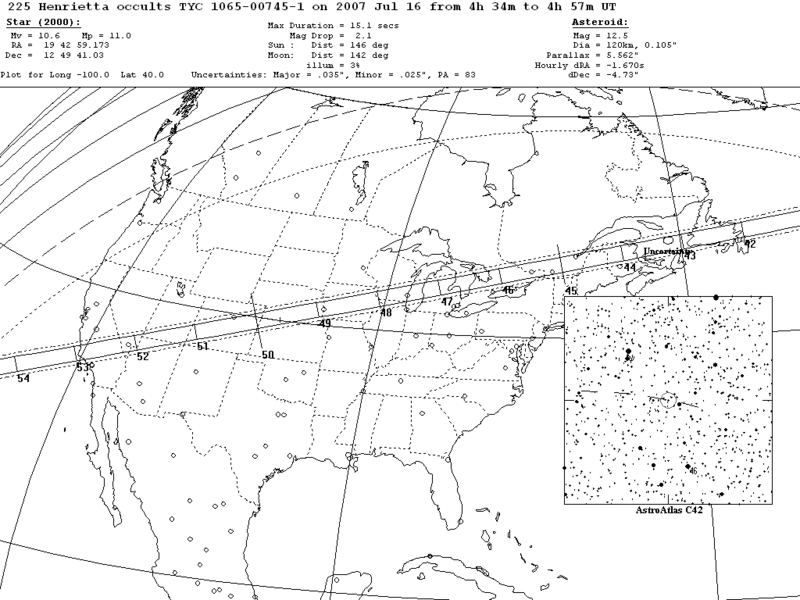 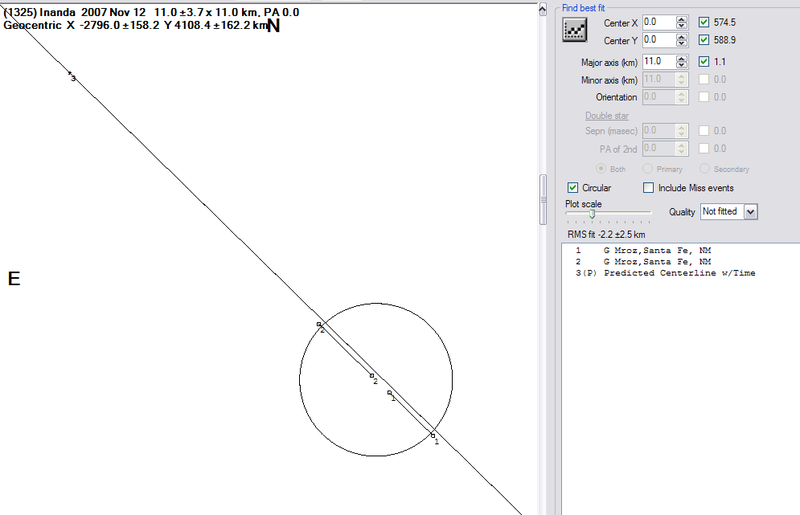 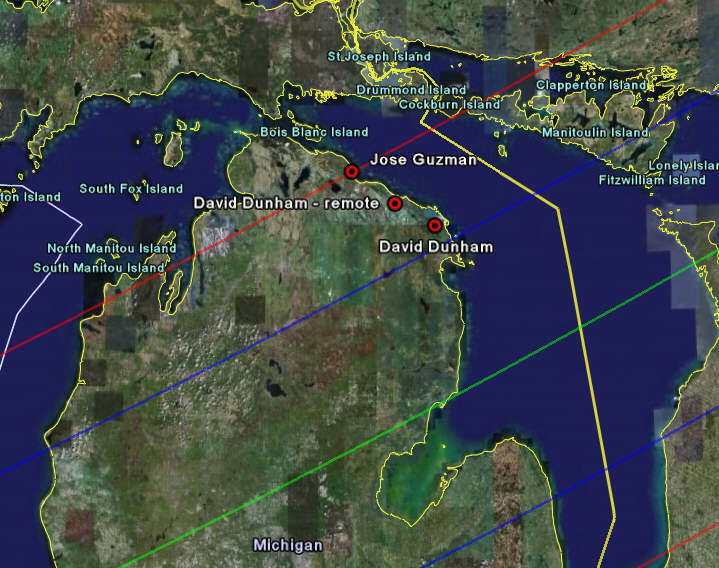 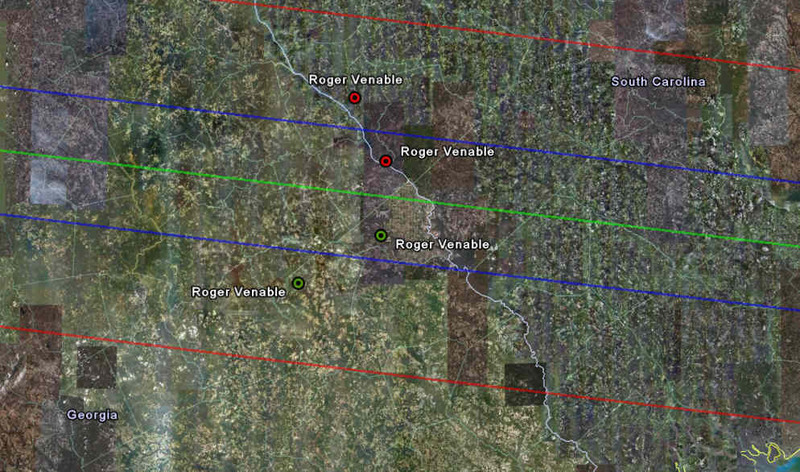 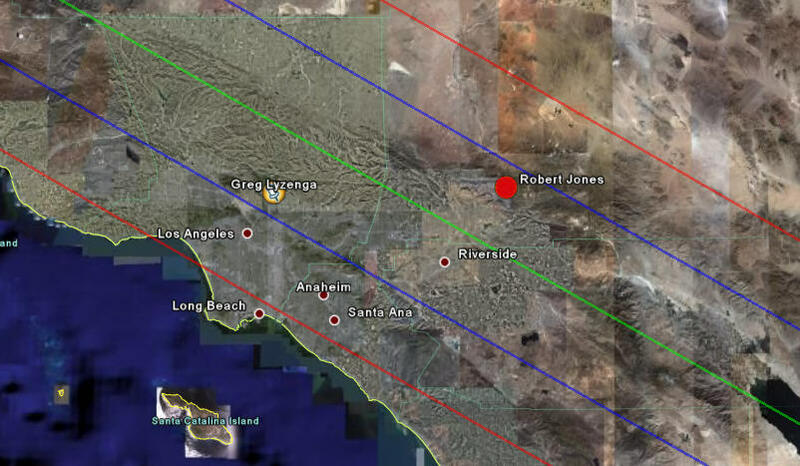 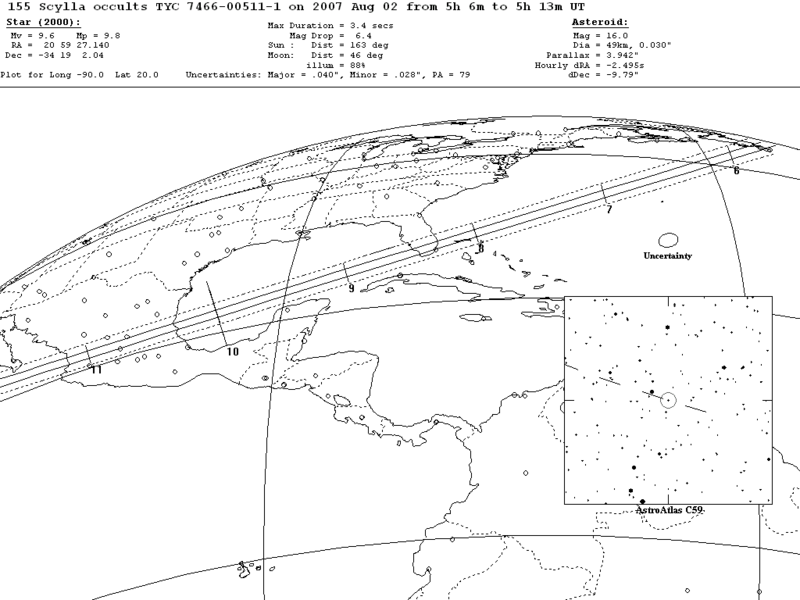 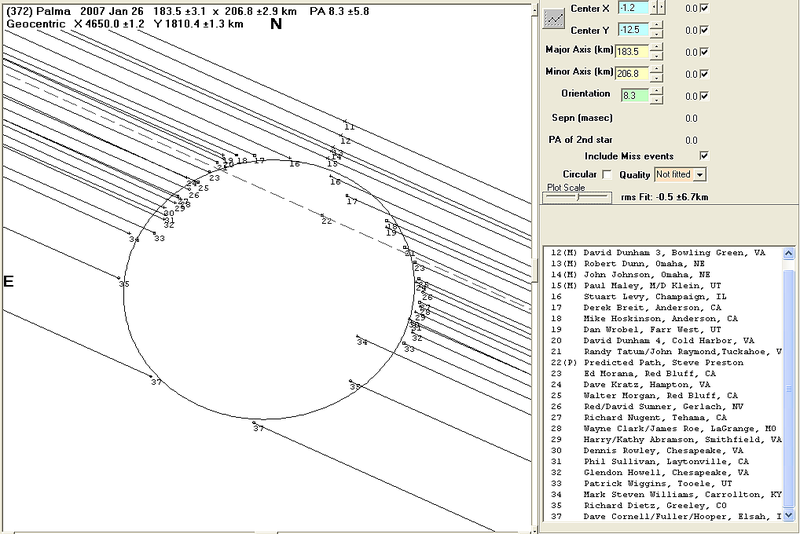 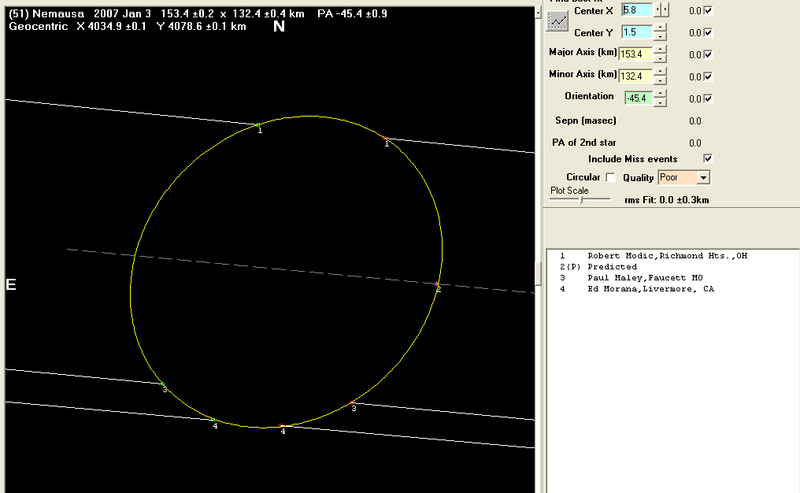 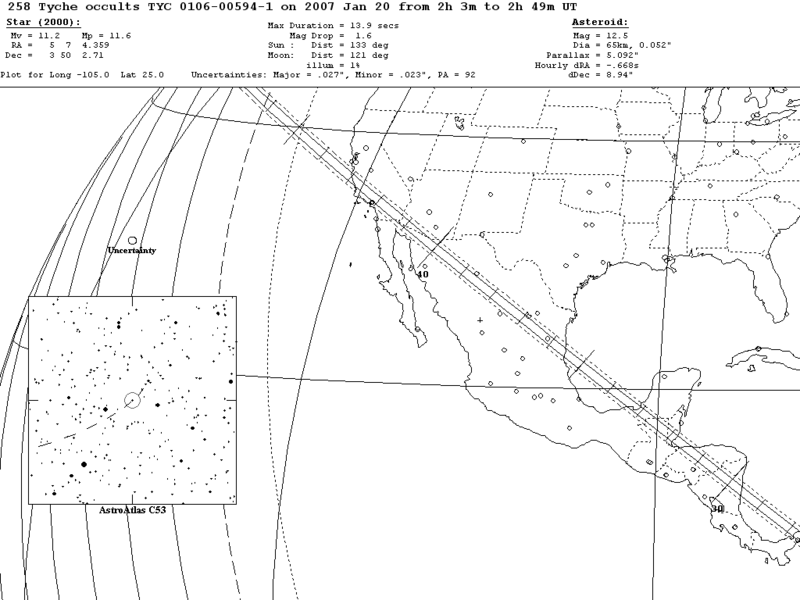 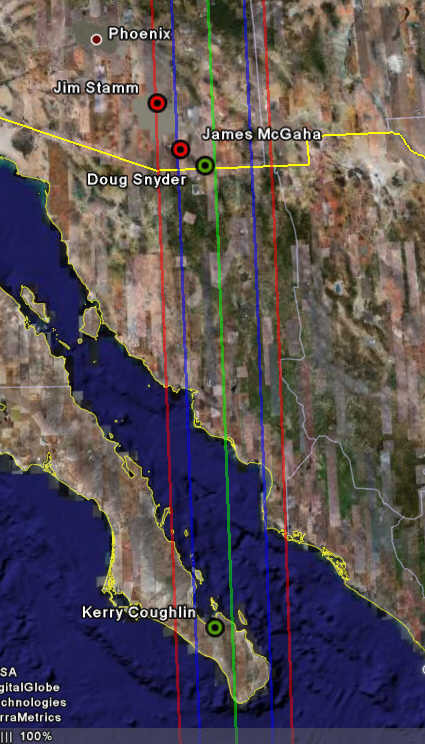 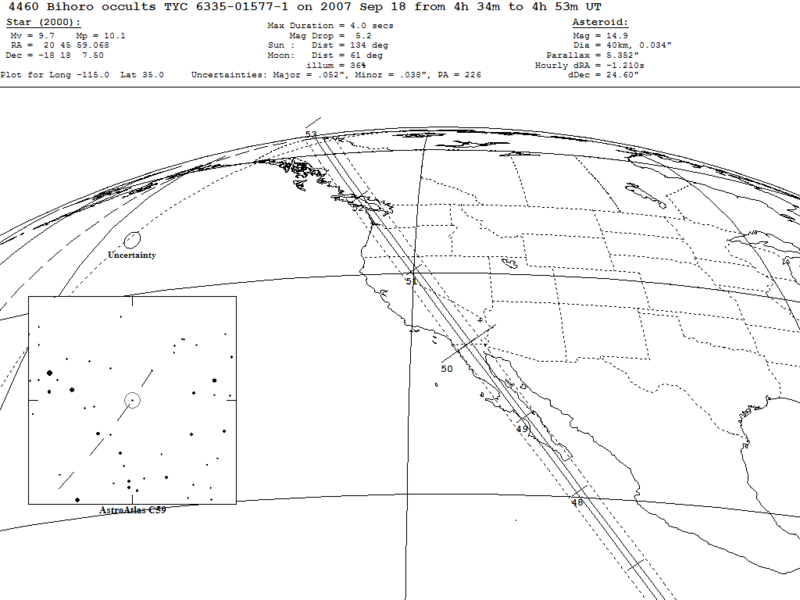 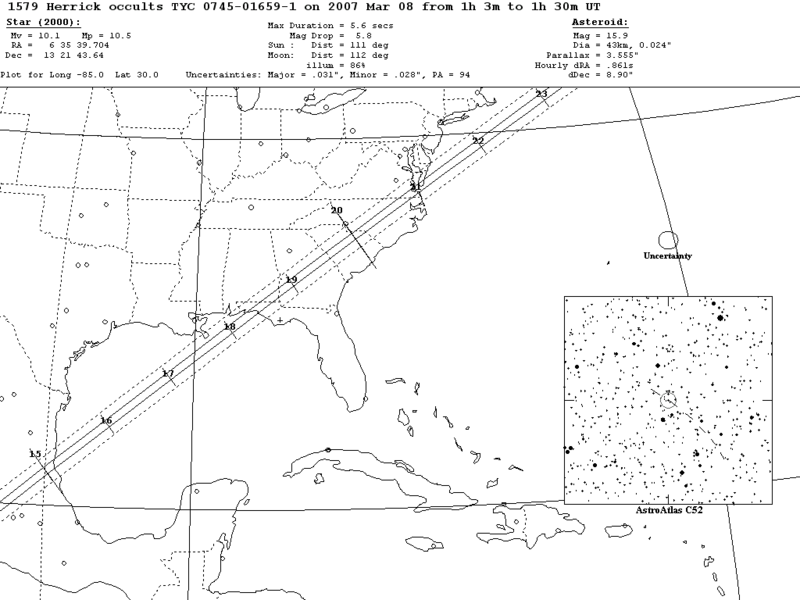 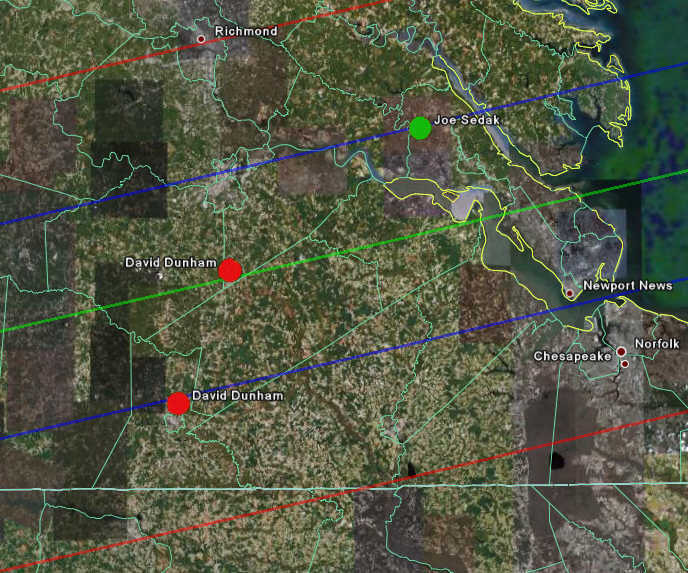 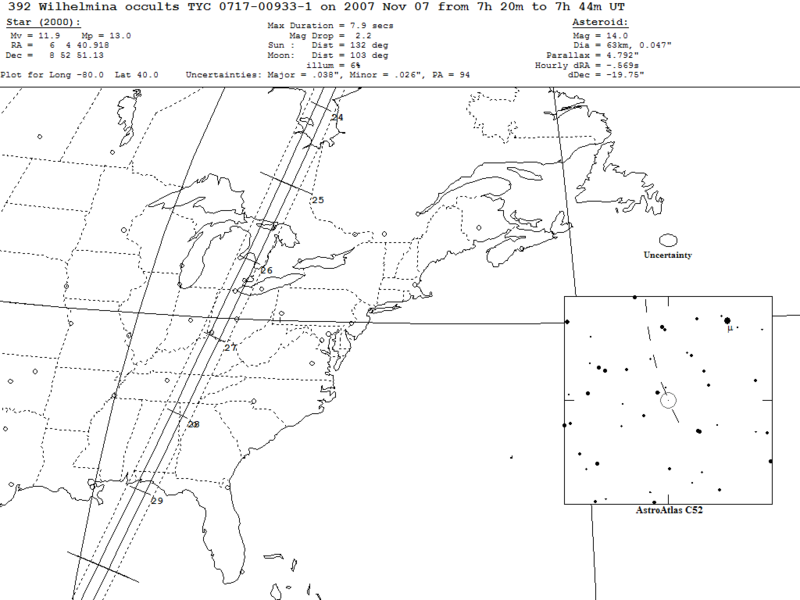 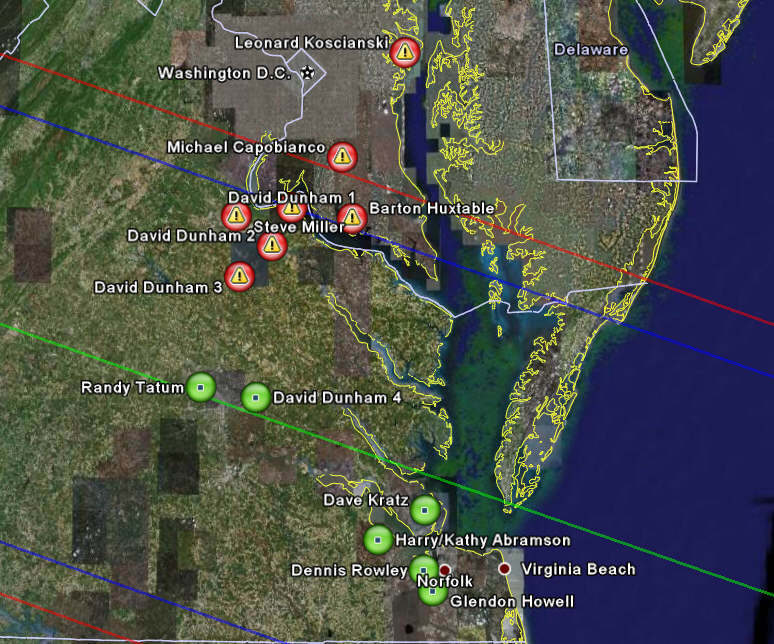 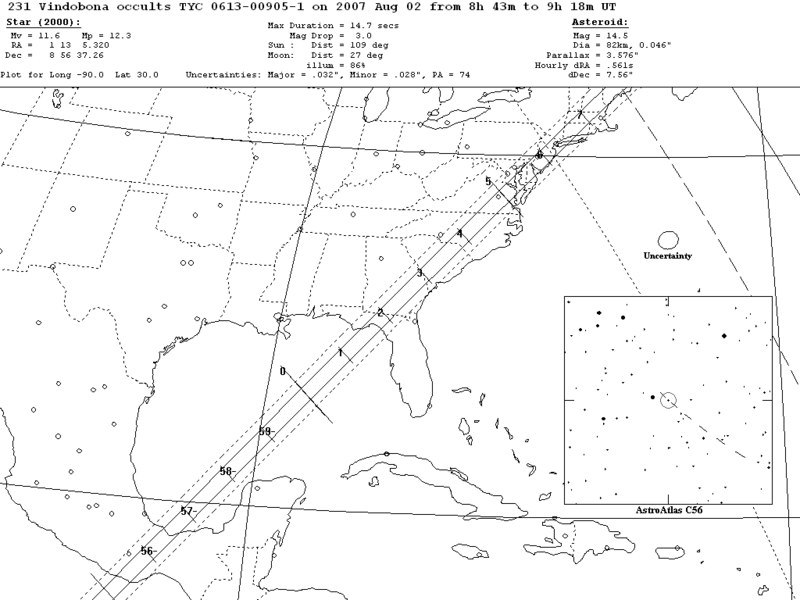 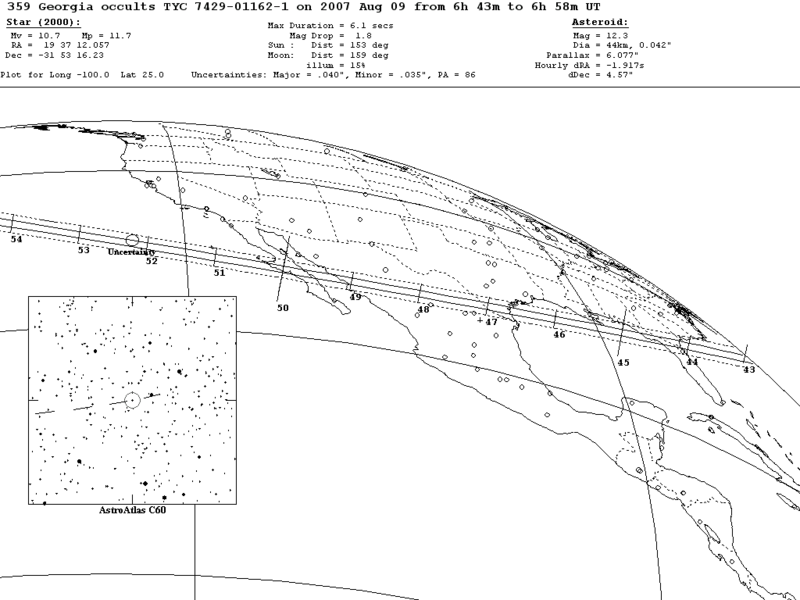 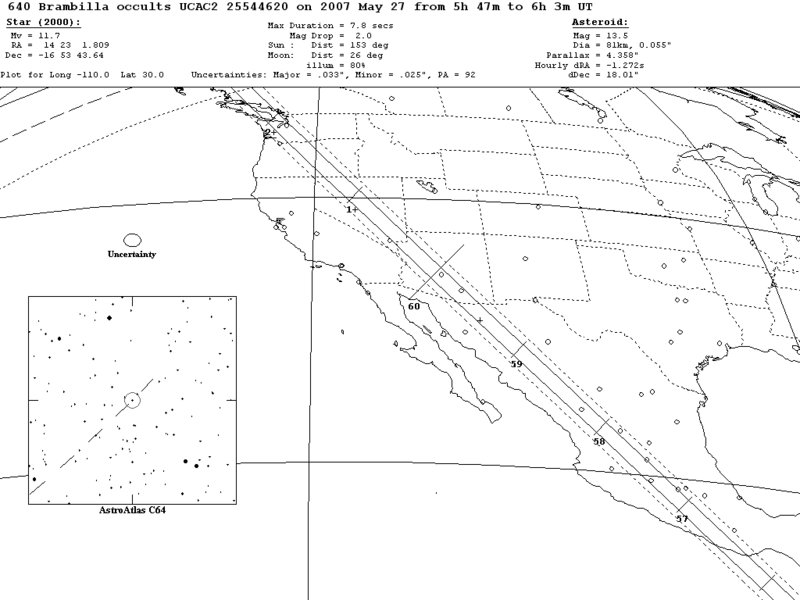 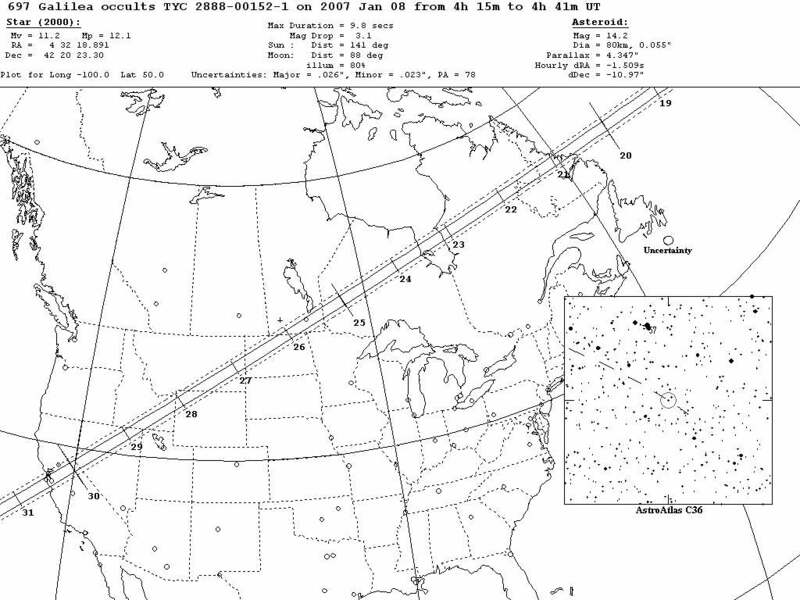 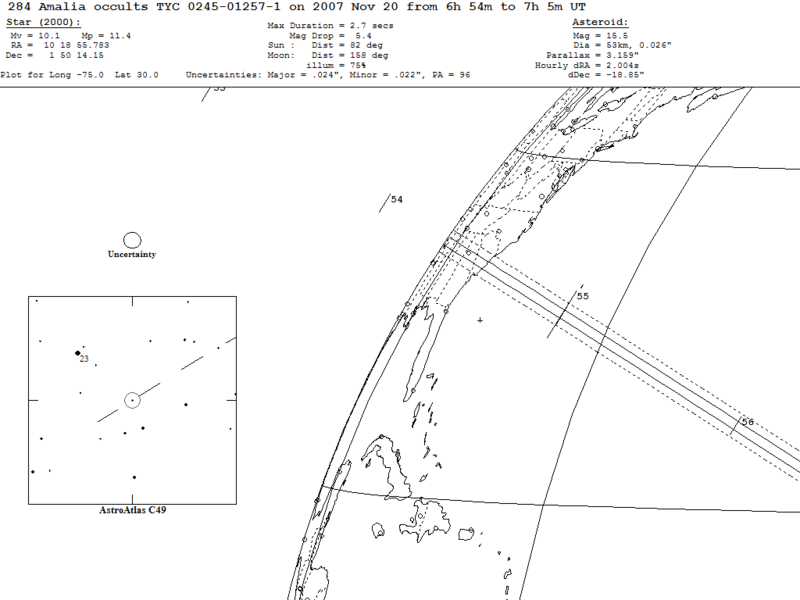 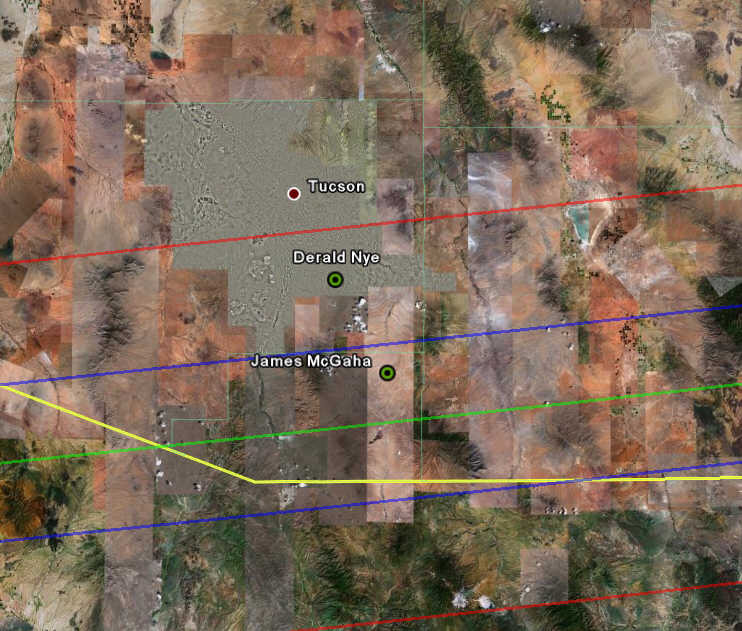 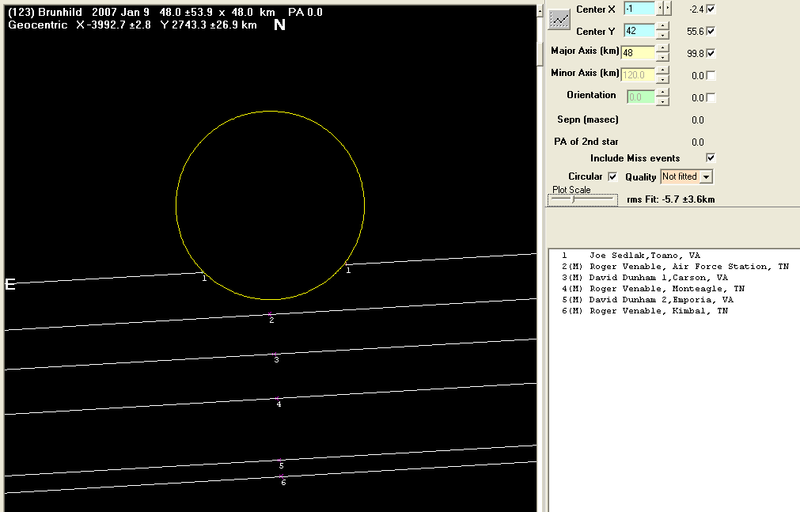 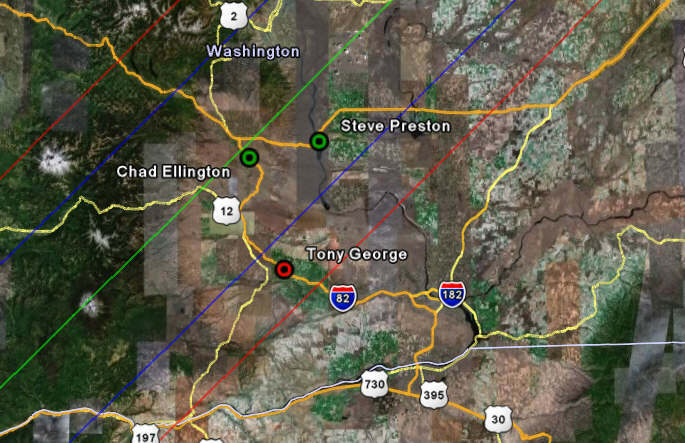 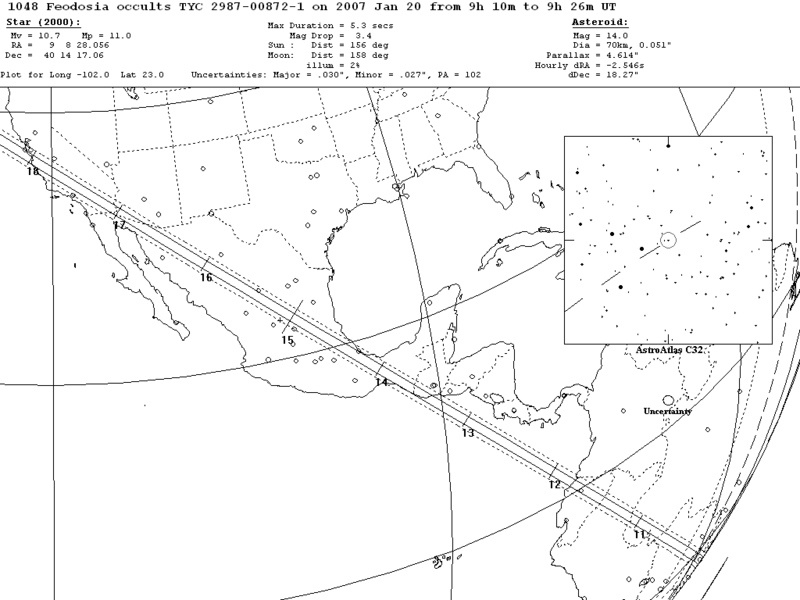 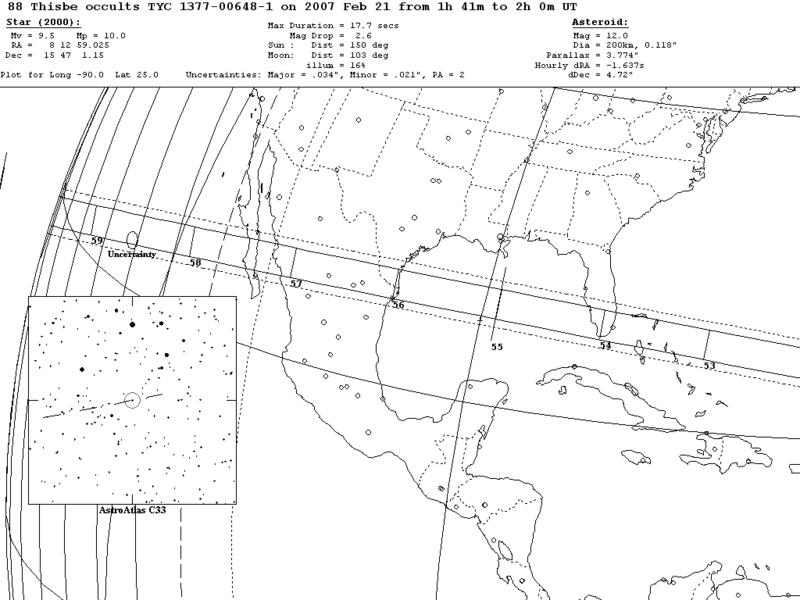 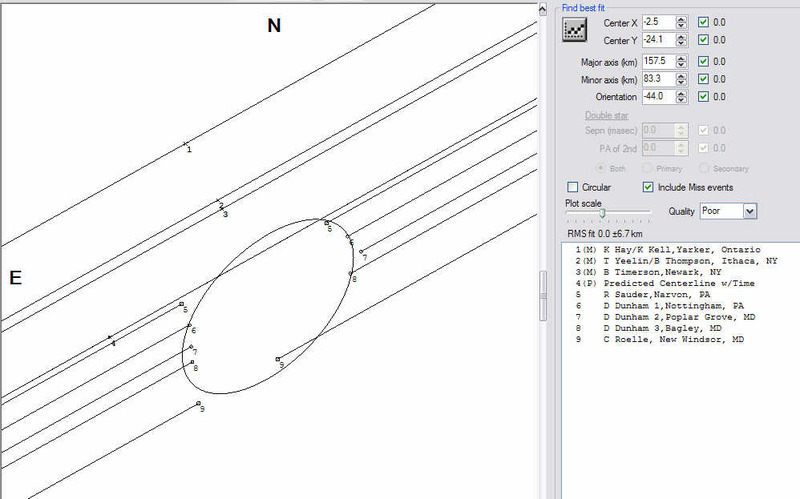 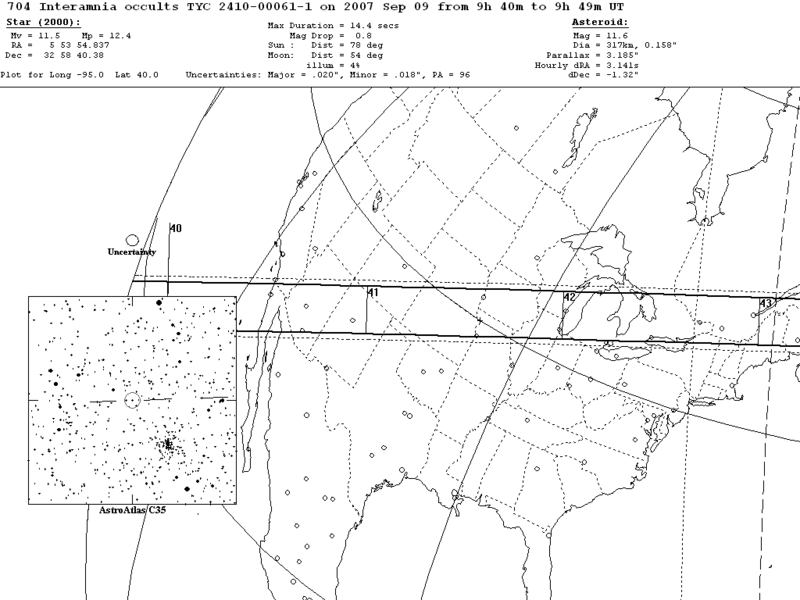 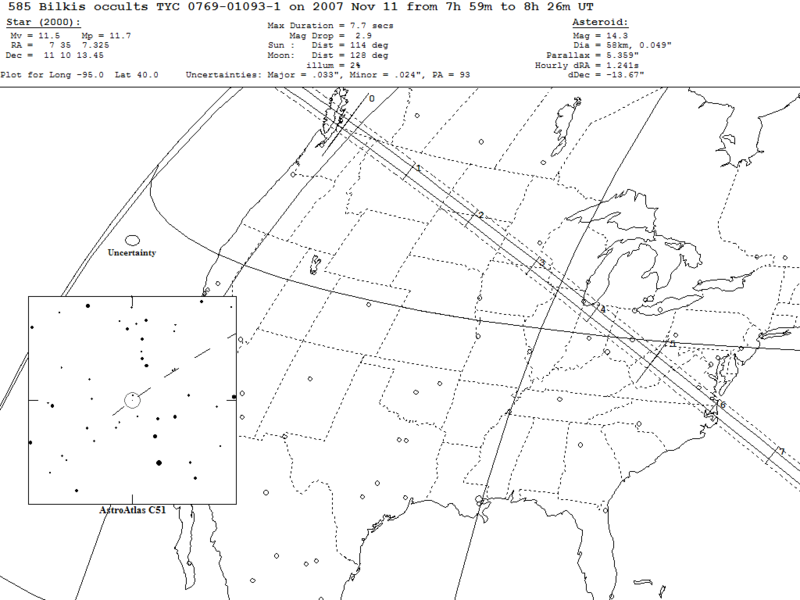 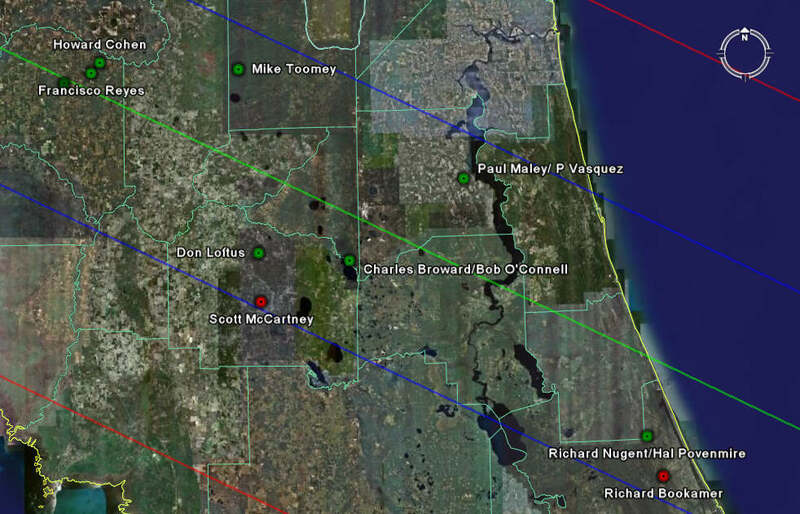 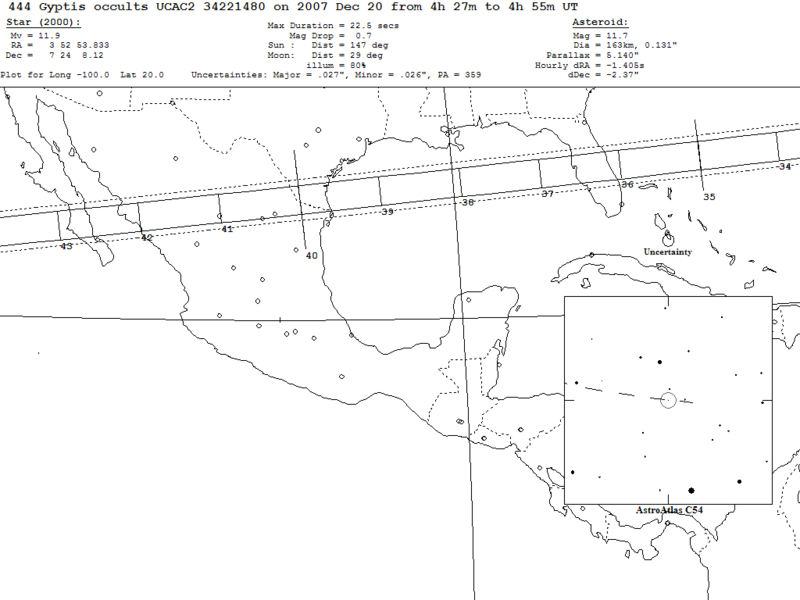 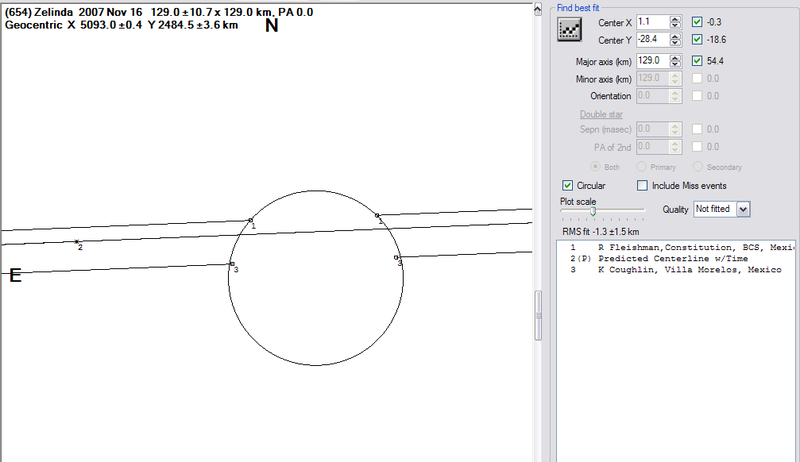 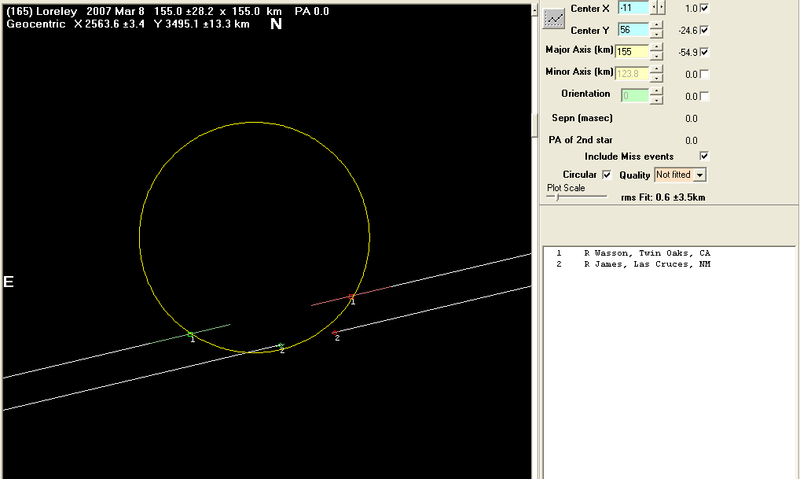 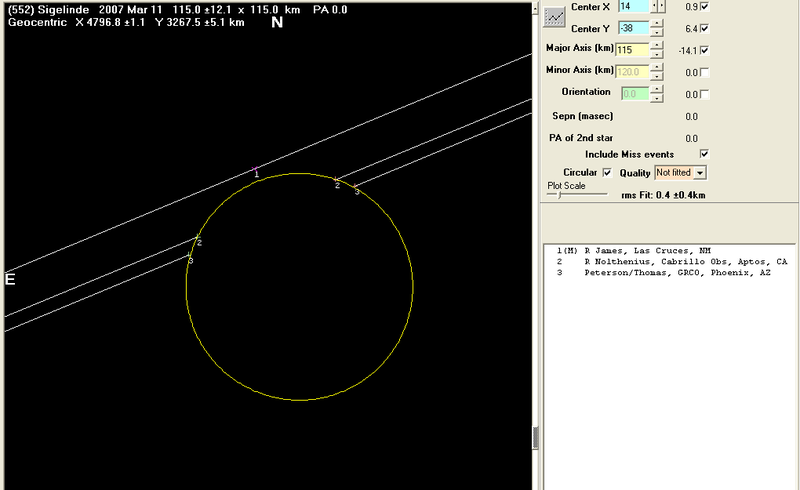 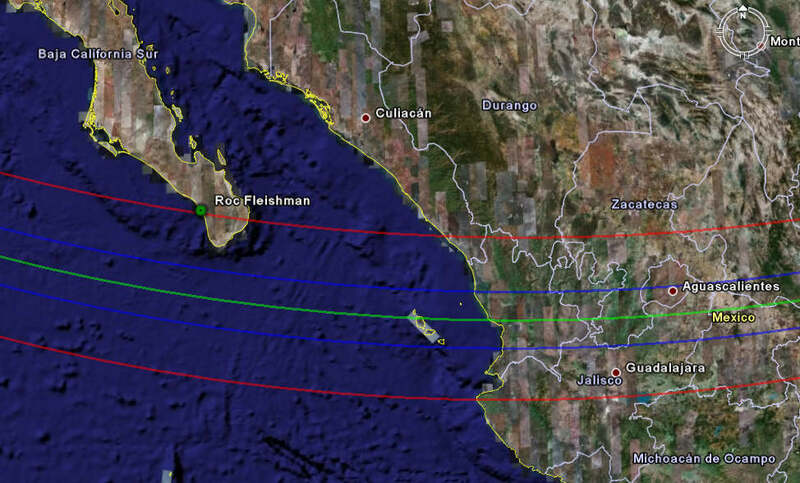 Asteroid profiles only show the line of sight view at the time of the occultation. 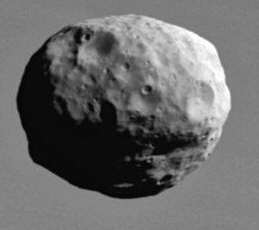 The true size/shape of an asteroid in 3-dimensions cannot be determined from a single occultation. 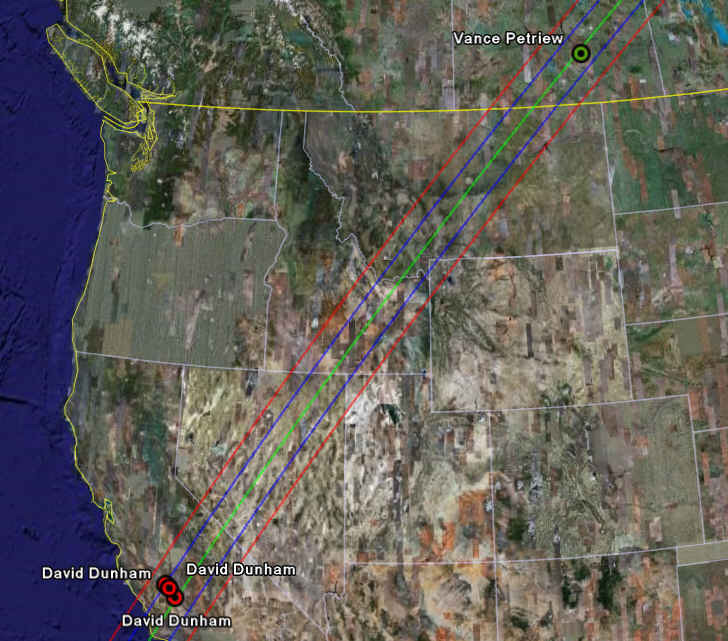 Dave Herald should be contacted for "official" profile information. 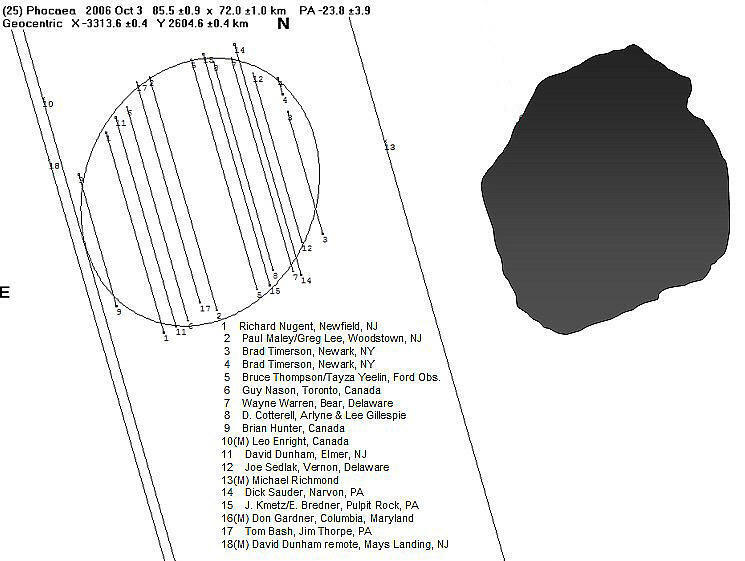 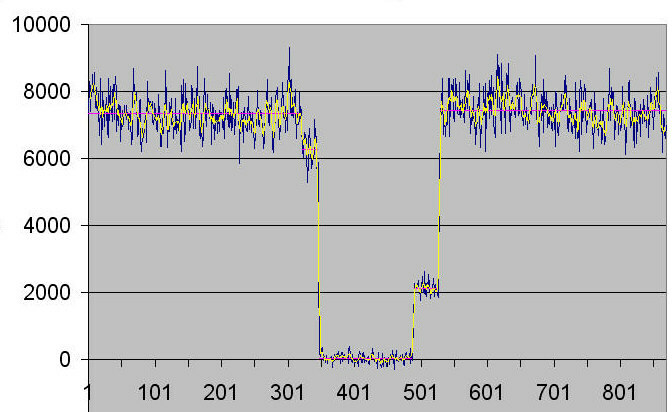 Determining the Profile of an asteroid from a limited number of observations can lead to misrepresentations. 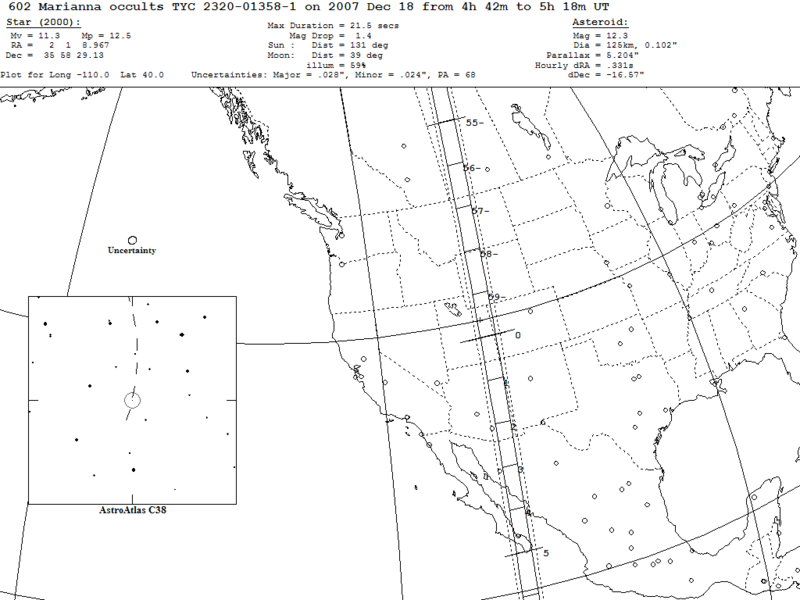 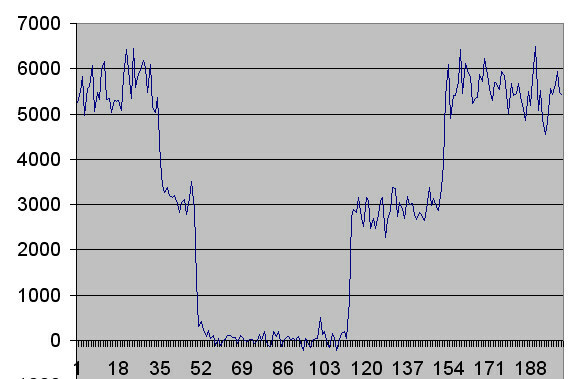 Since December 12, 2006 you are visitor # to this website.